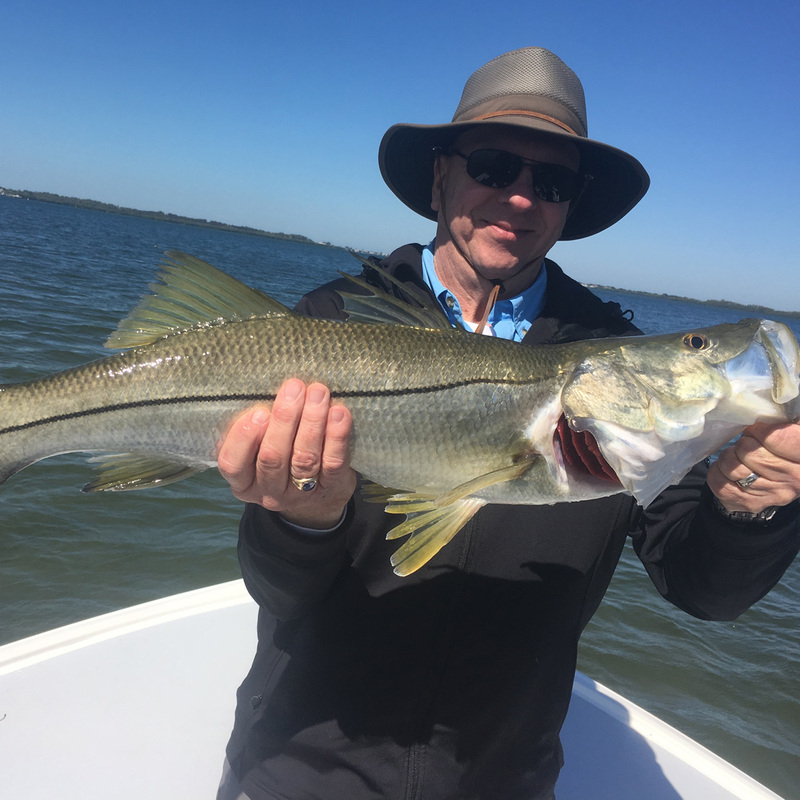 Spring time is one of my busiest times of the year. 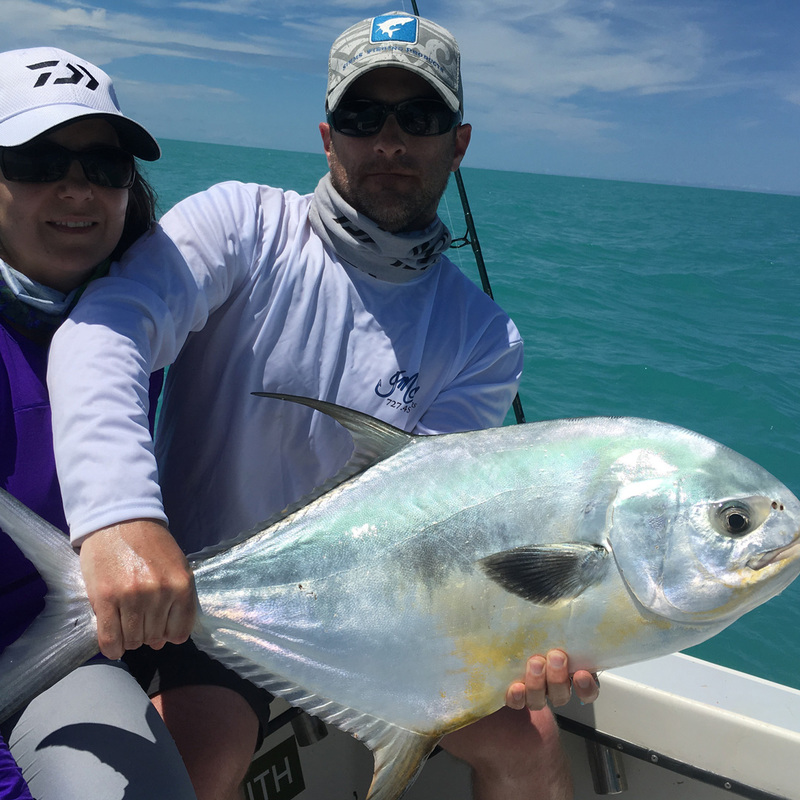 Beautiful weather with killer fishing… What could be better?! 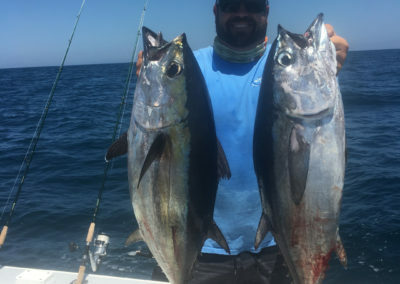 That is why so many people pay big money to come here and visit! 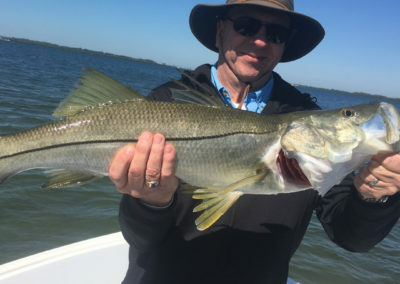 White bait will start making it’s way onto the flats. 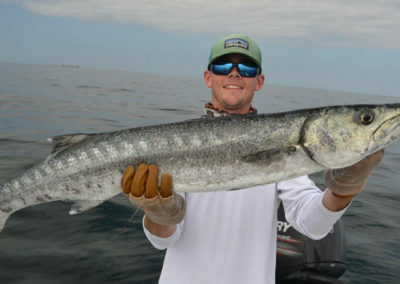 This will get the fish more aggressive and in a feeding frenzy. 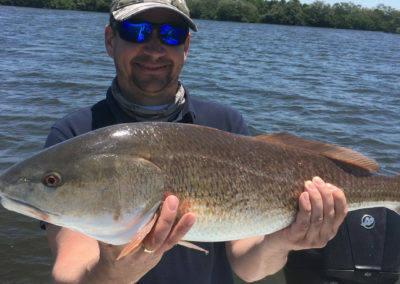 The Redfish will get schooled up and we can get on schools of big bull Redfish! 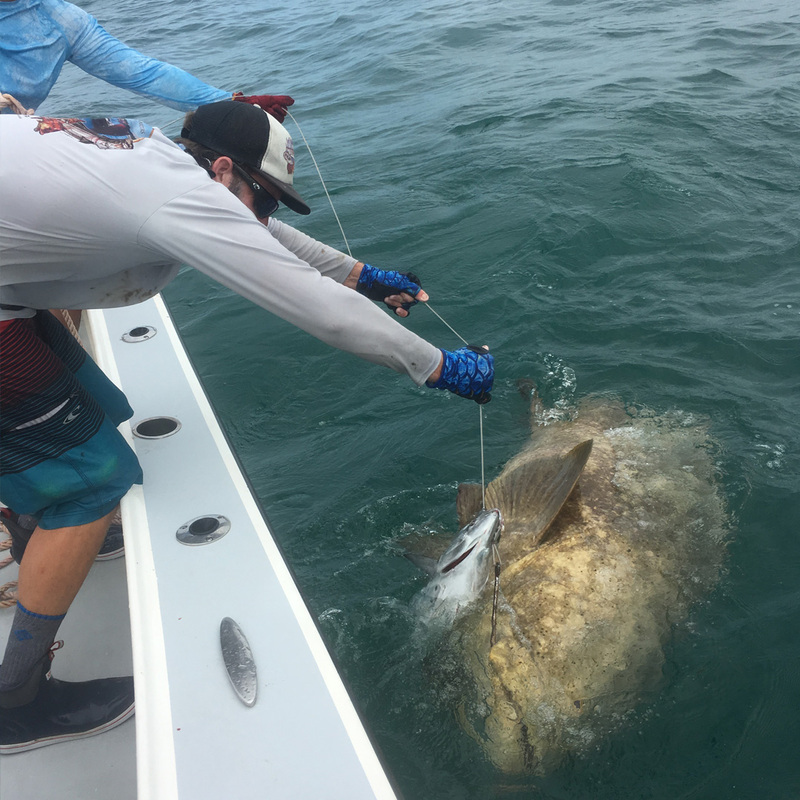 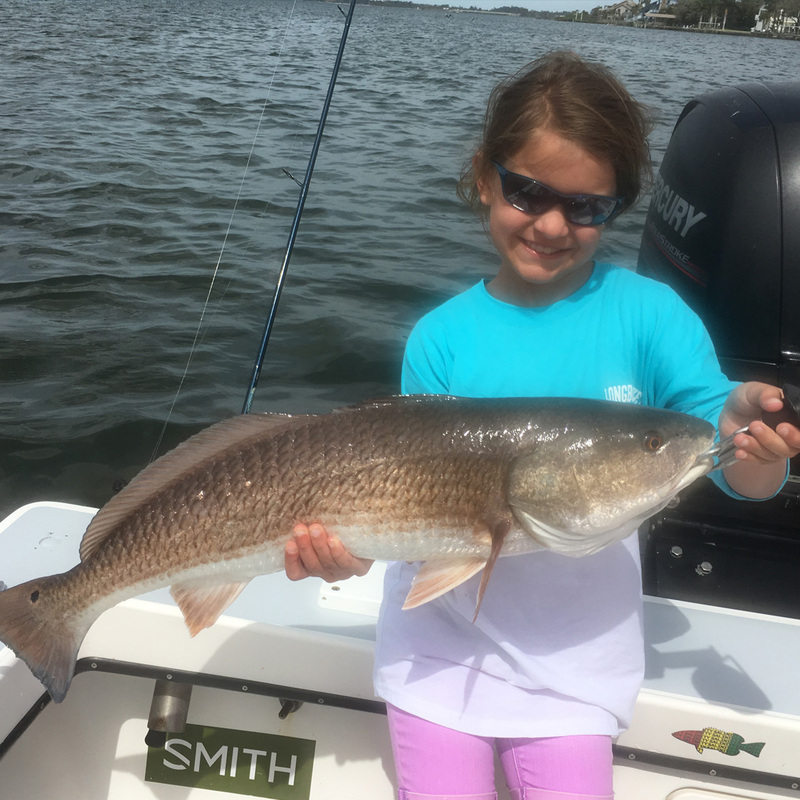 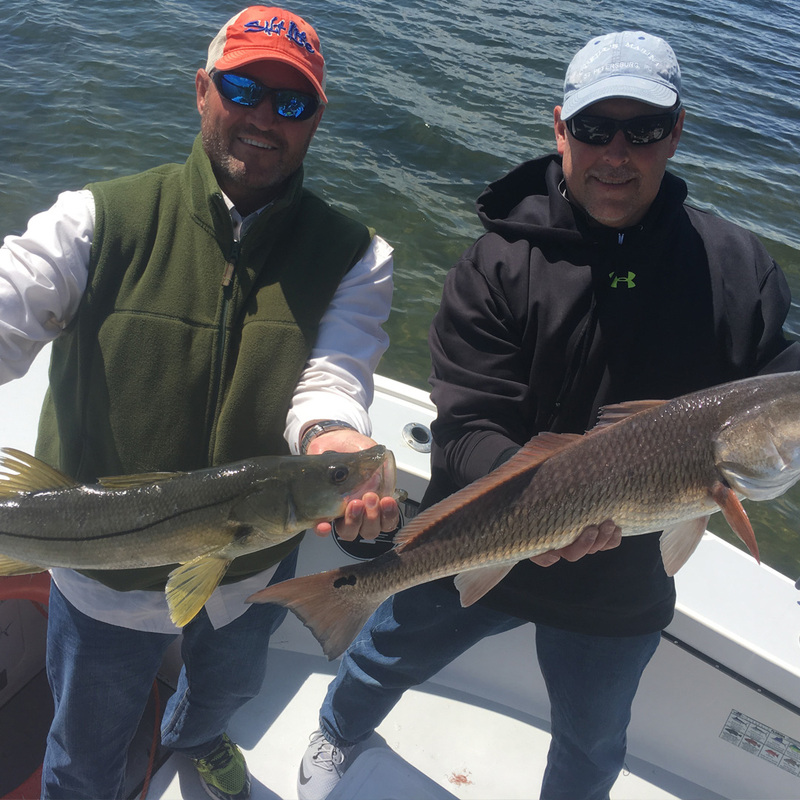 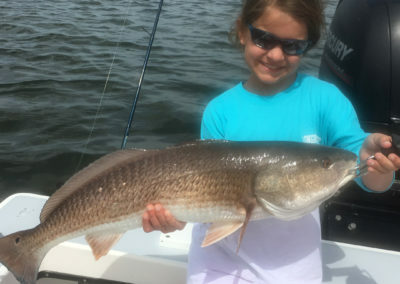 These large schools can be anywhere from 100-500 Redfish strong. 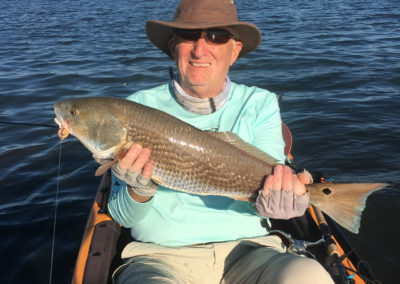 These fish are prowling the flats in search of food and eating everything in their path! 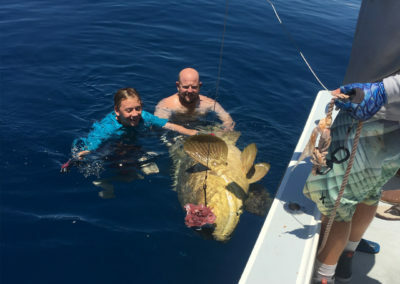 This can make for exciting non stop action! 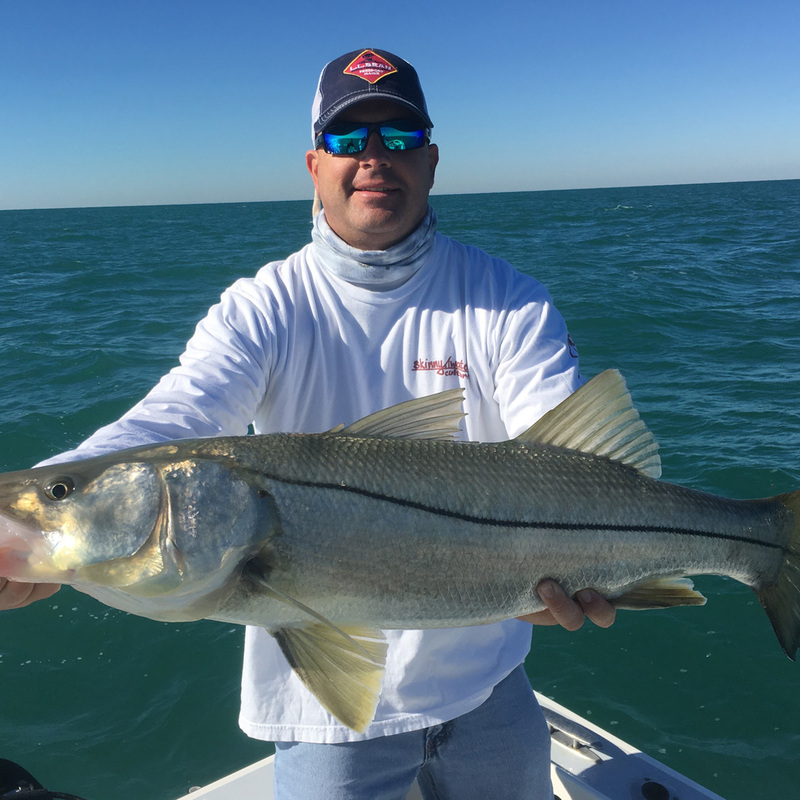 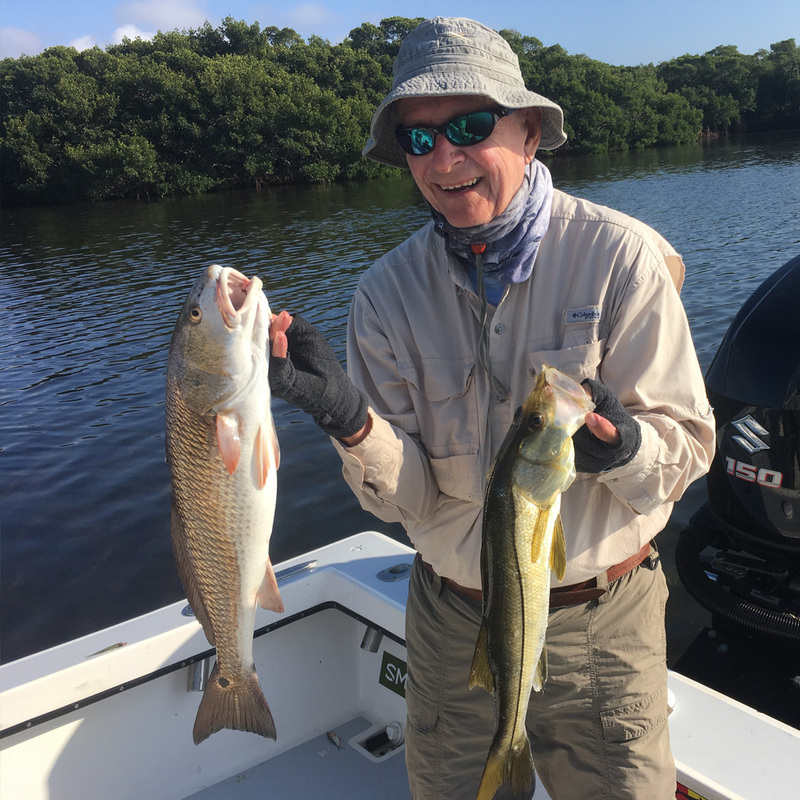 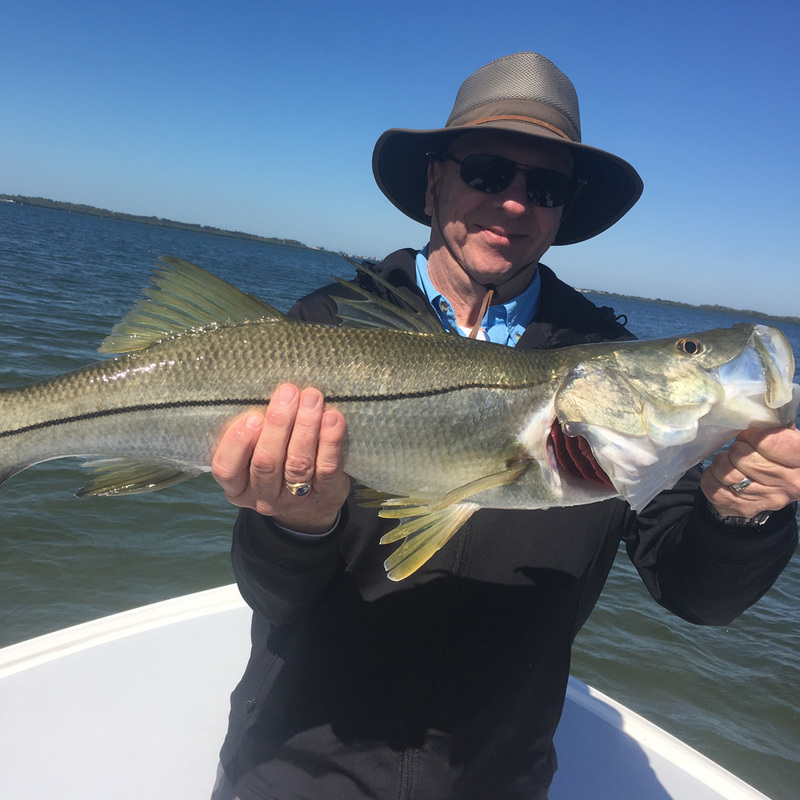 The Snook are creeping out of their winter time retreats and feeding aggressively! 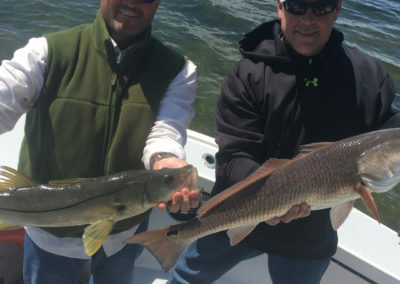 They will start making their way onto the flats and towards the passes. 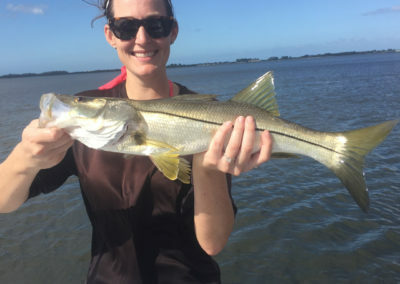 Snook start showing up on the beach as the weather warms up. 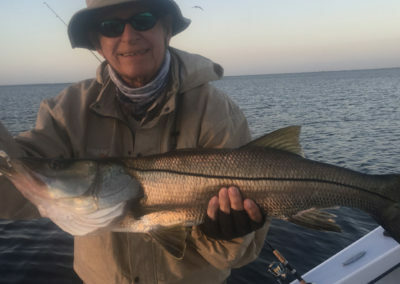 Night time top water bites can be sensational! 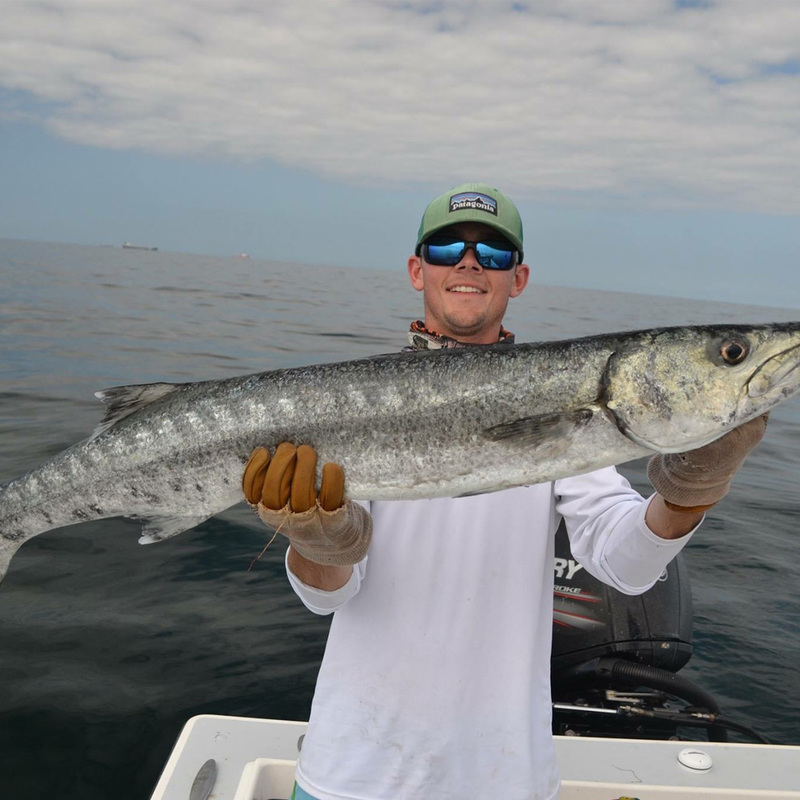 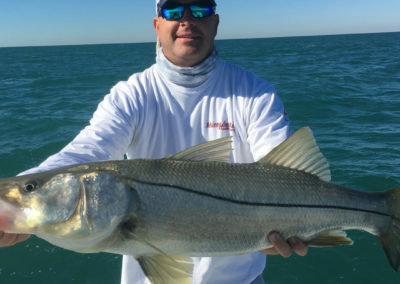 Bait fish will start to follow the warmer water north. 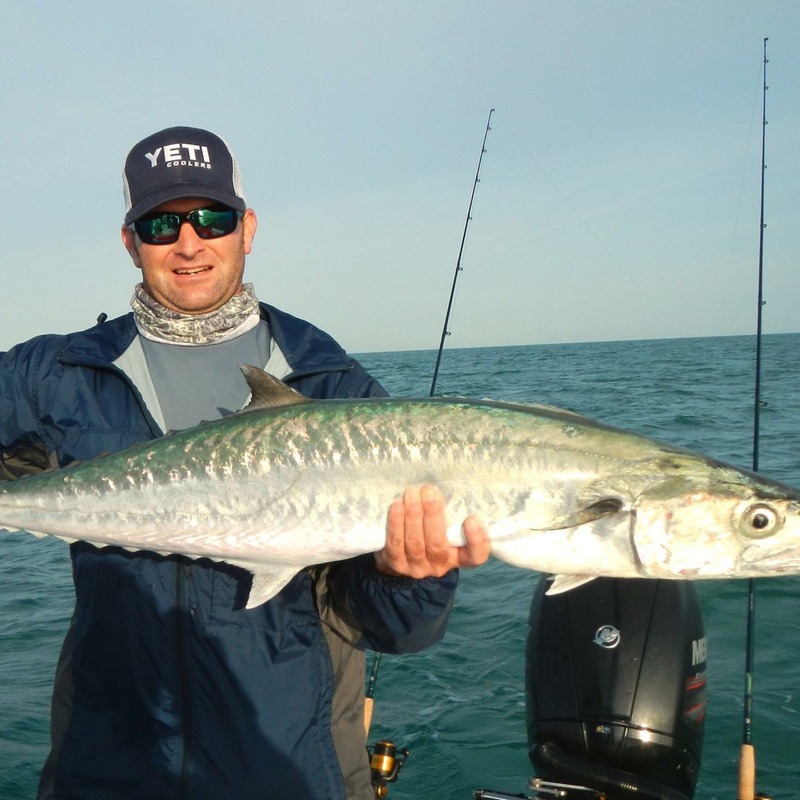 Stalking the bait fish are Tarpon, Kingfish, Bonita, Mackerel, sharks, Cobia, bull Reds and Tripletail. 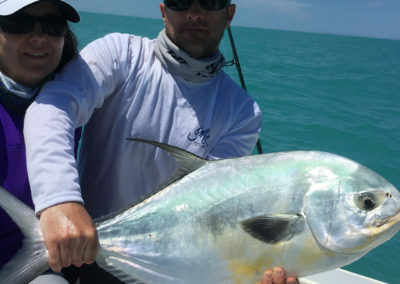 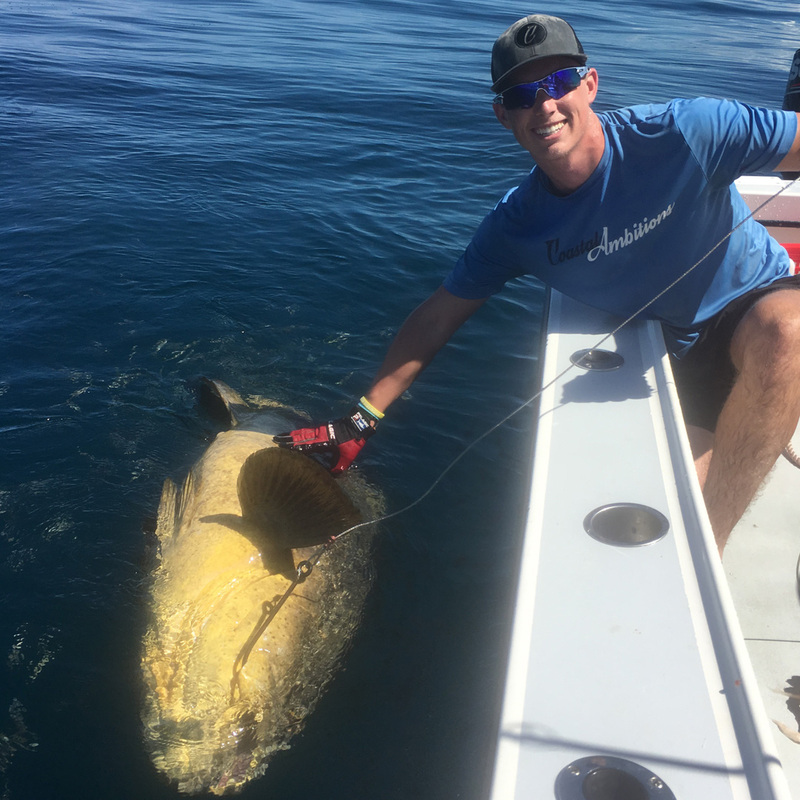 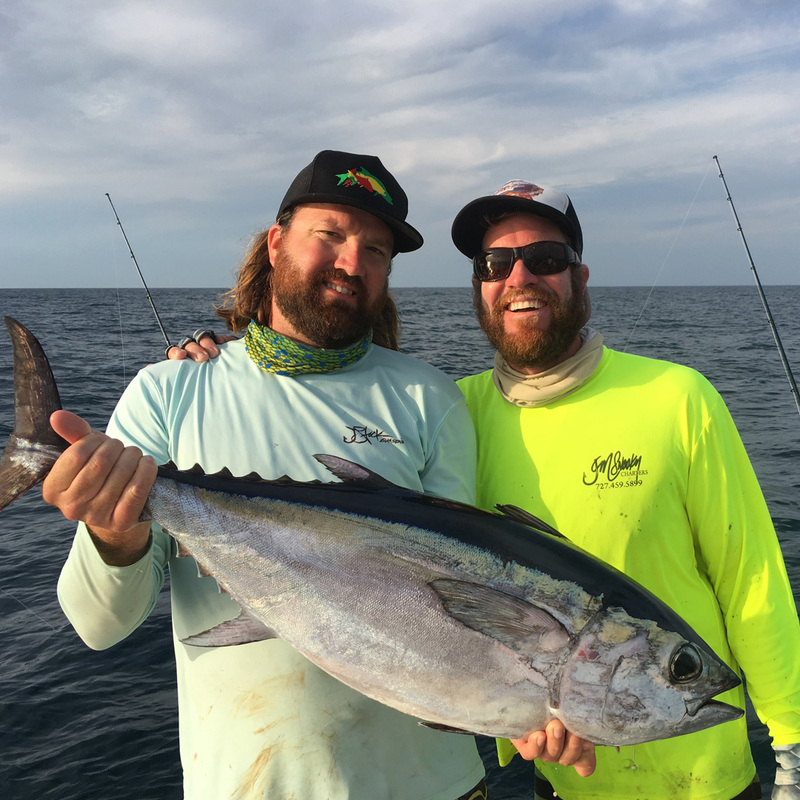 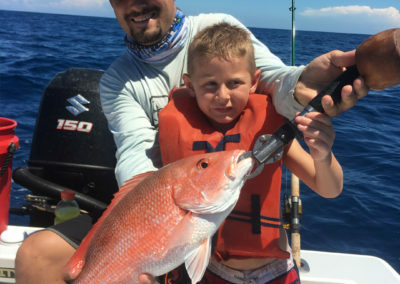 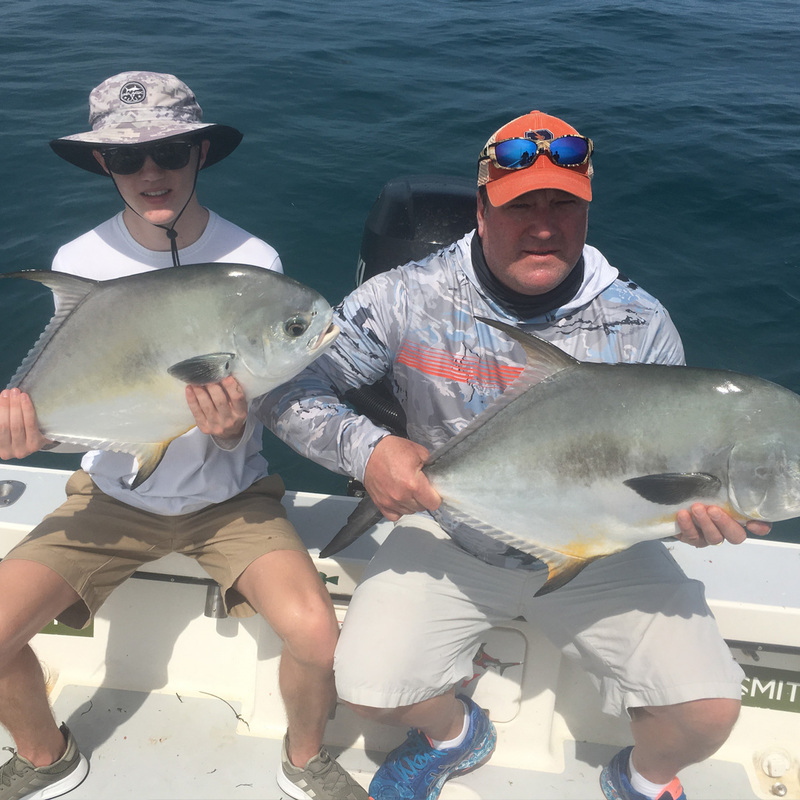 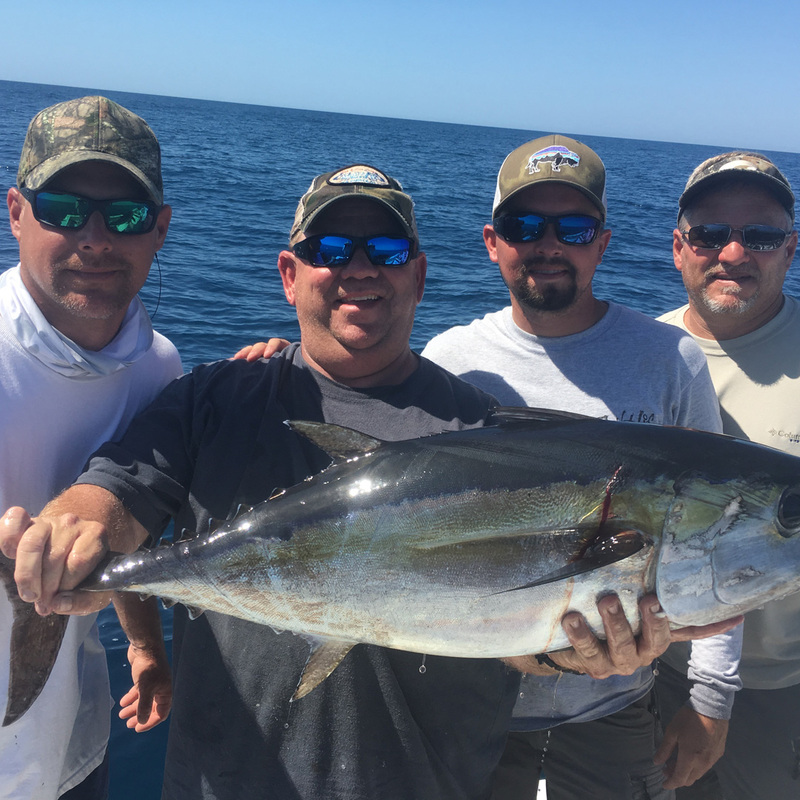 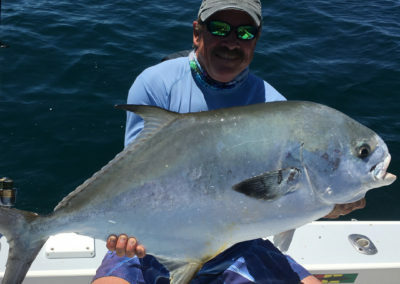 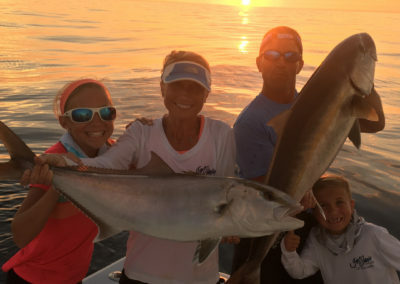 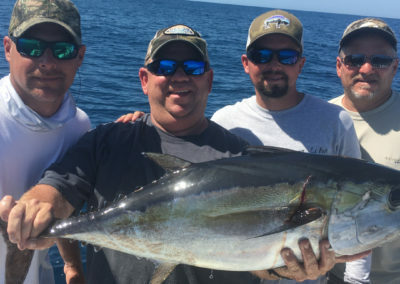 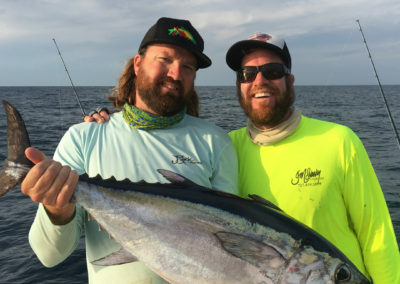 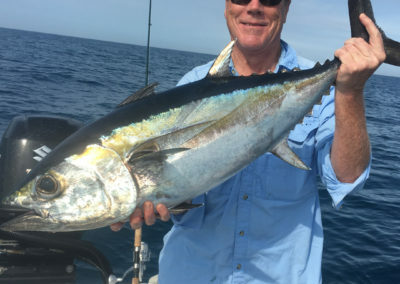 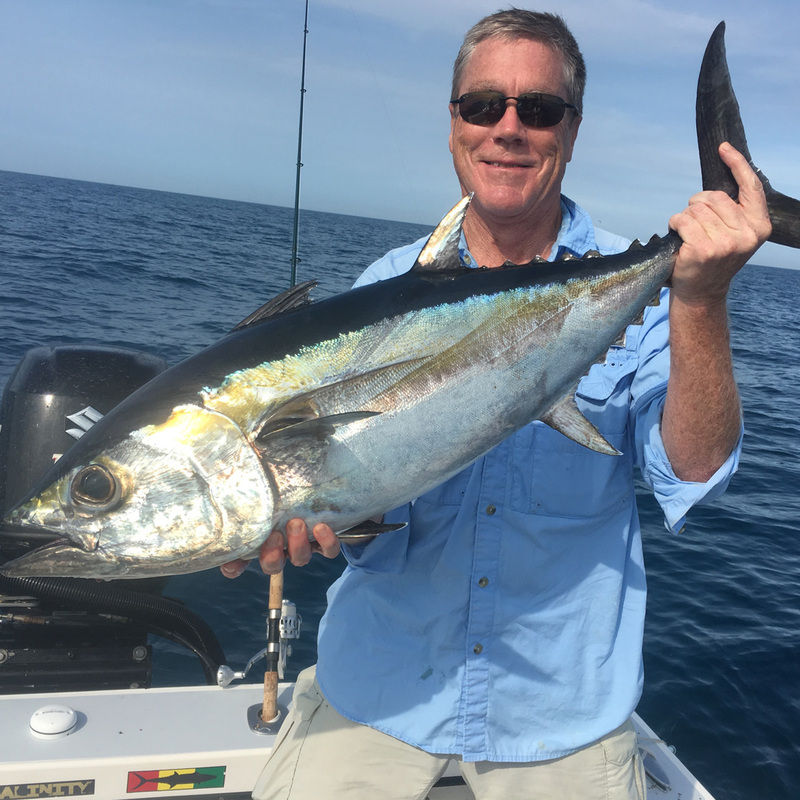 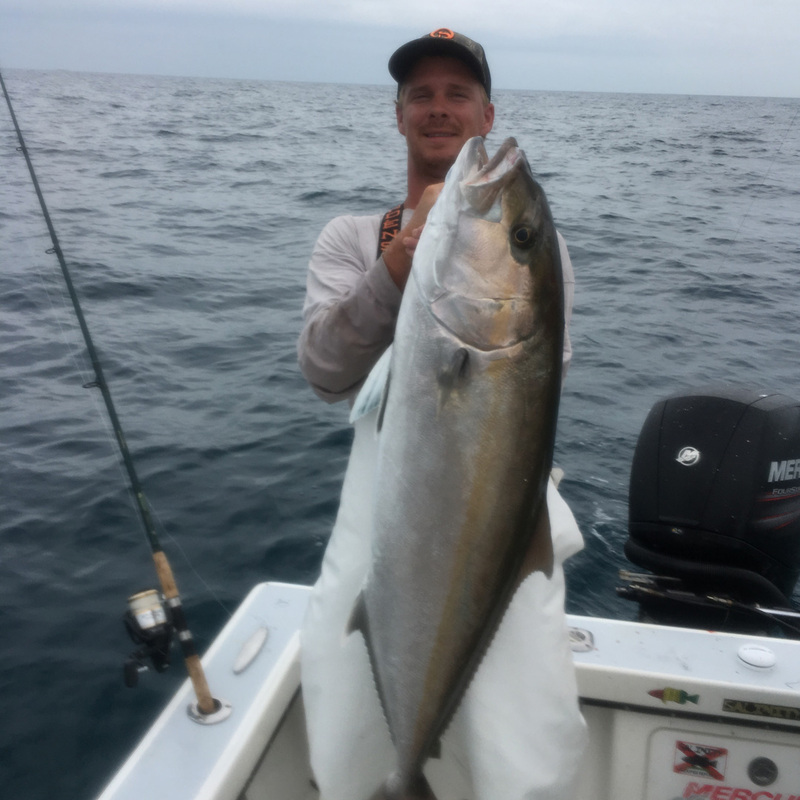 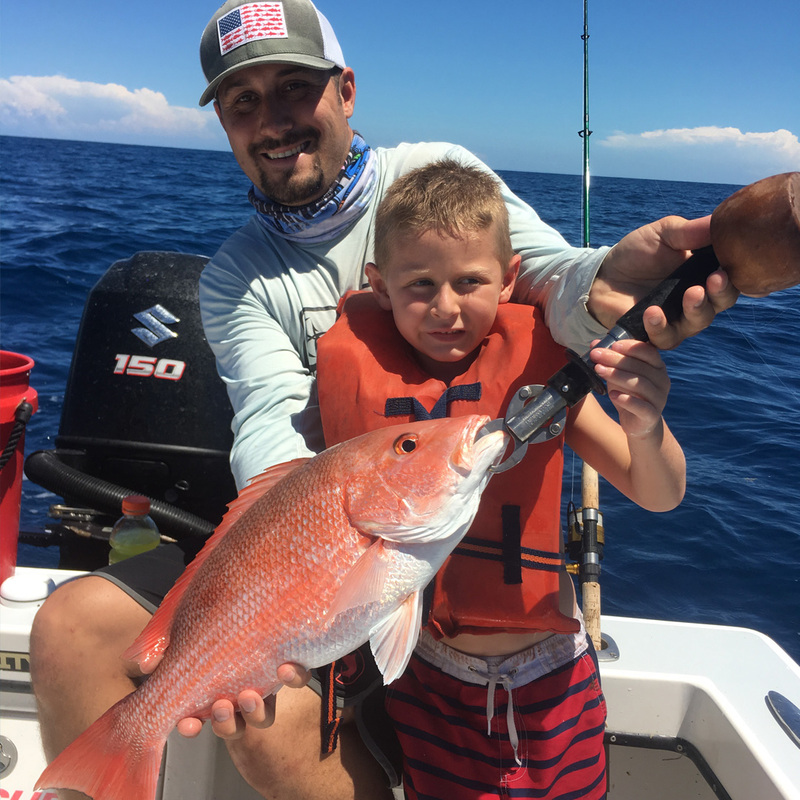 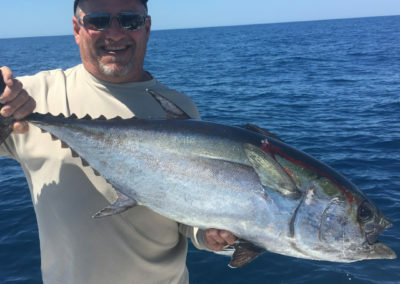 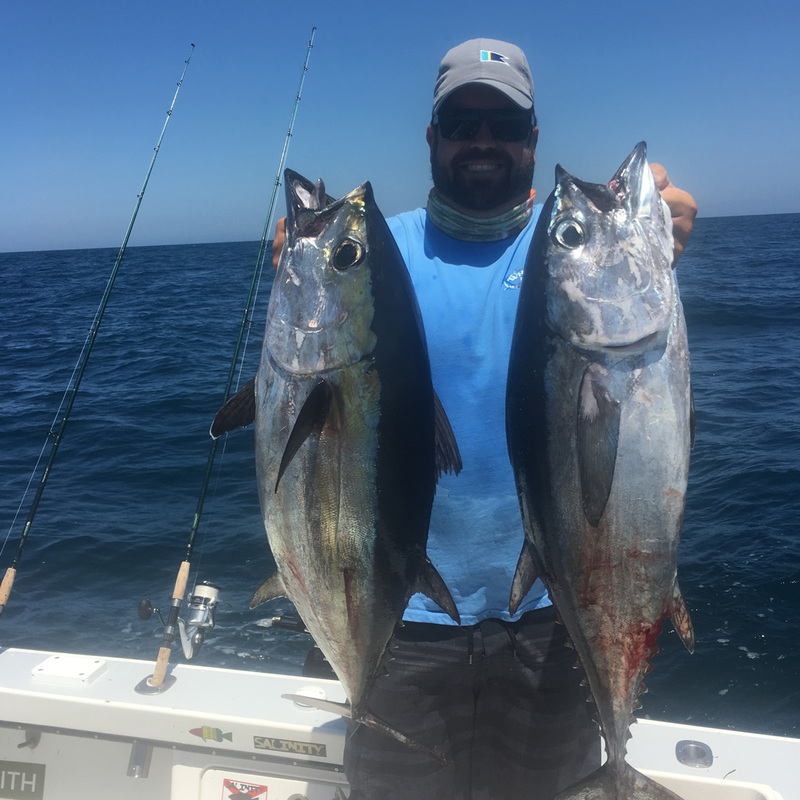 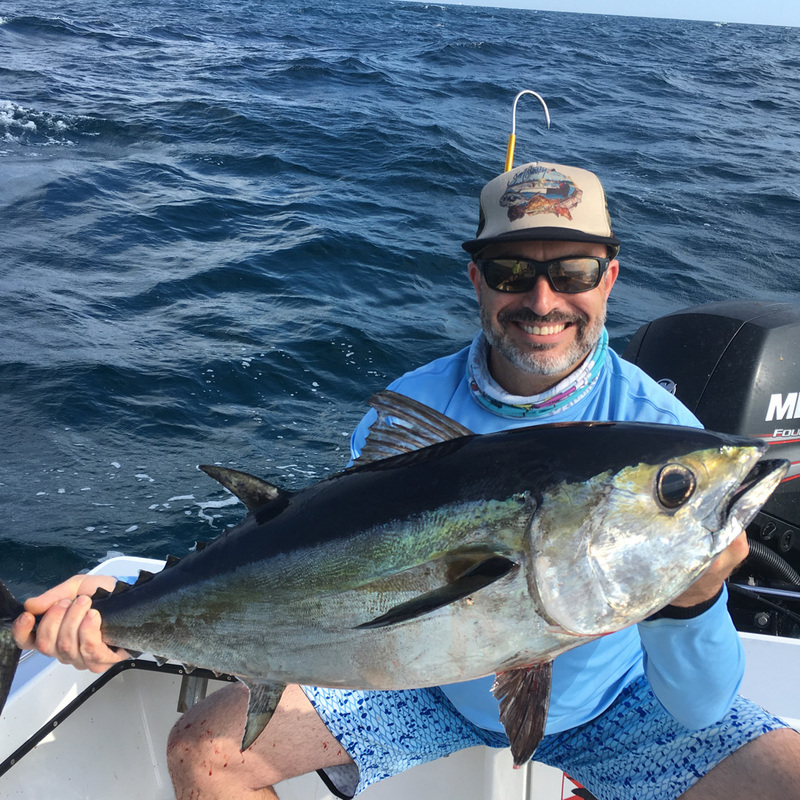 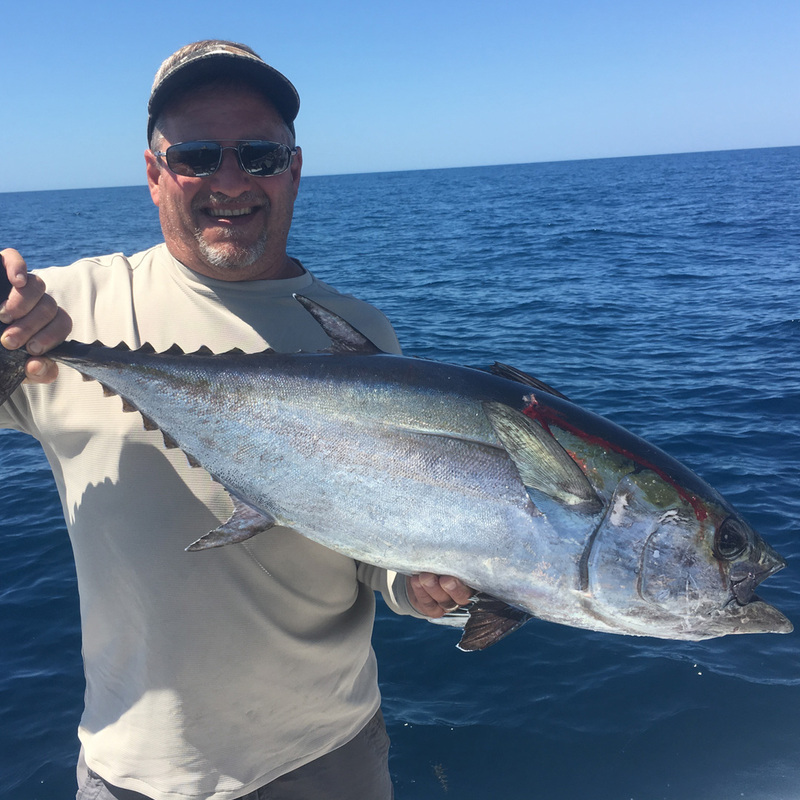 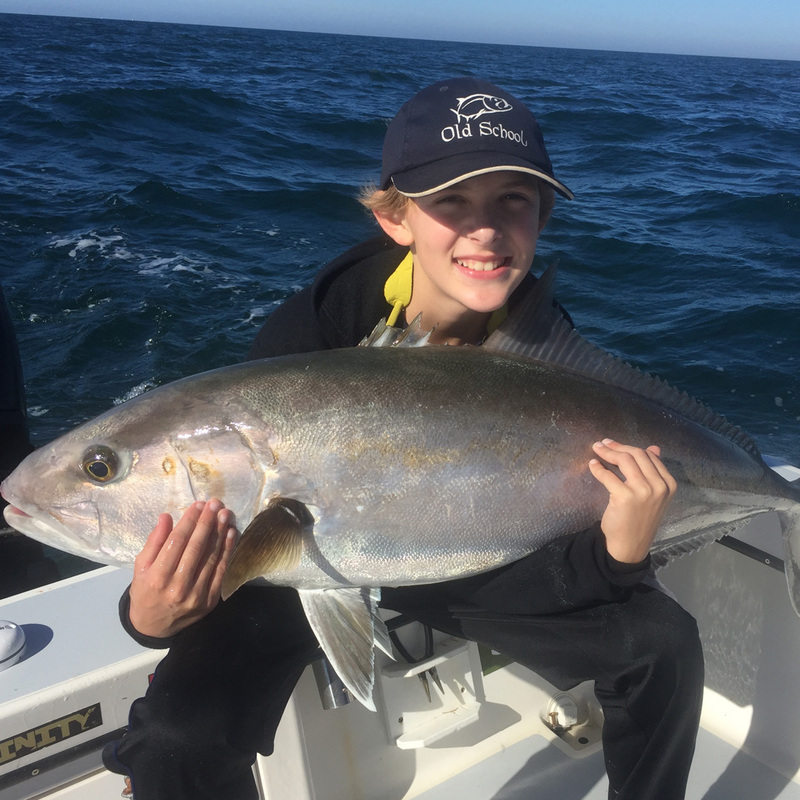 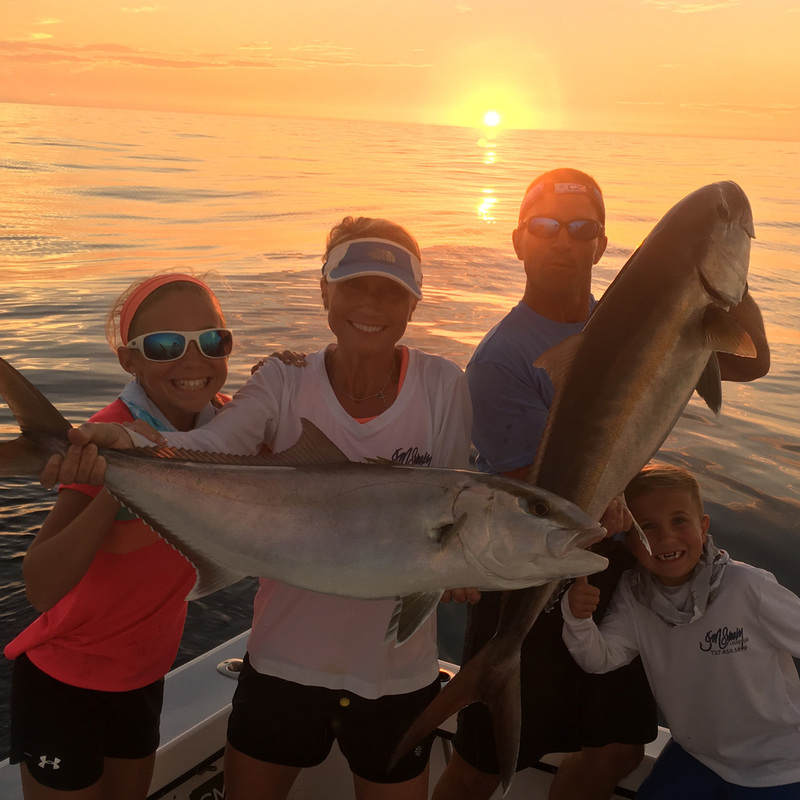 By fishing from the 26′ Yellowfin, we can find the best action of the day and the bite that follows. 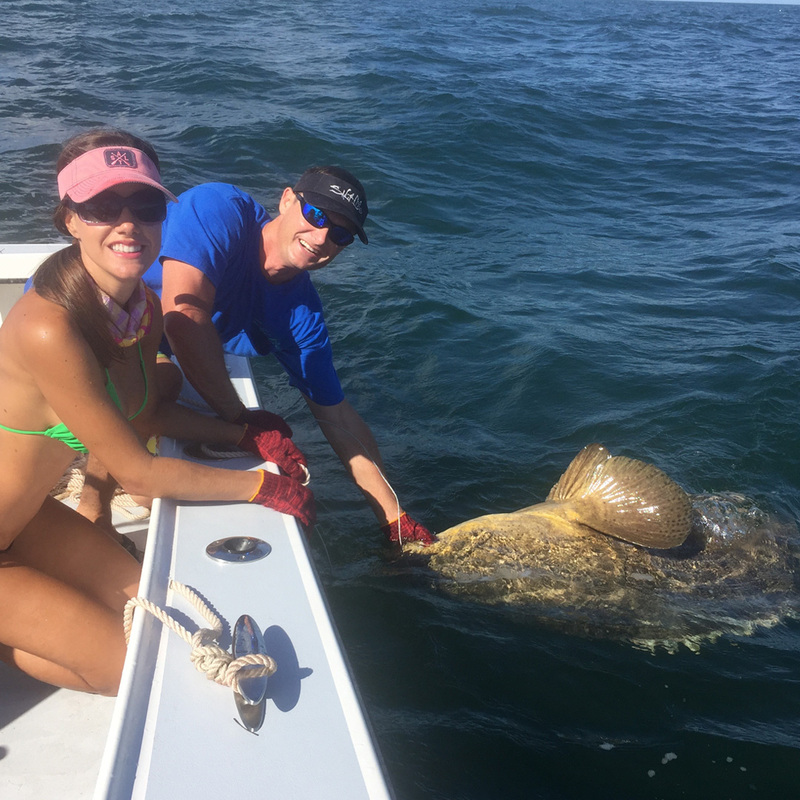 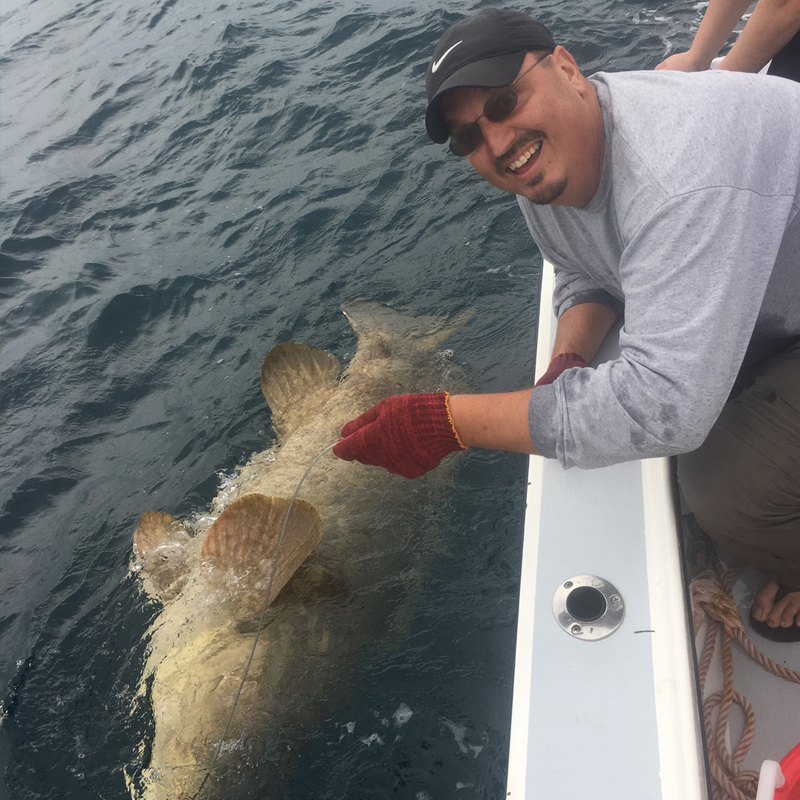 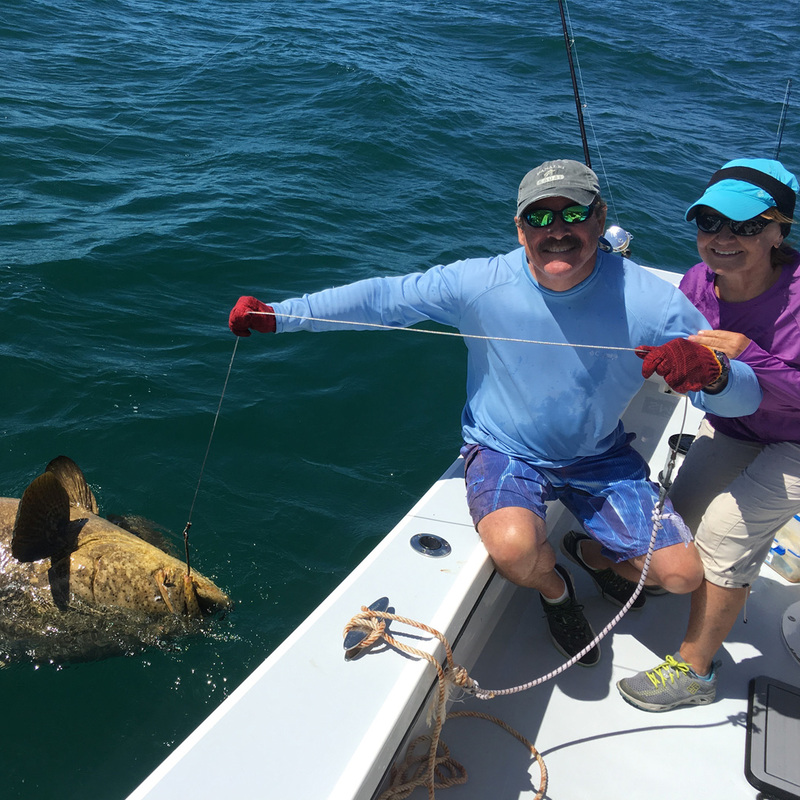 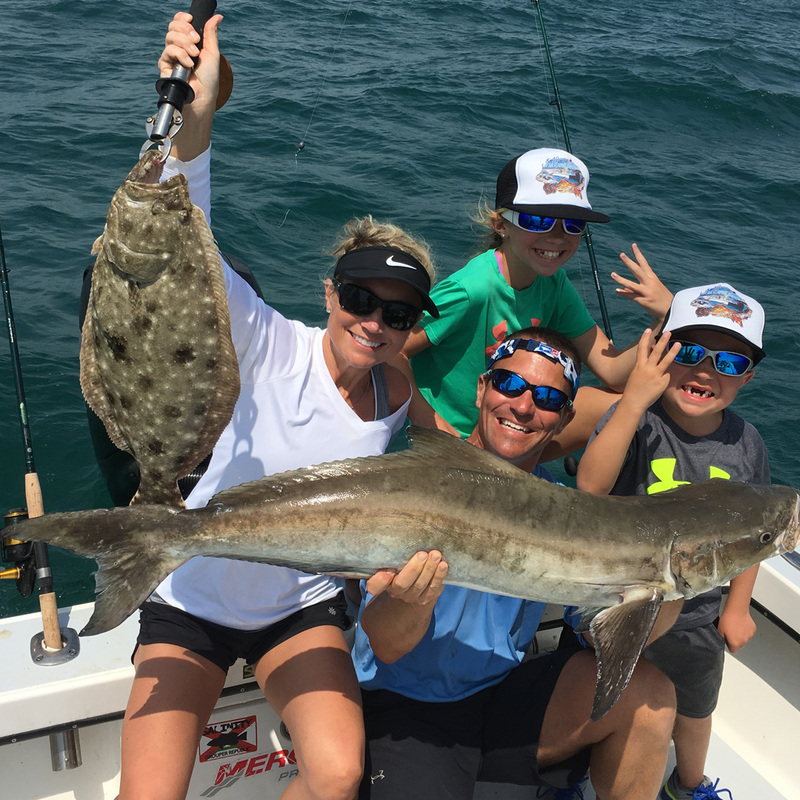 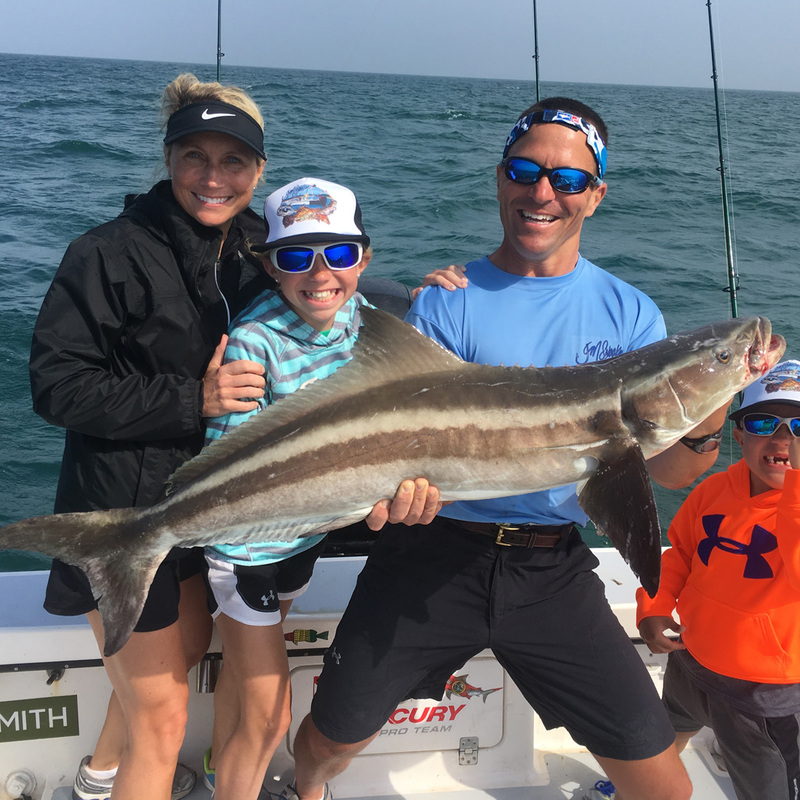 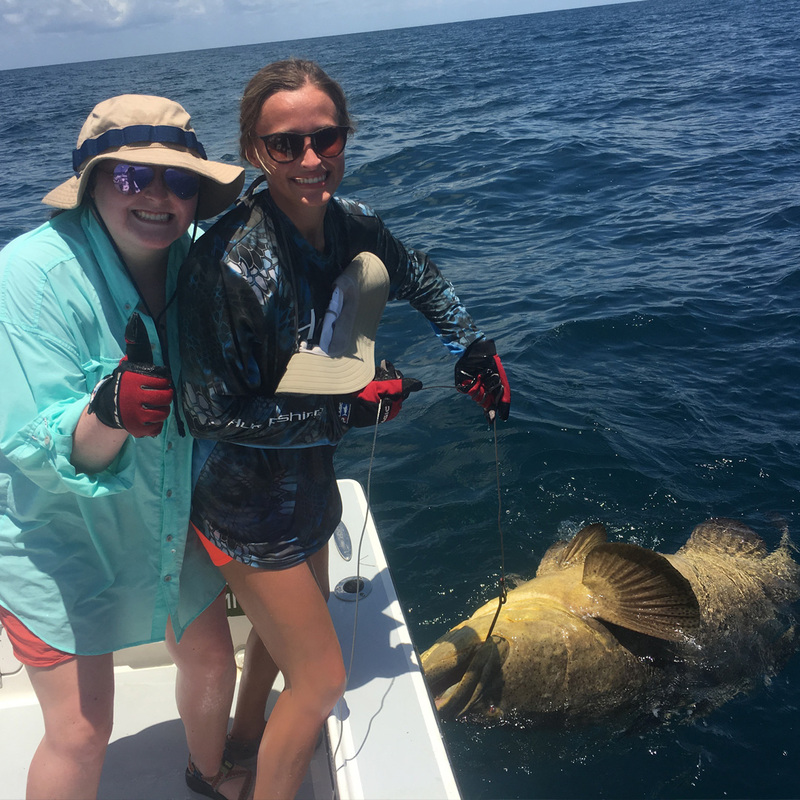 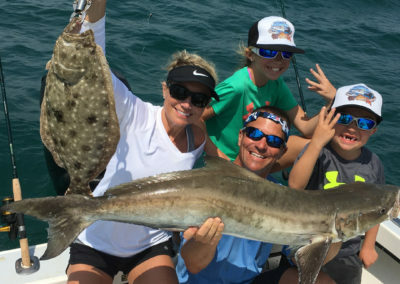 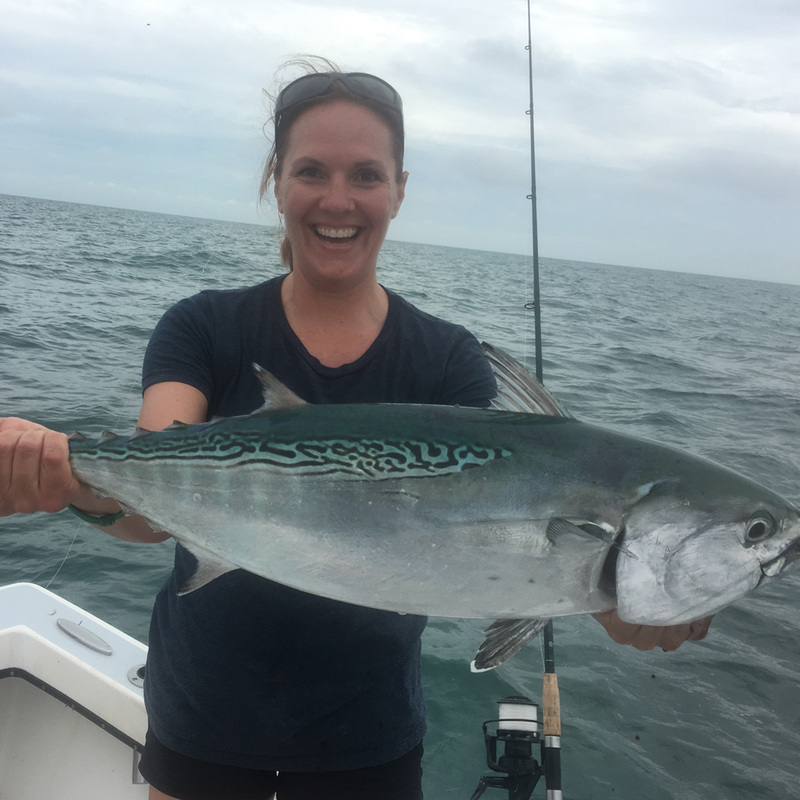 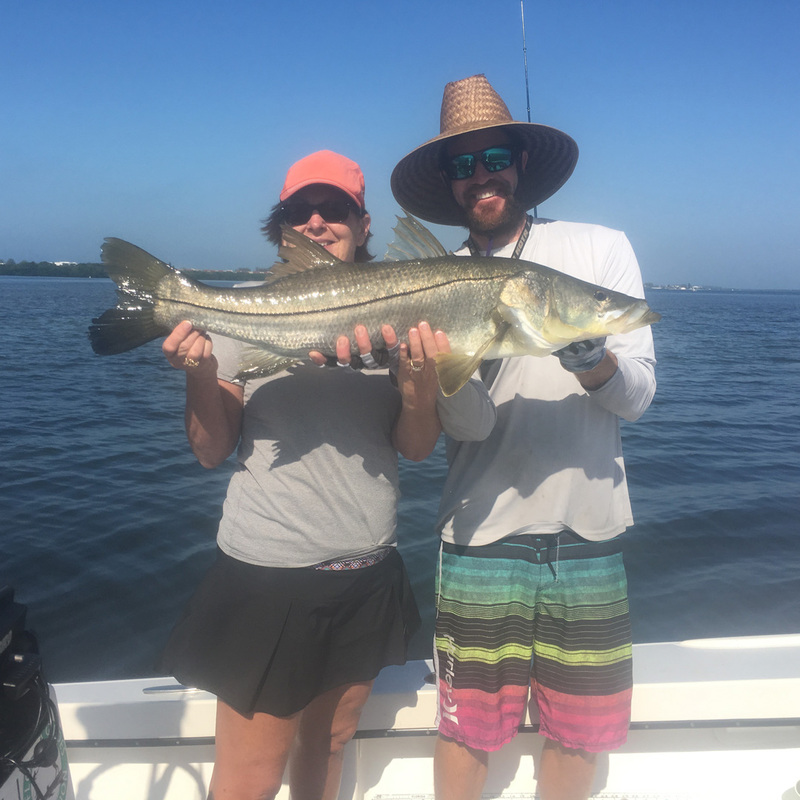 For a bunch of different options, give my wife Heather a call at 1 (941) 253-6512 while I am on the water, or email me at jmsnooky@gmail.com and we will make plans! 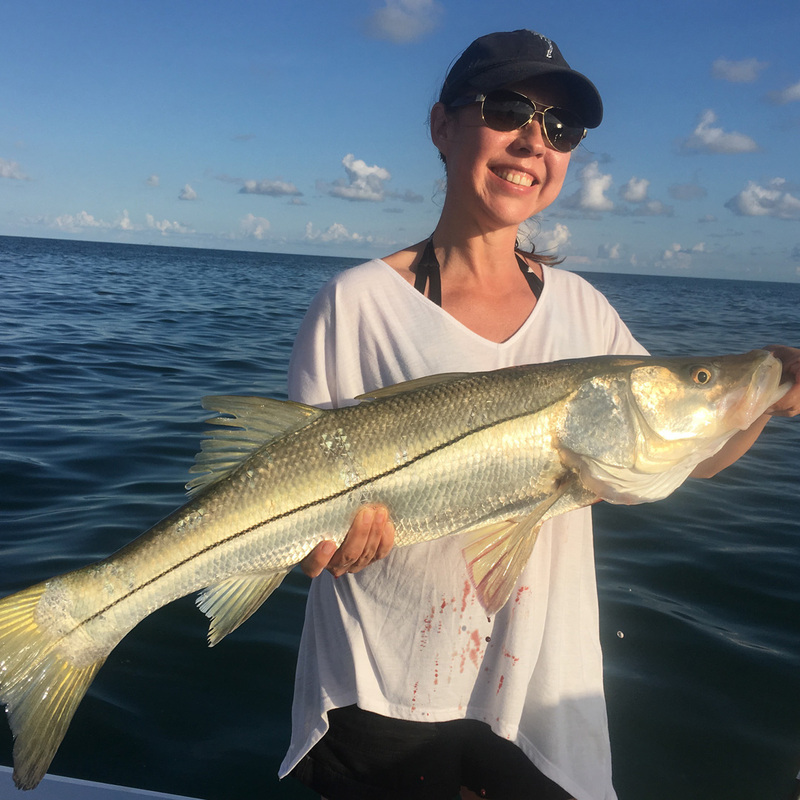 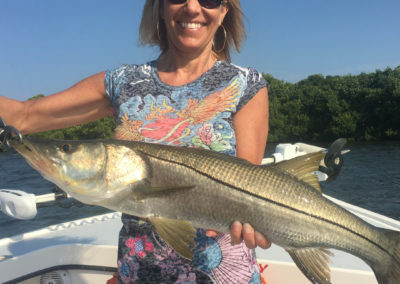 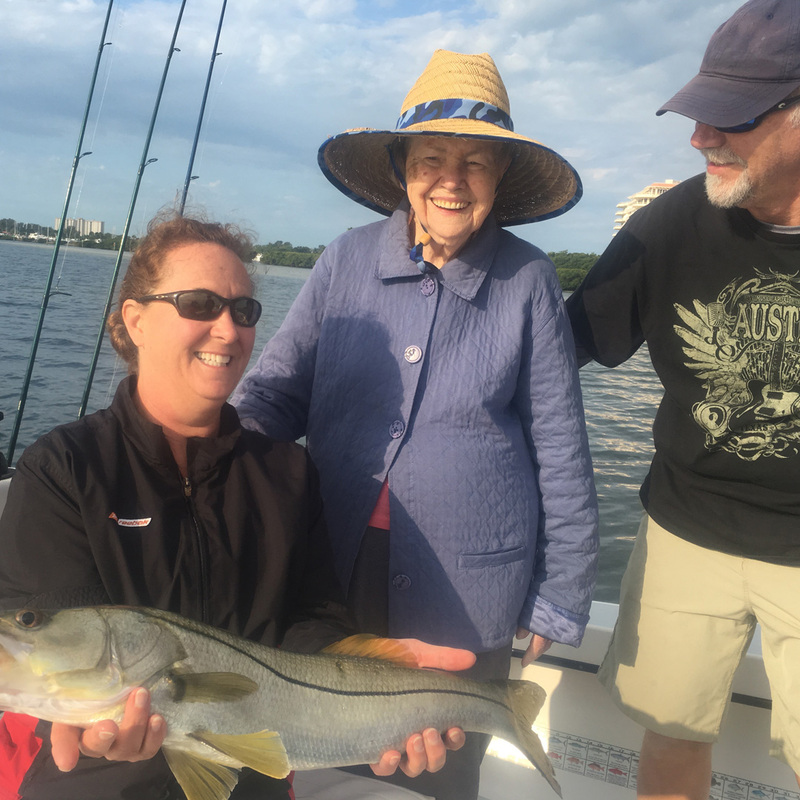 In the Summer, we can sight cast Snook while throwing lures or fly. 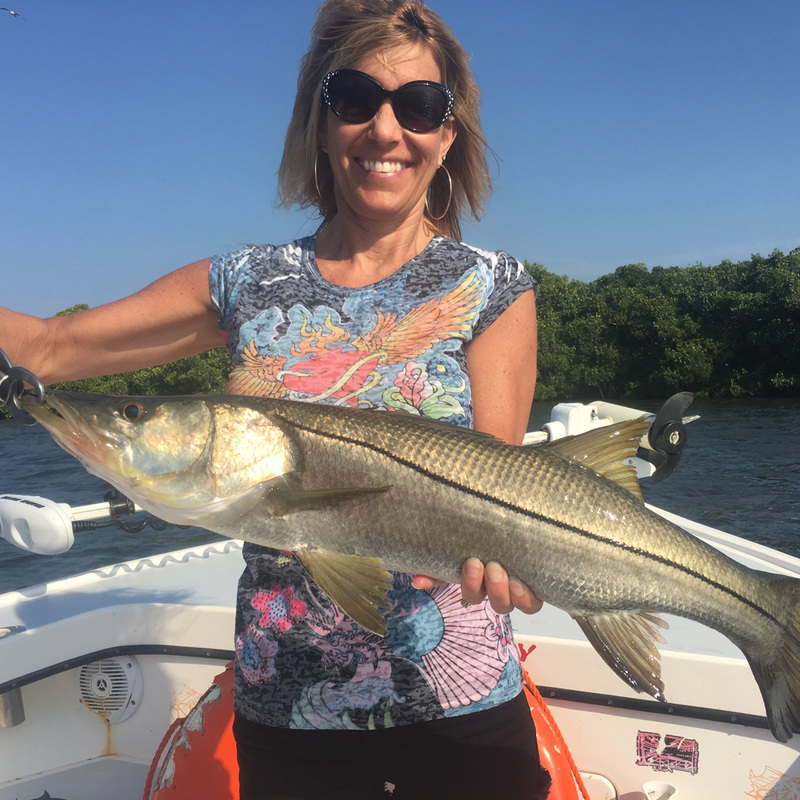 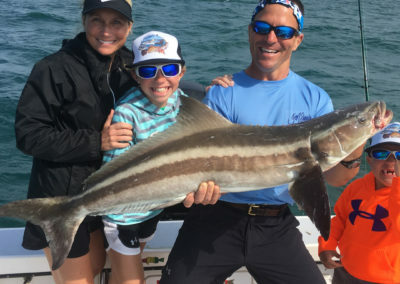 You can have a shot at hundreds of cruising Snook. 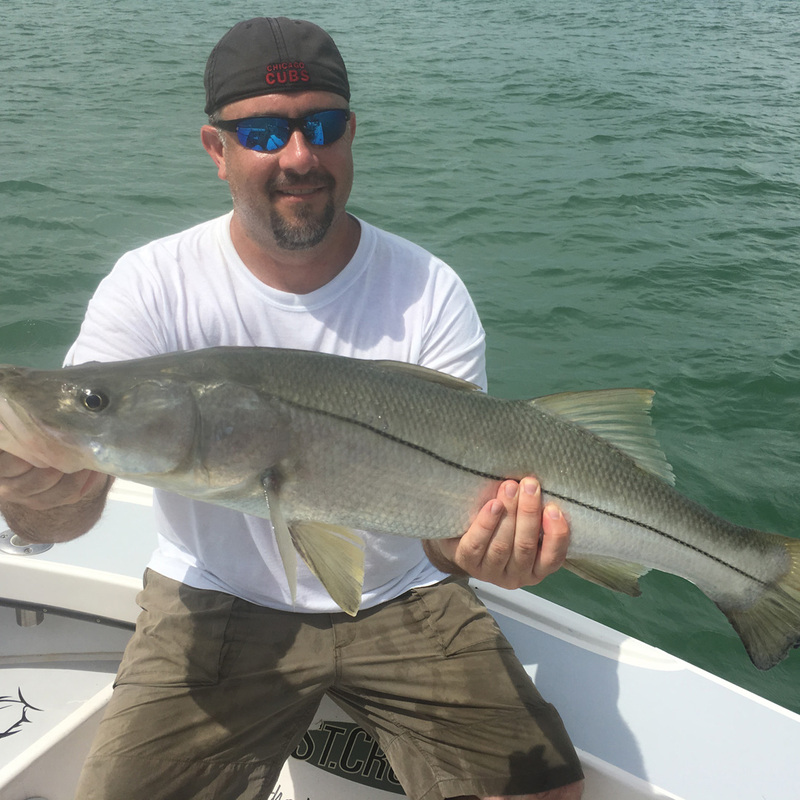 With the abundance of bait fish the Snook, Redfish and Trout will be close to the passes and strong tidal flow areas ambushing prey. 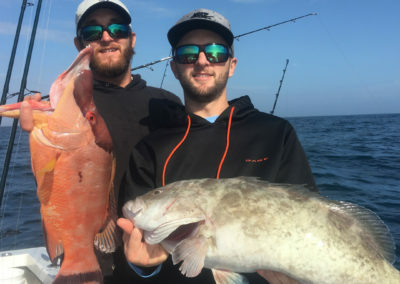 Summer is the best time of year to get up early and have a killer sunrise bite. 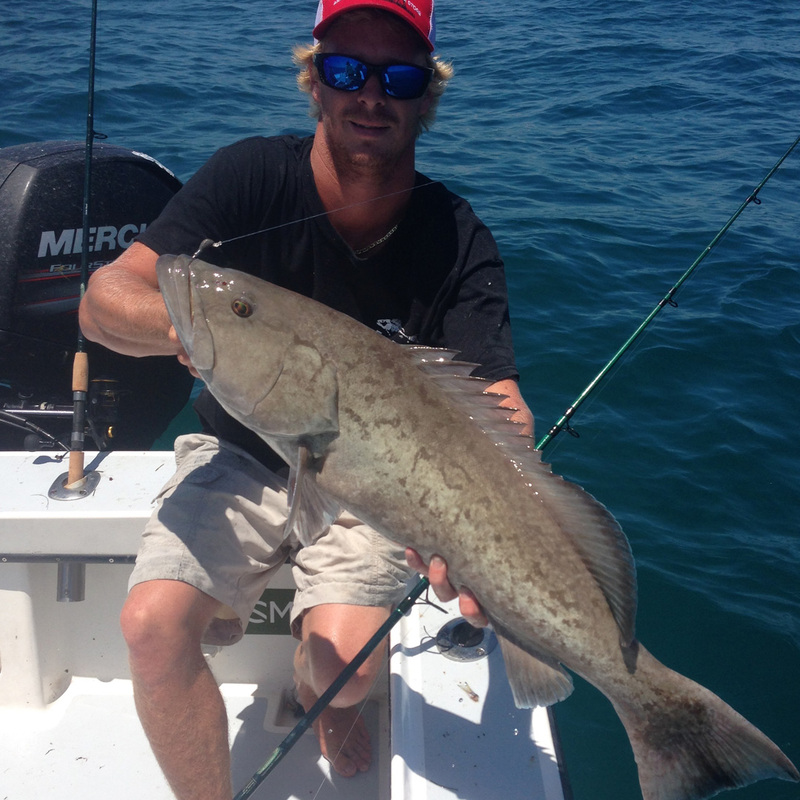 To beat the heat you can choose to book a trip in the afternoon for an epic top water session. 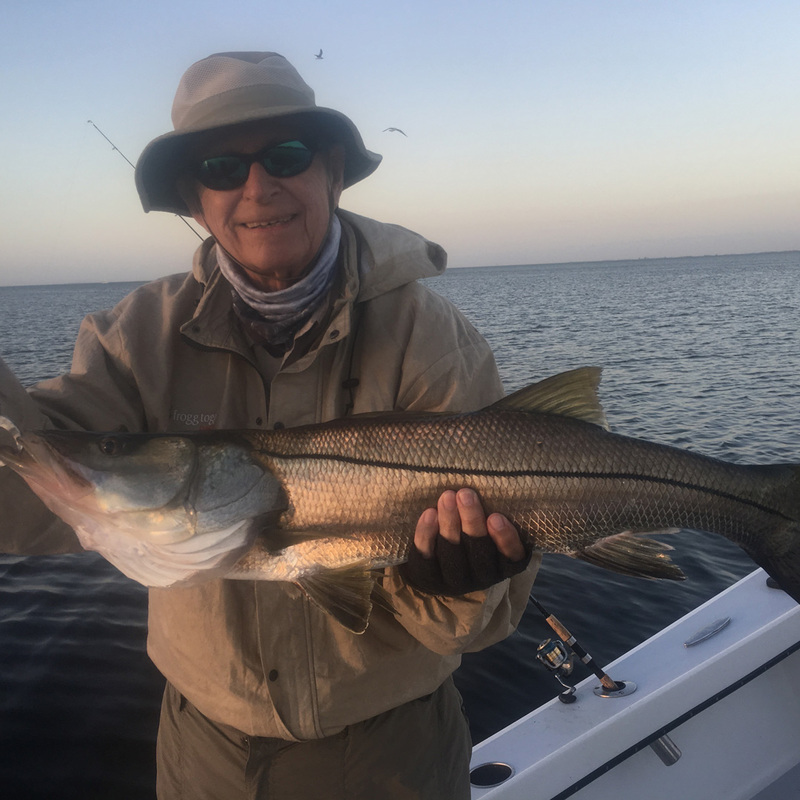 Night time fishing can be outstanding especially around the new and full moon. 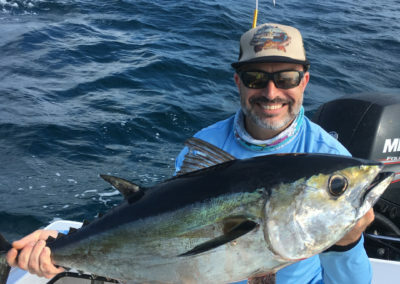 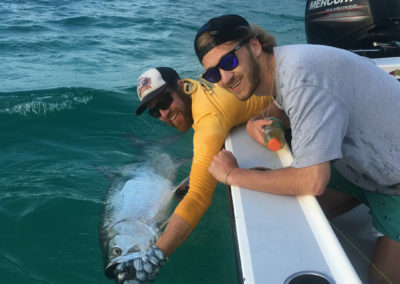 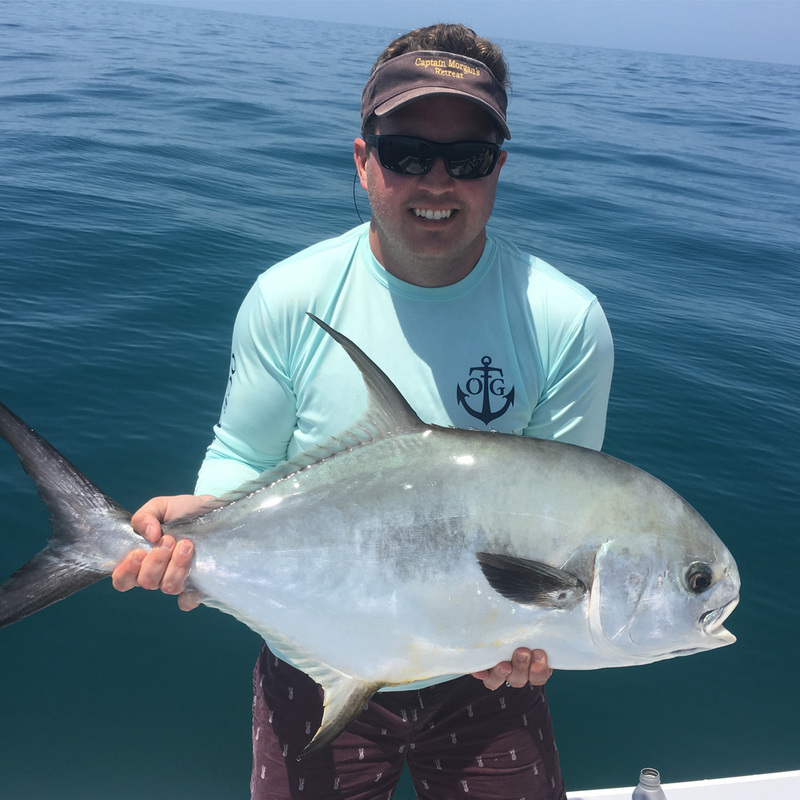 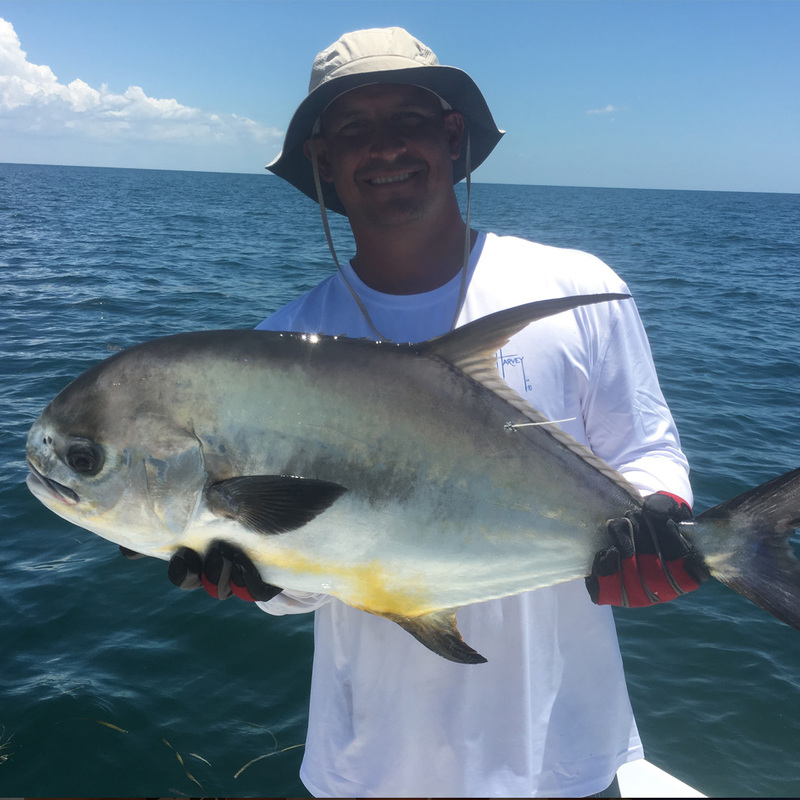 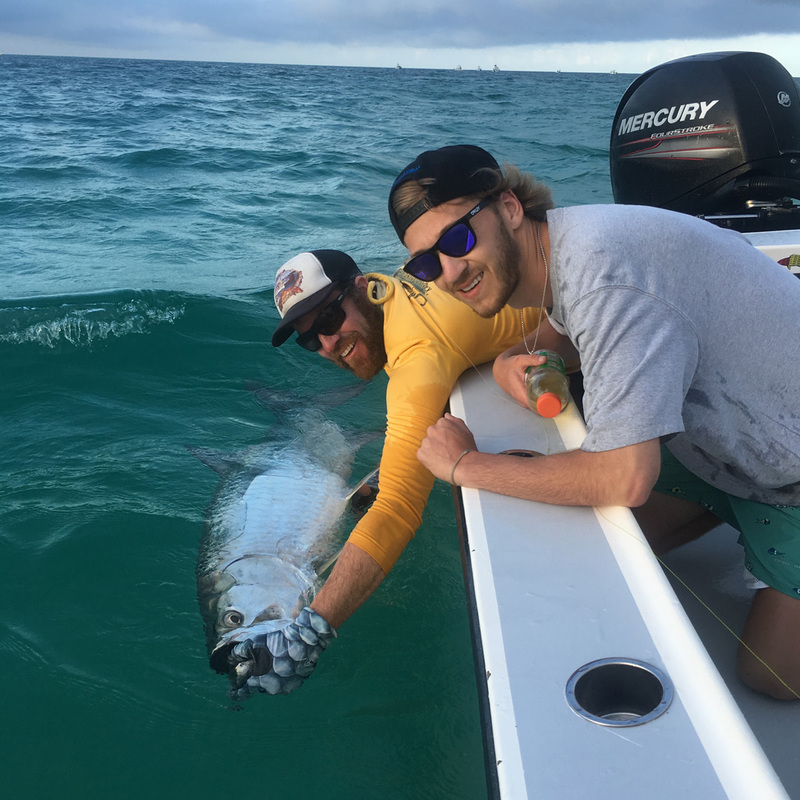 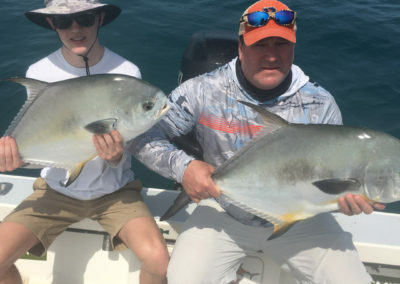 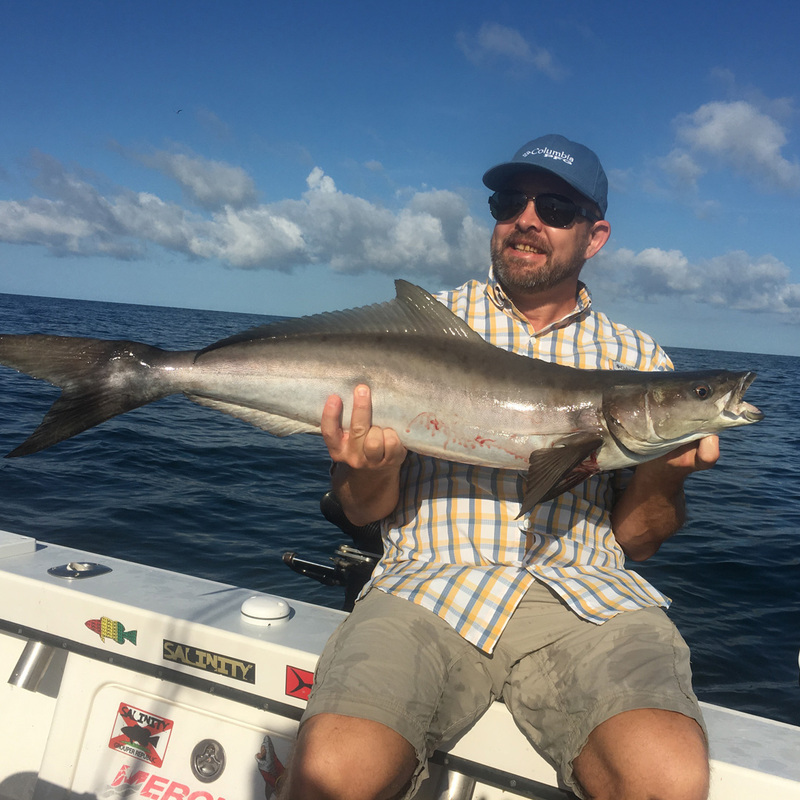 The 26′ Yellowfin can get you right in the thick of the action, with the ability to cover a large area, and take advantage of the hot bite of Tarpon, Permit, Amberjack, Redfish, Snook, Snapper, Tripletail, and African Pomano this time a year. 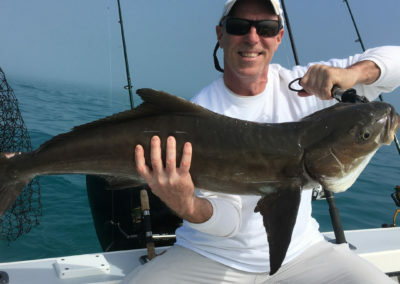 The Big Shark bite is also active this time of year. 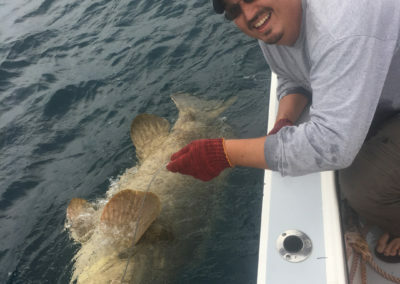 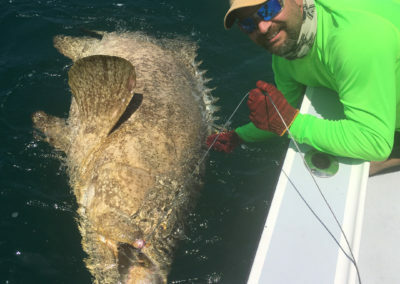 As always, those looking to hook up a big Goliath, Summer is the perfect time. 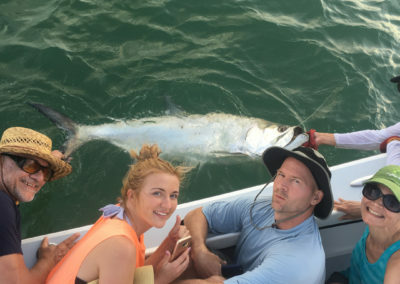 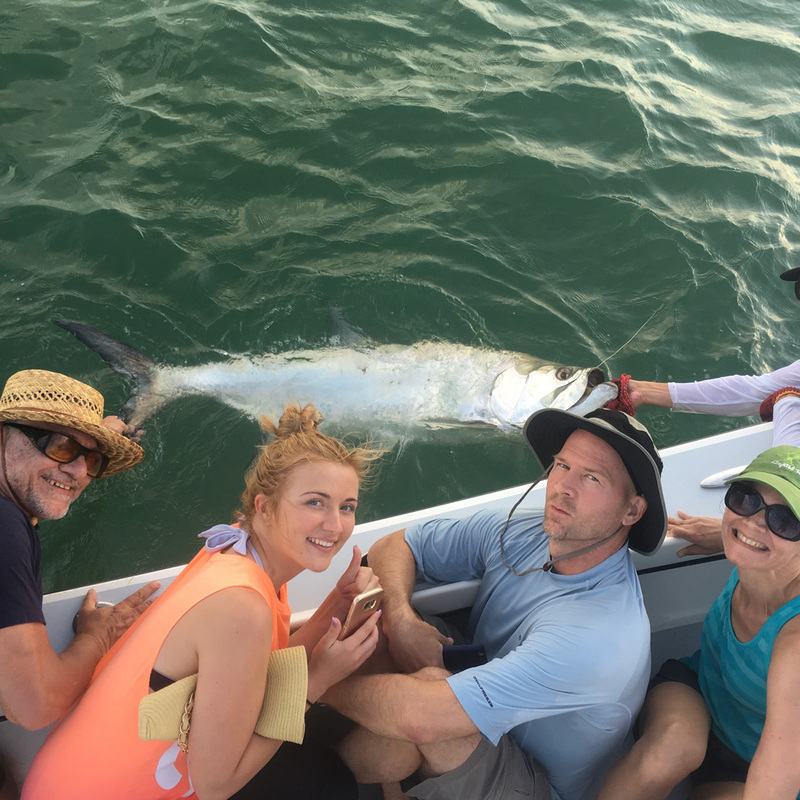 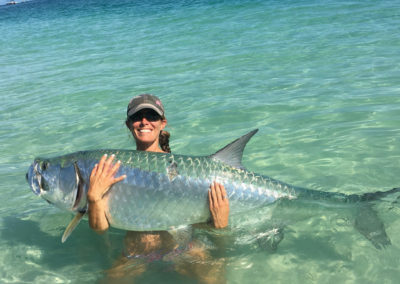 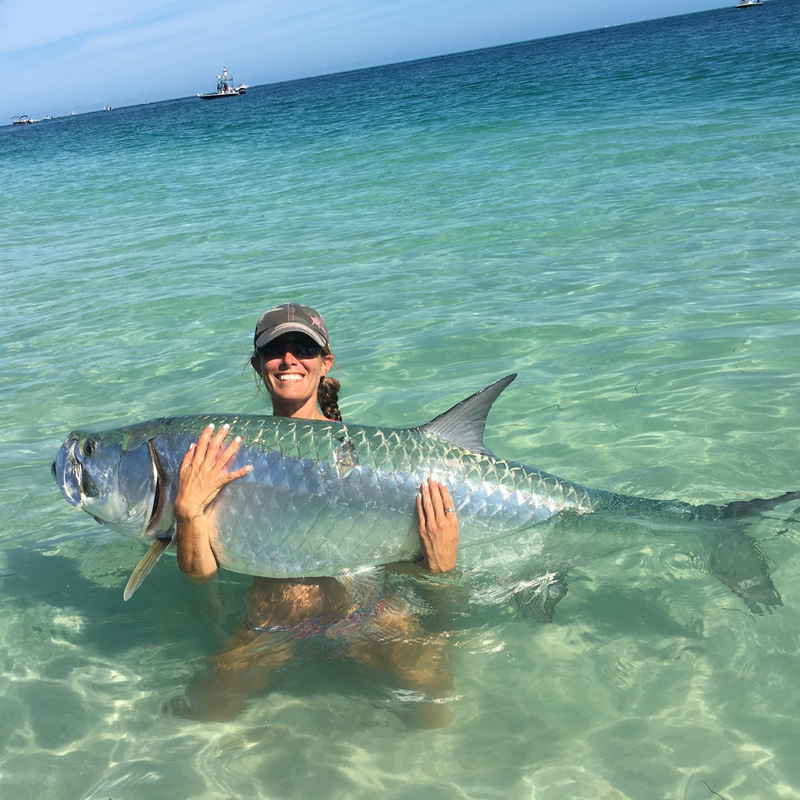 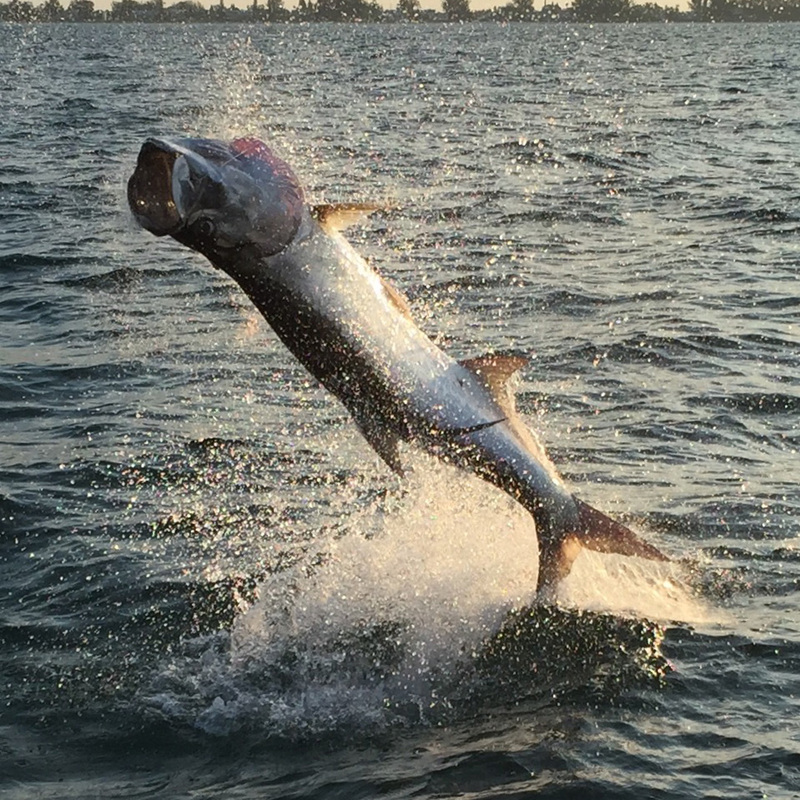 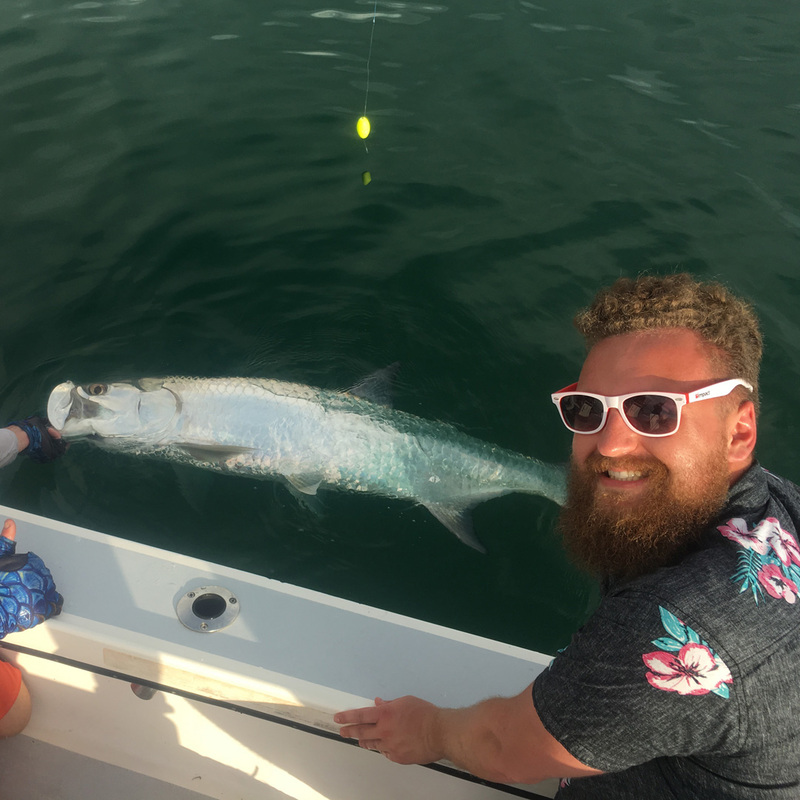 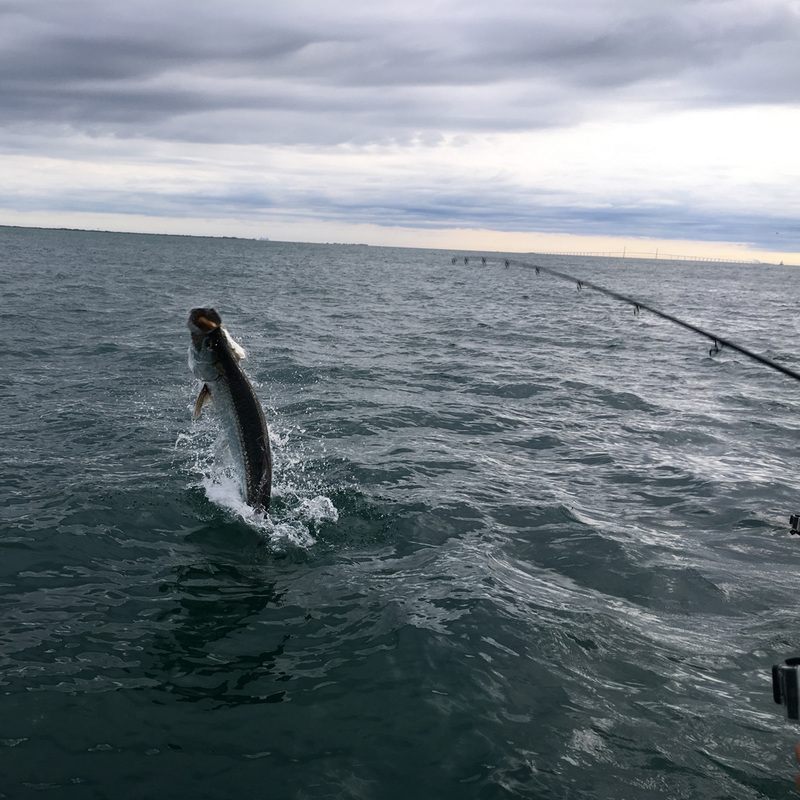 Both Tarpon and Shark are a hot bite on the beaches this time of year. 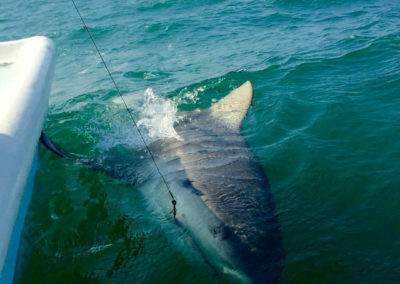 The Sharks can range from 3-10 foot long on average! 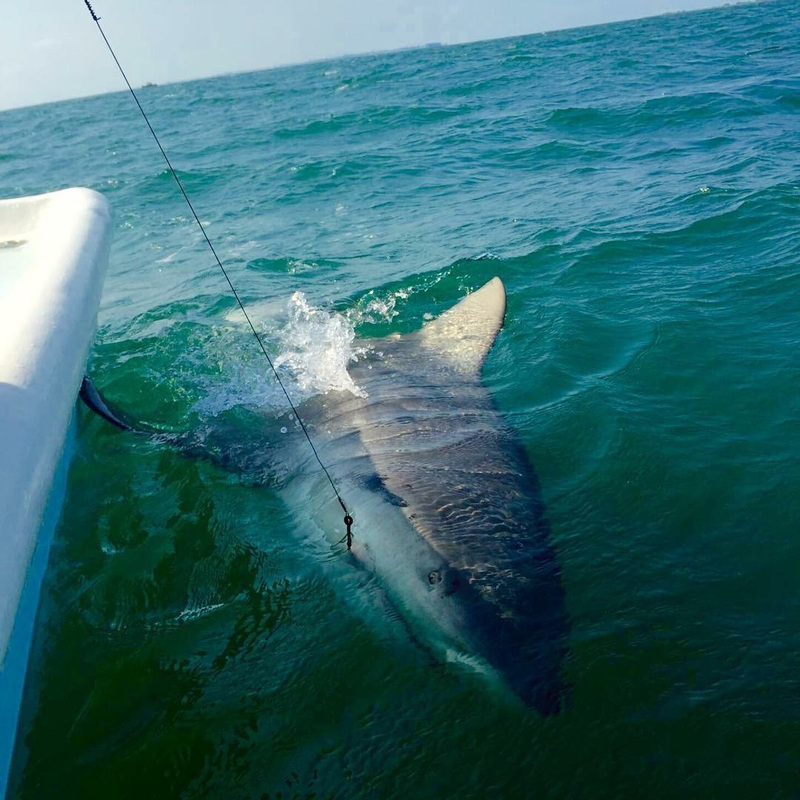 I offer a different technique for this and you fight the shark from the beach. 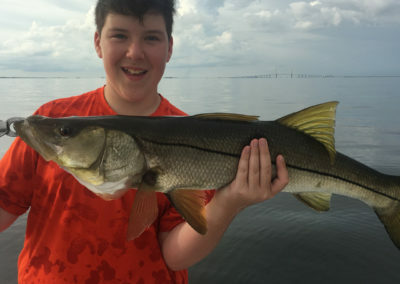 Always something fun to do. 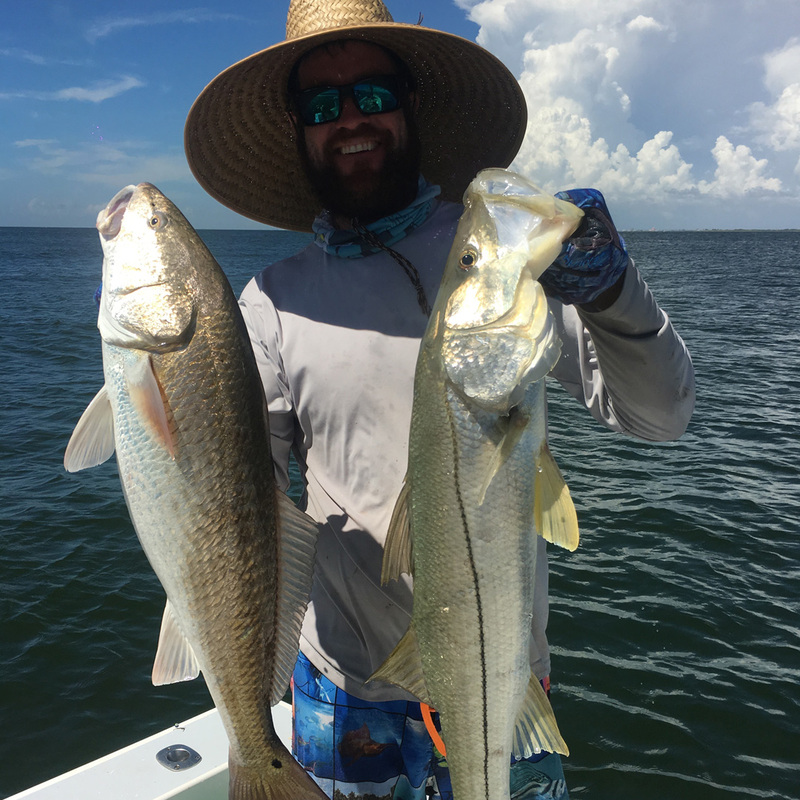 Feel free to reach out at 1 (941) 253-6512 or email me at jmsnooky@gmail.com and we will make plans! 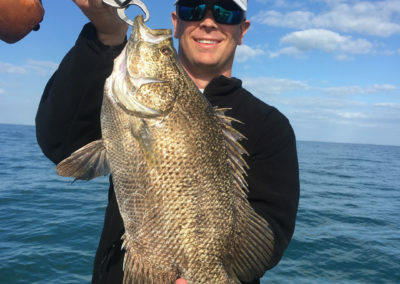 With the cooler temperatures the fish know winter is coming and they will be fattening up! 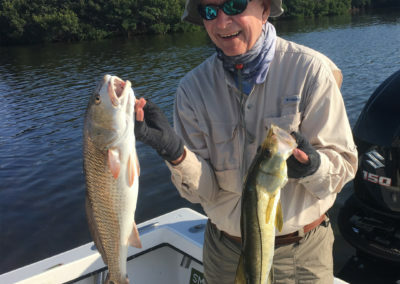 They will be moving towards their winter time hide outs. 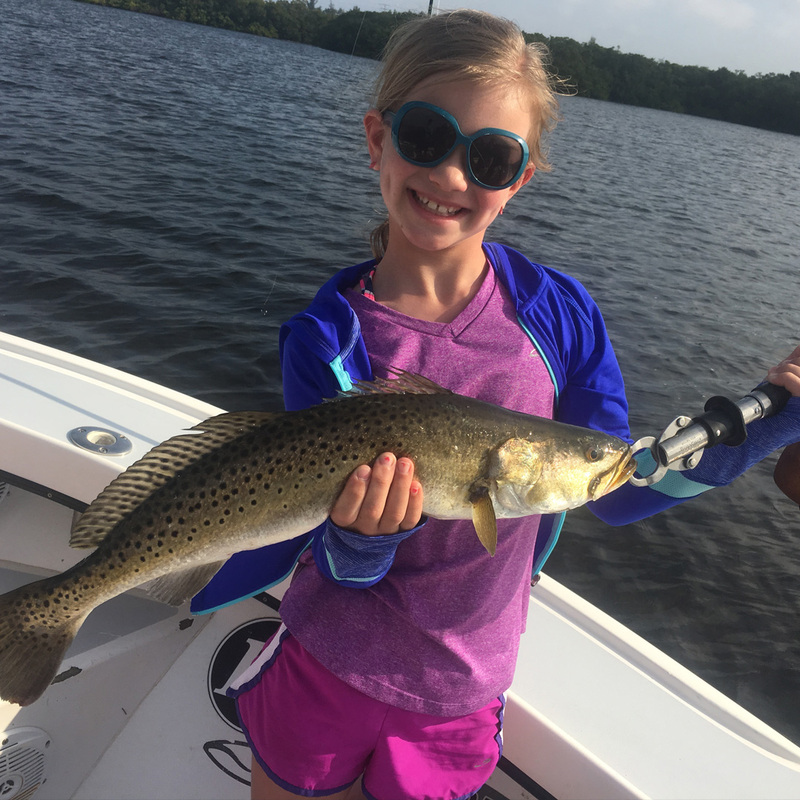 This is the “Transition time”! 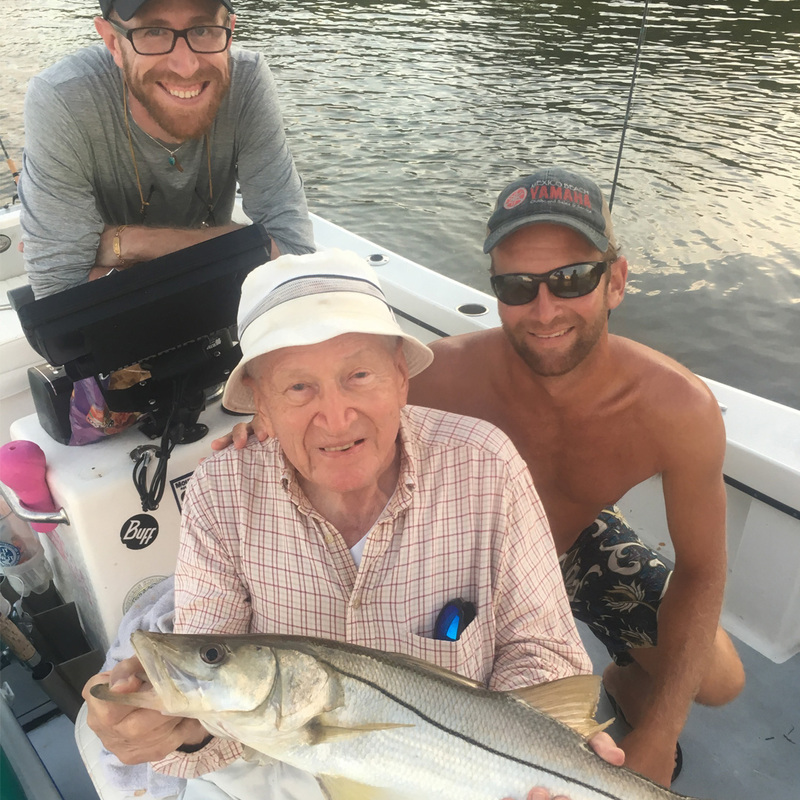 The Snook will be spread out from the beaches and make their way to the docks, flats, and the back country. 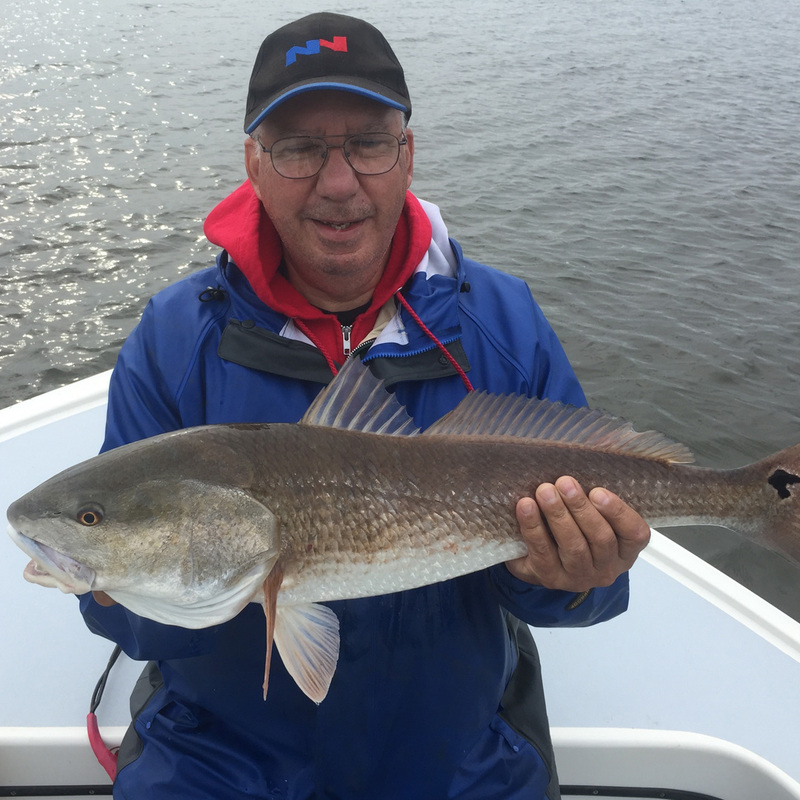 Fall is when I get on the big schools of the offshore breeder reds. 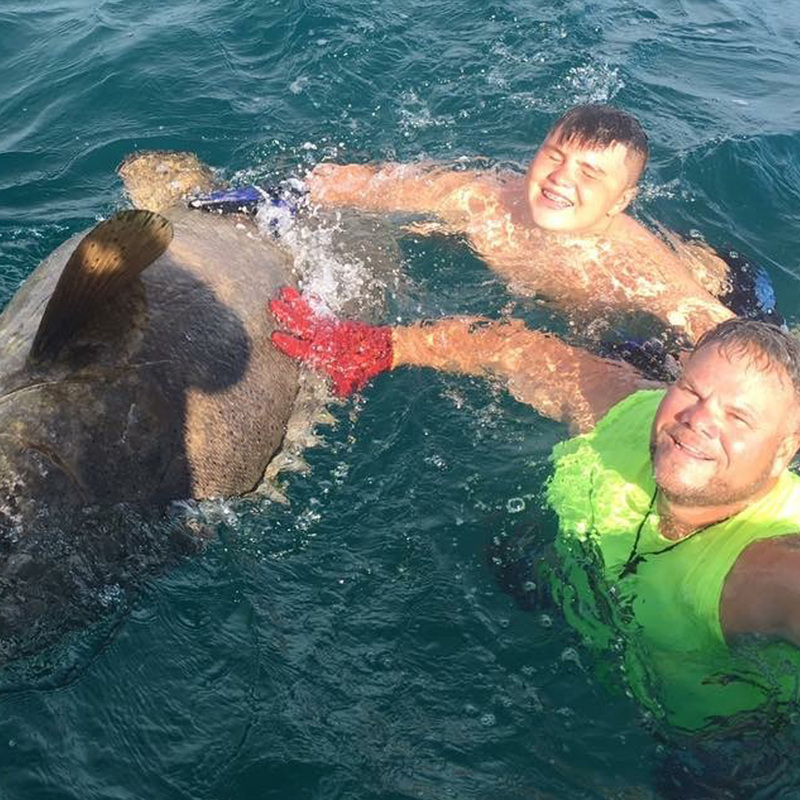 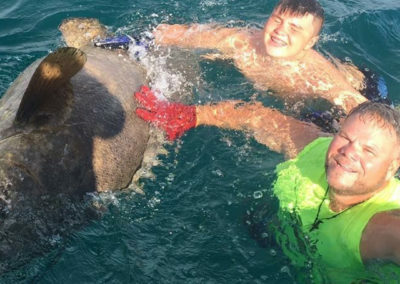 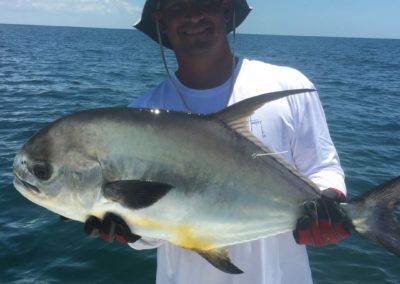 These fish can be 30 to 40 inches and cruising in knee deep water. 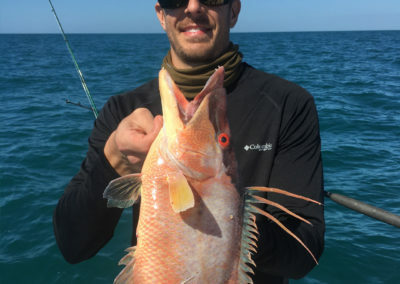 They will rip the lure out of each others mouth making for an amazing visual! 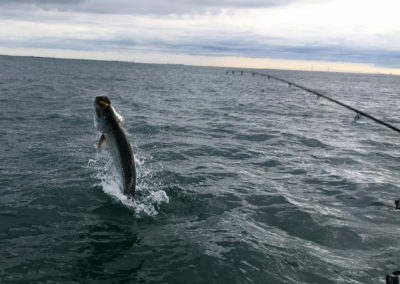 Big trout will be moving off the beach and going up into the bay. 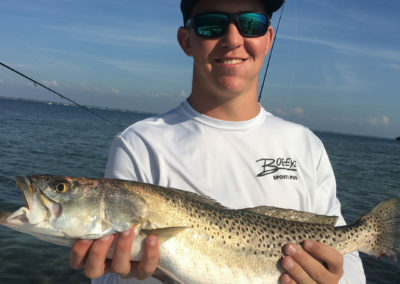 These “gator” trout want to eat a bigger bait such as finger mullet. 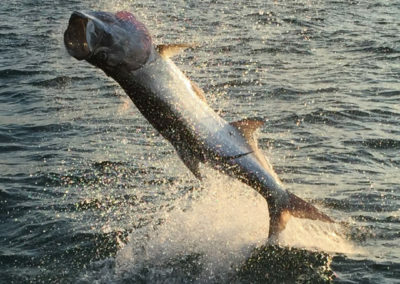 Because of this they will explode on a top water lure. 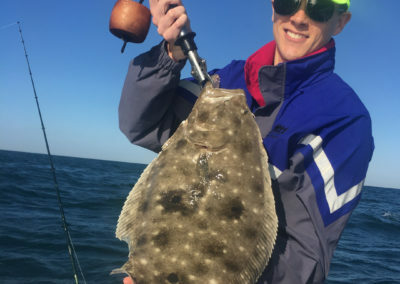 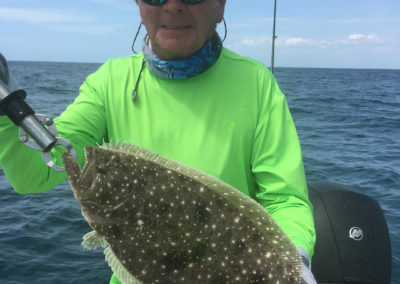 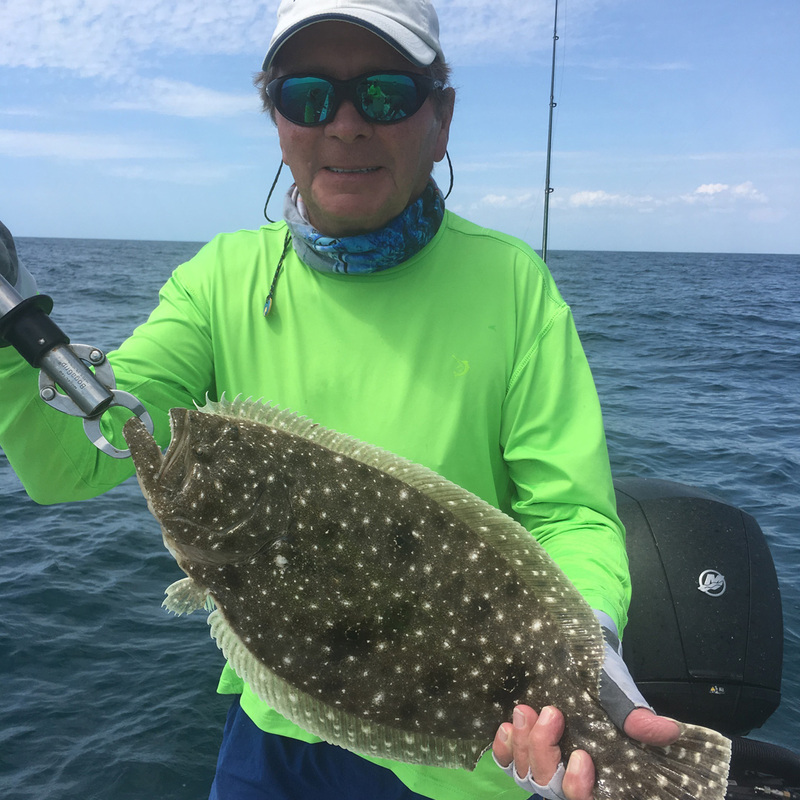 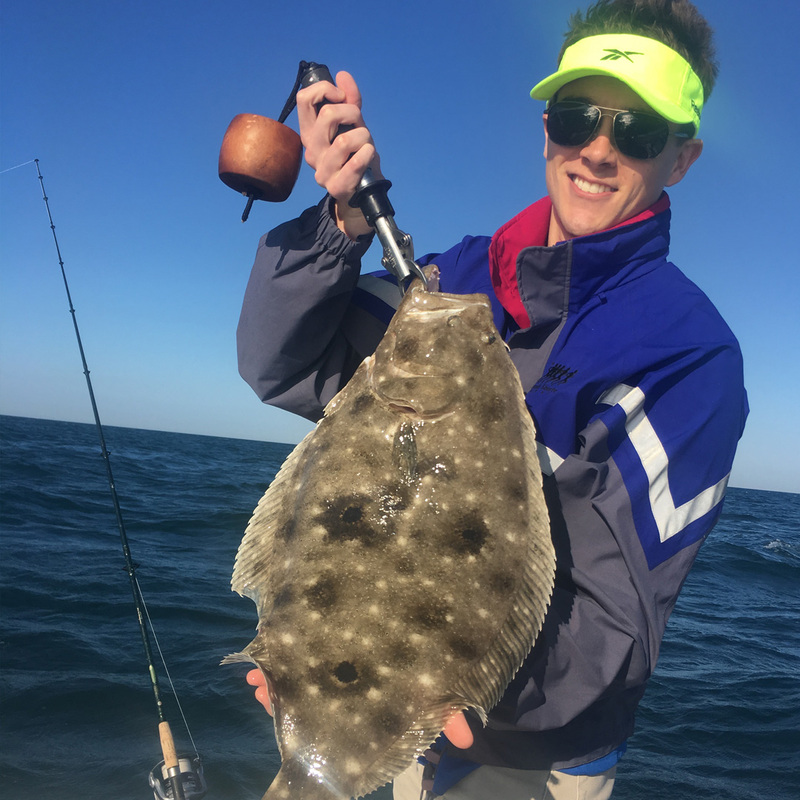 Fall is the best time to target flounder. 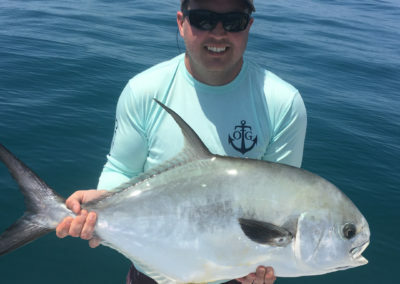 I do very well bouncing jigs in pot holes, docks, and areas close to a pass. 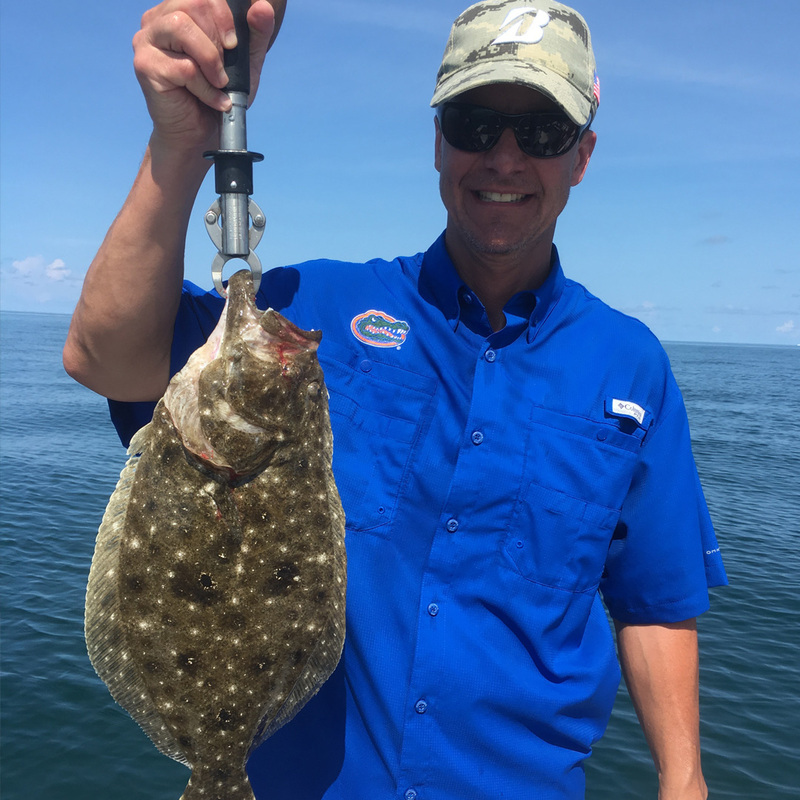 Flounder is always a nice tasty bonus! 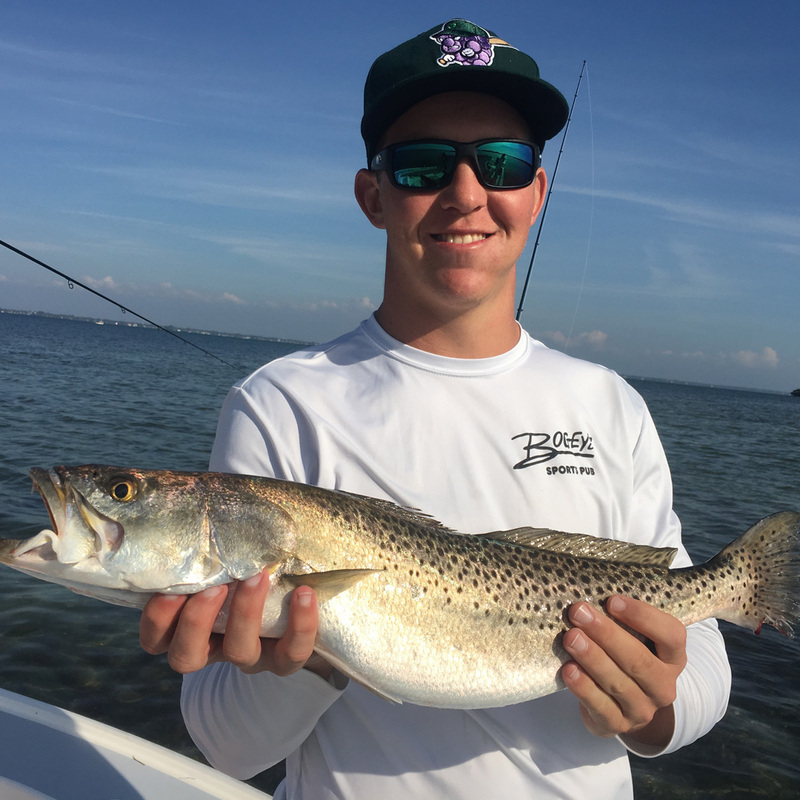 The bait fish will start making their way South. 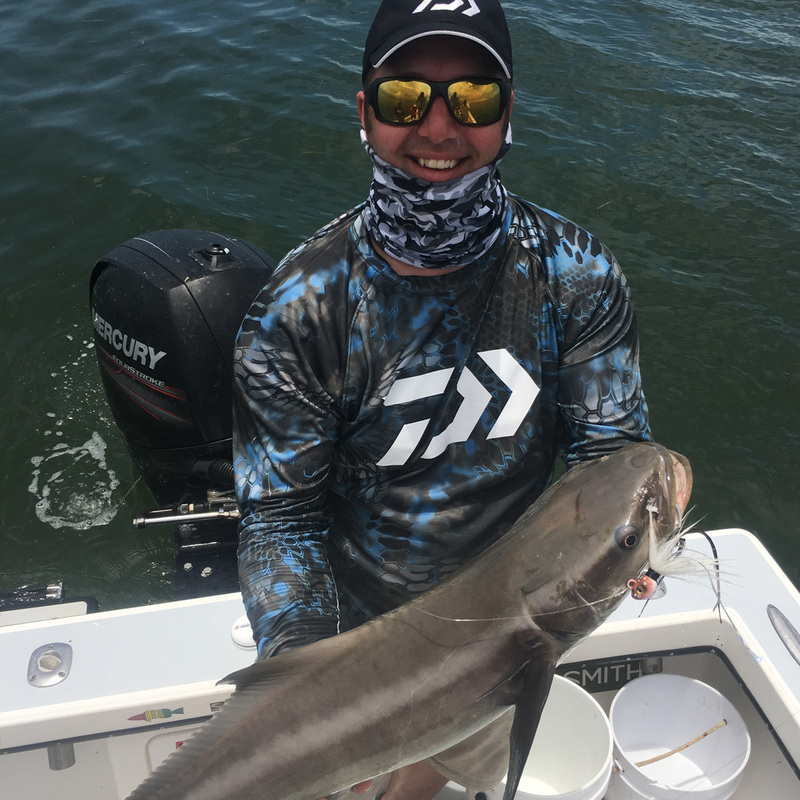 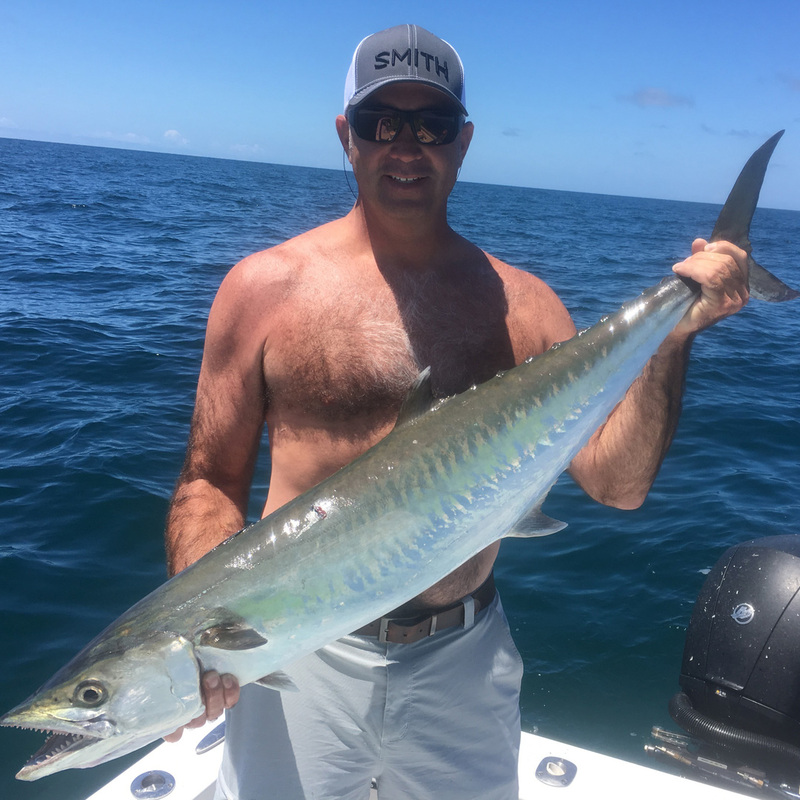 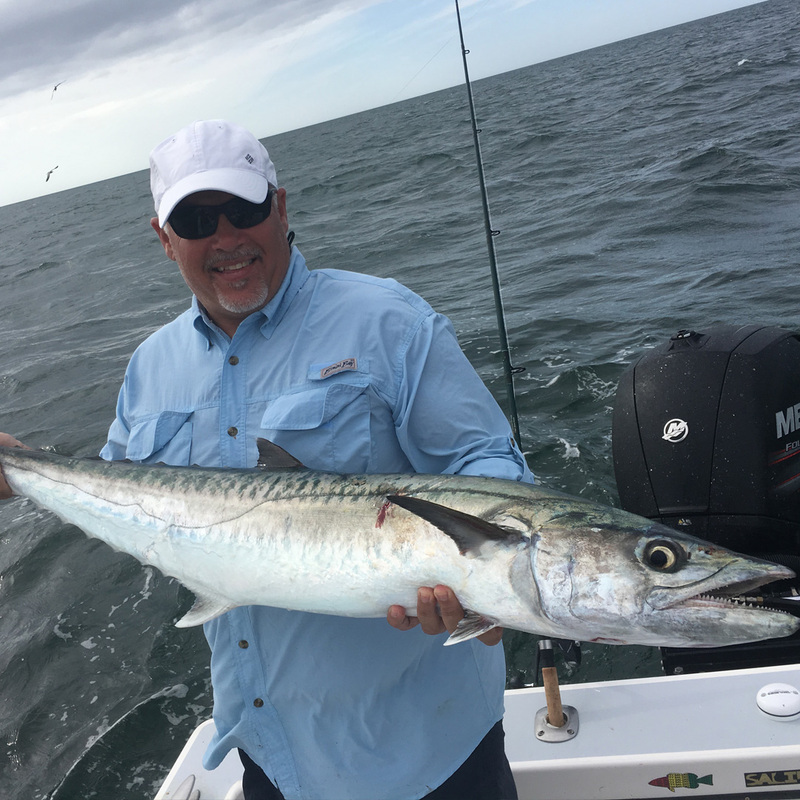 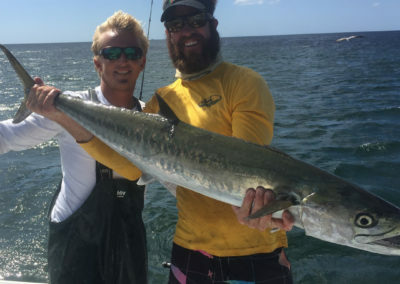 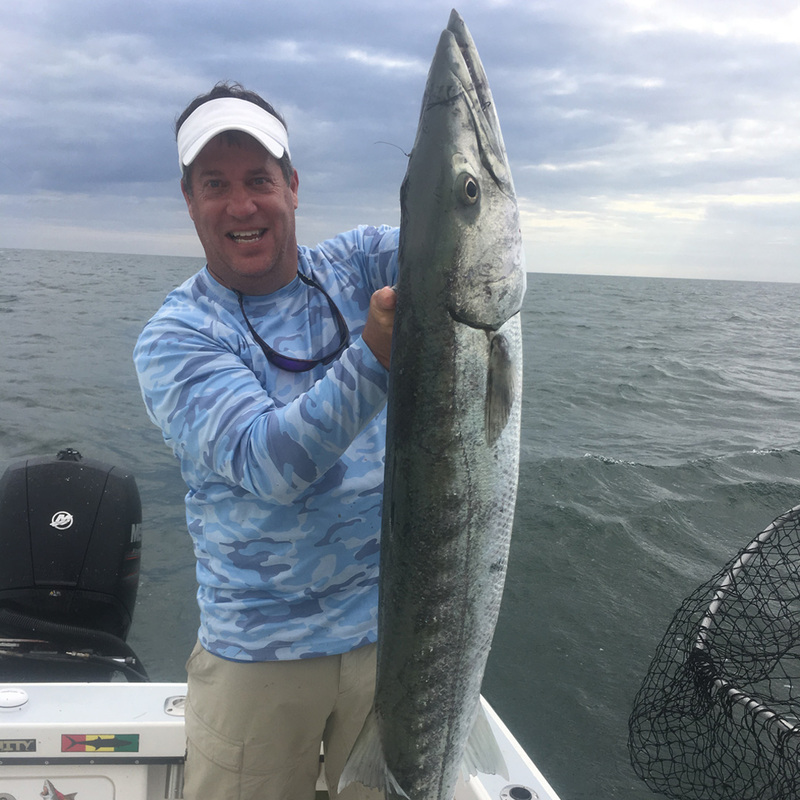 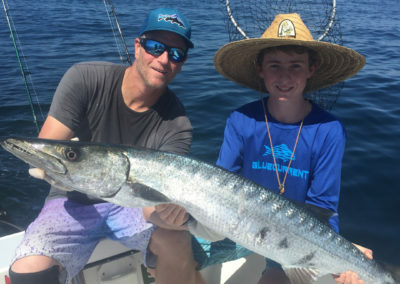 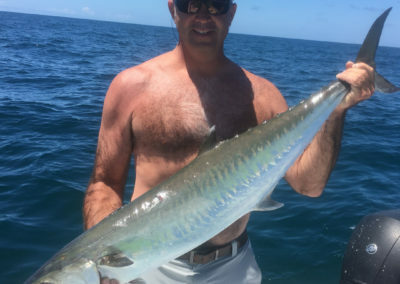 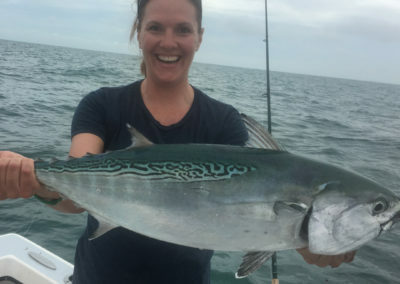 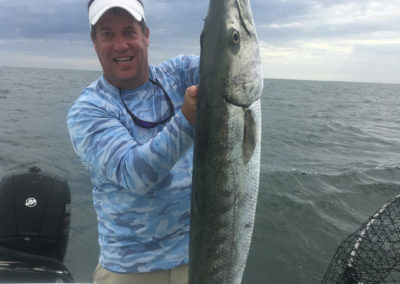 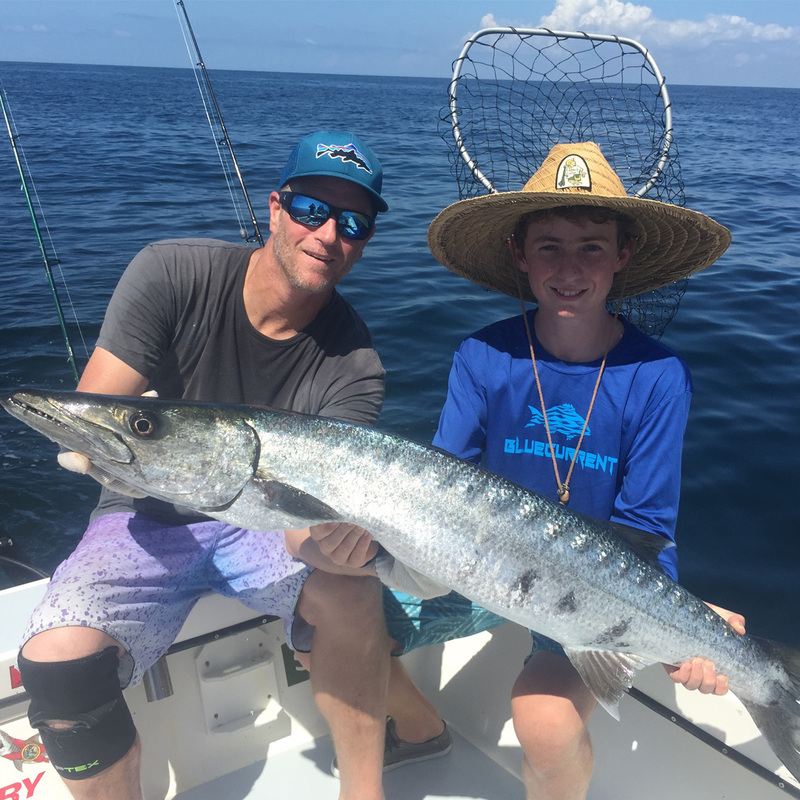 This can equal a full on feeding frenzy of Kingfish, Tarpon, Mackerel, Bonita, Bluefish, bull Reds, Cobia and sharks all up and down the beach! 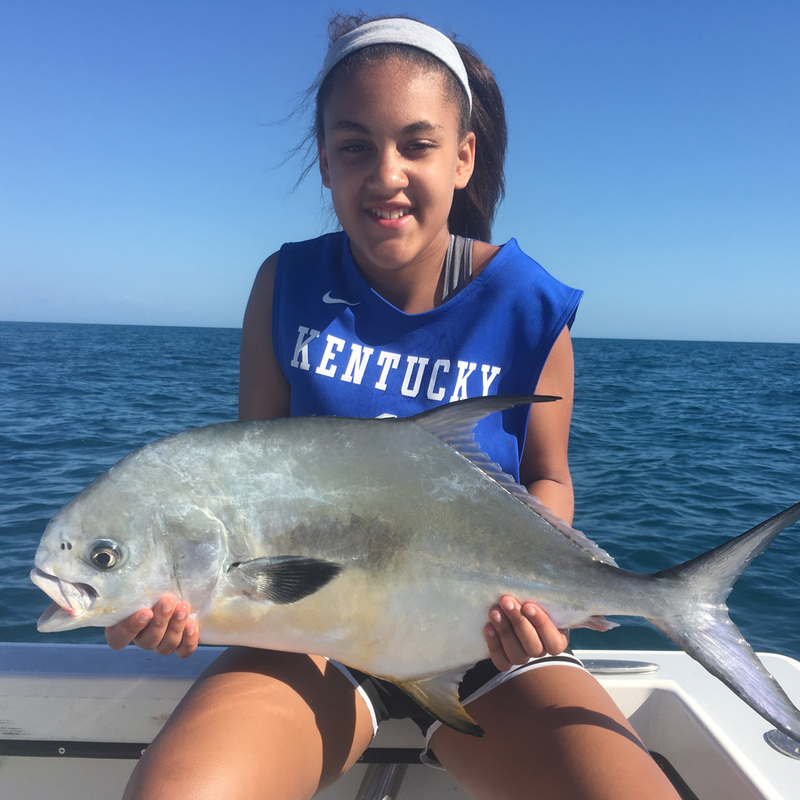 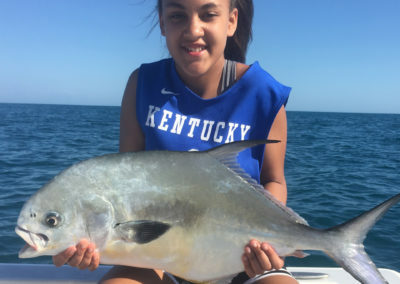 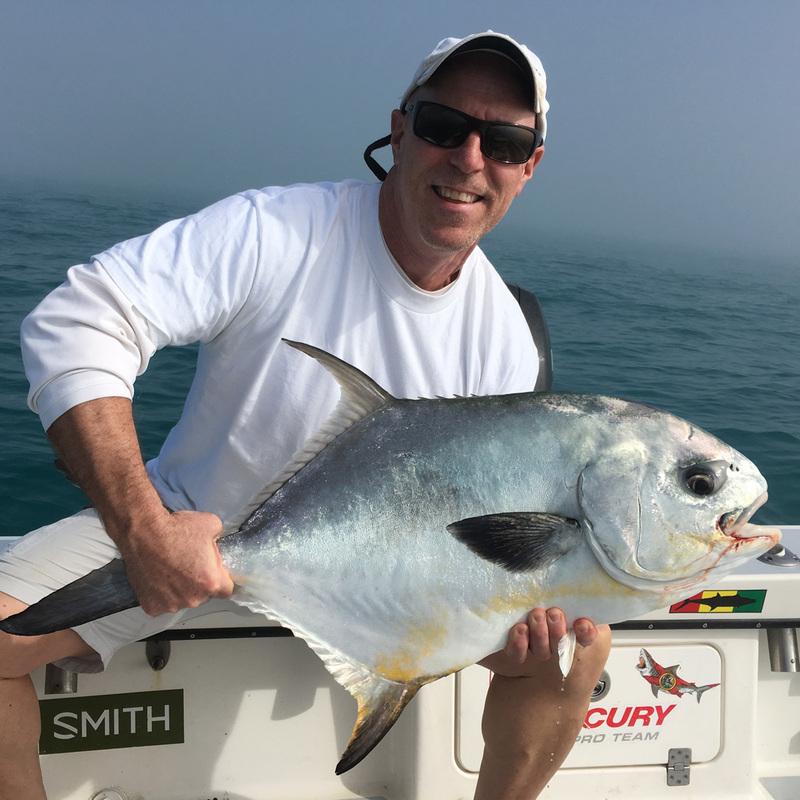 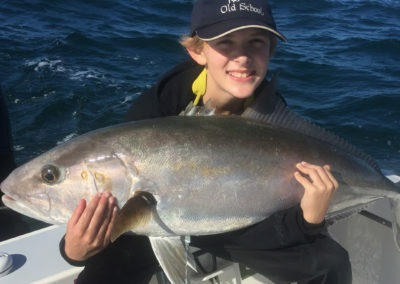 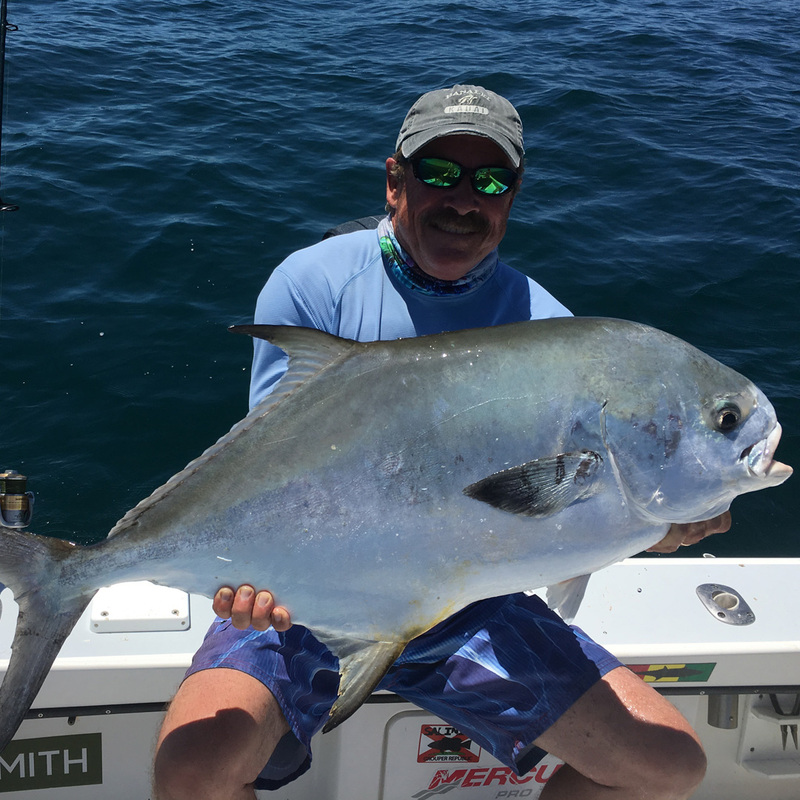 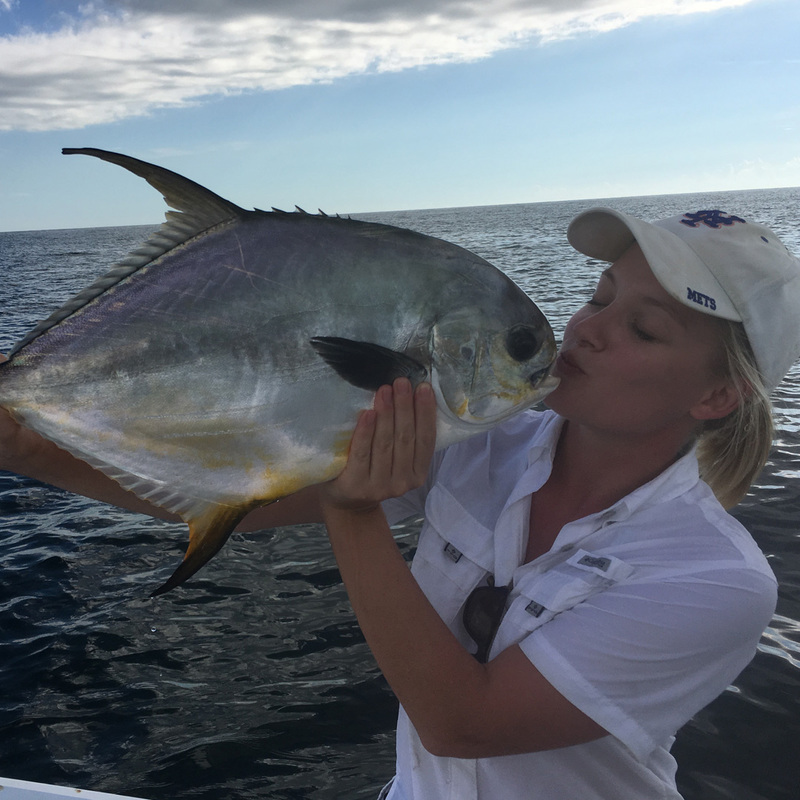 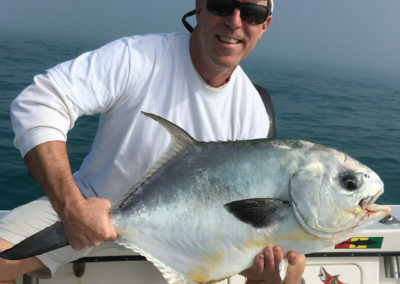 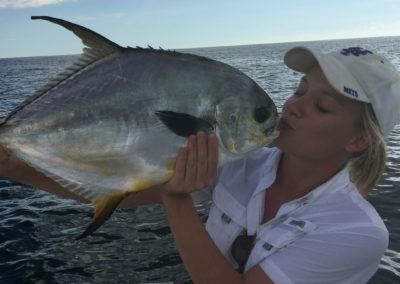 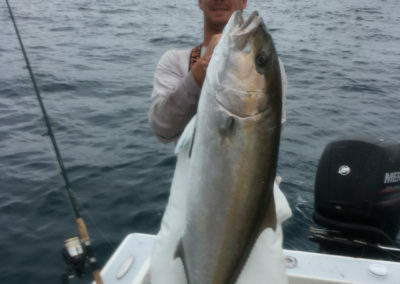 Going a bit further out, Fall time is ideal for hooking up with Permit and Tuna. 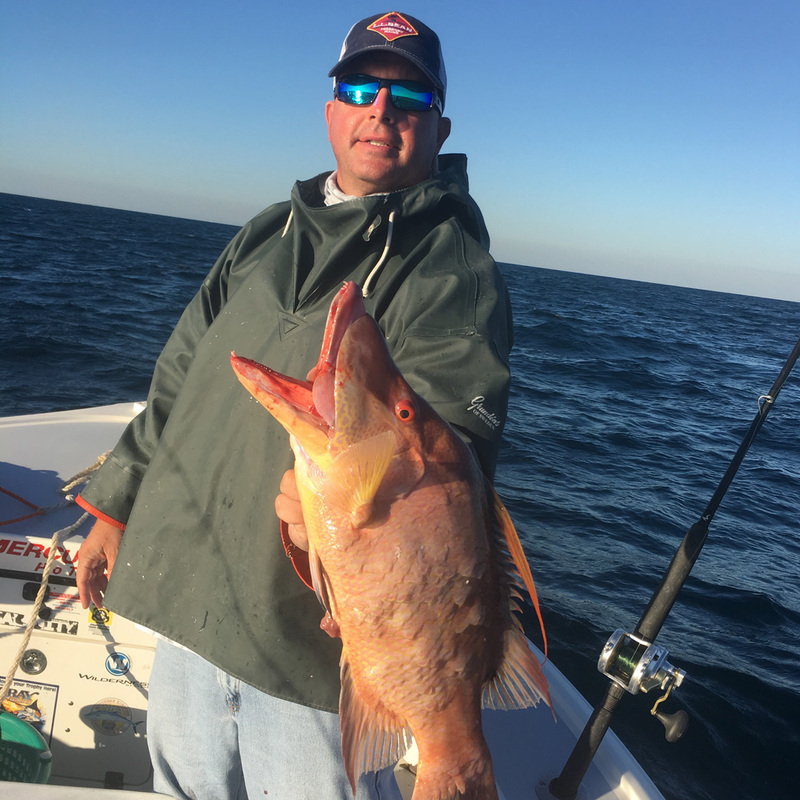 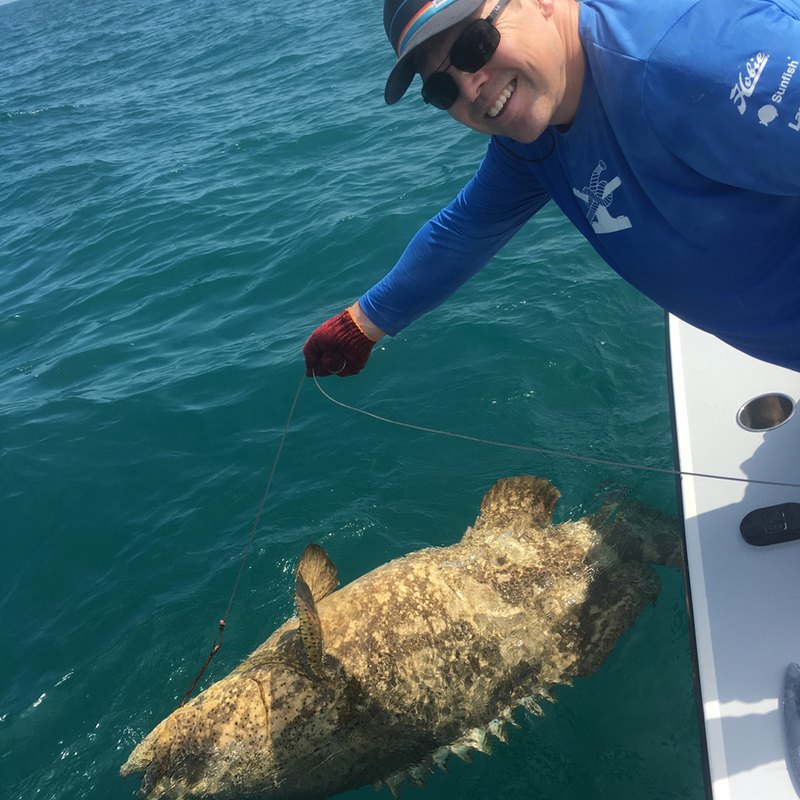 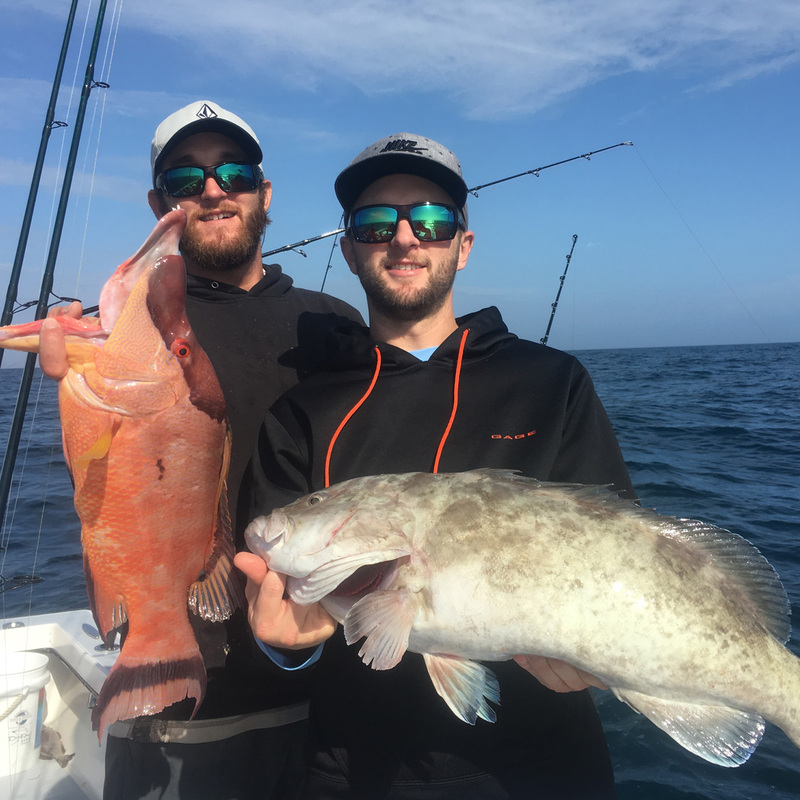 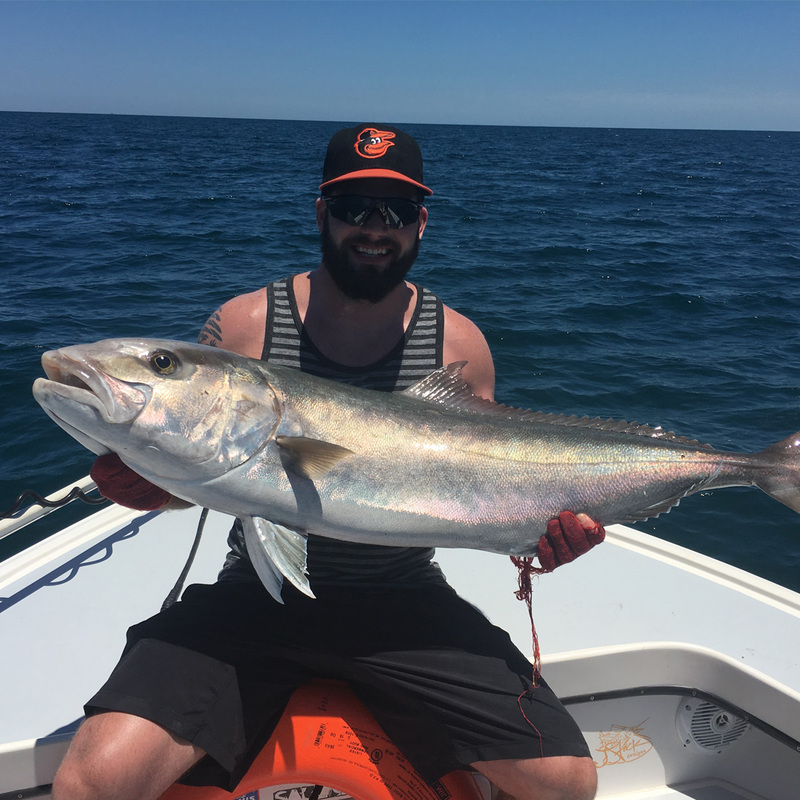 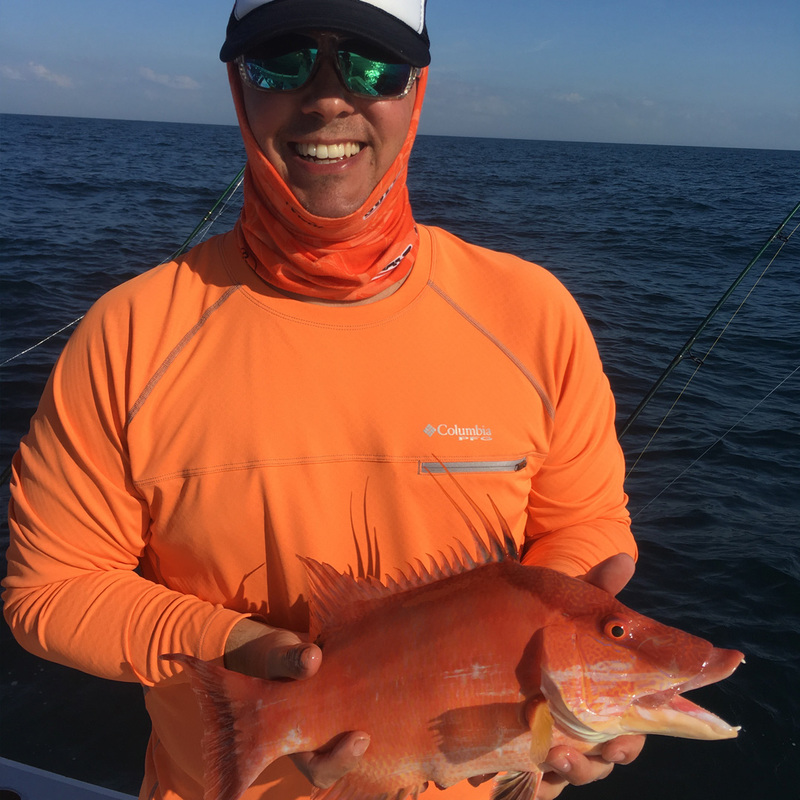 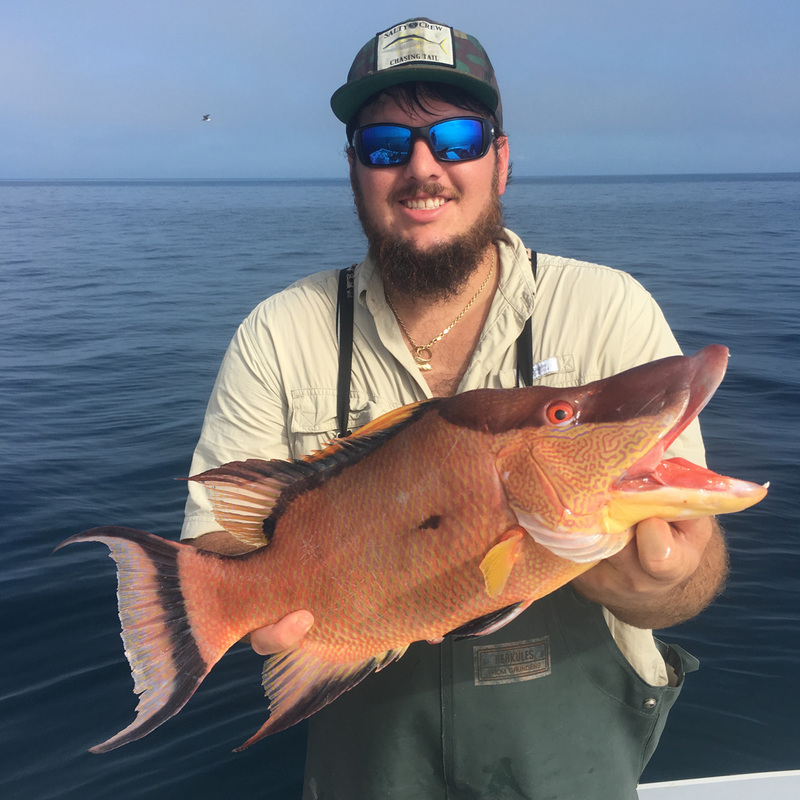 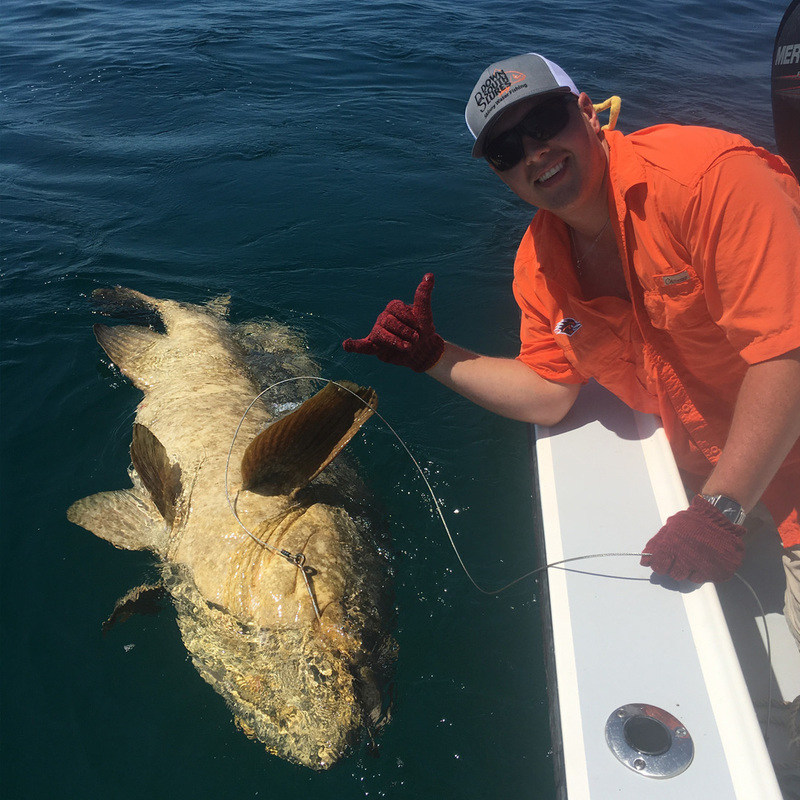 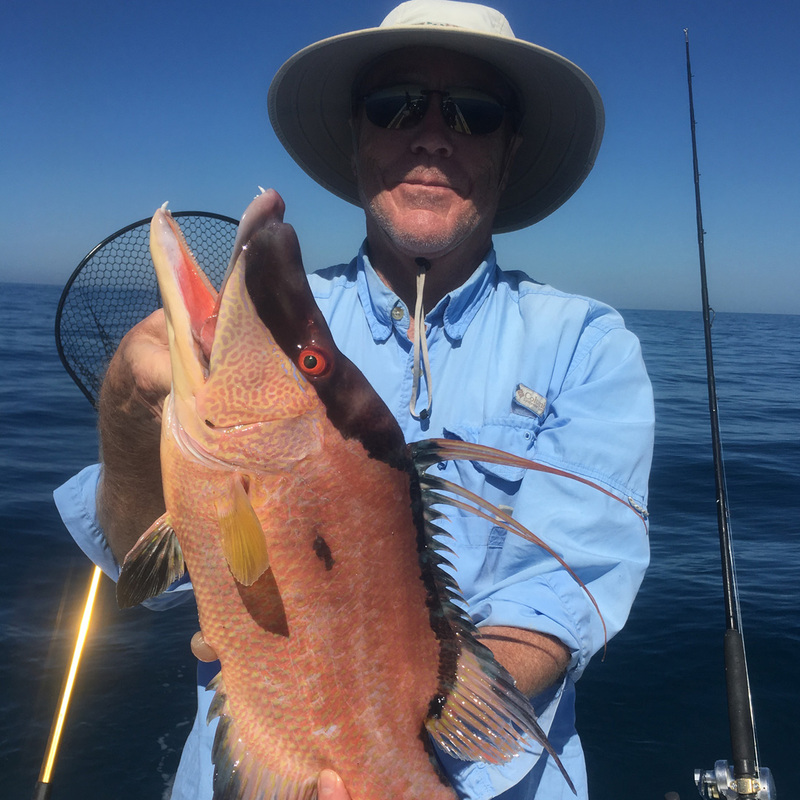 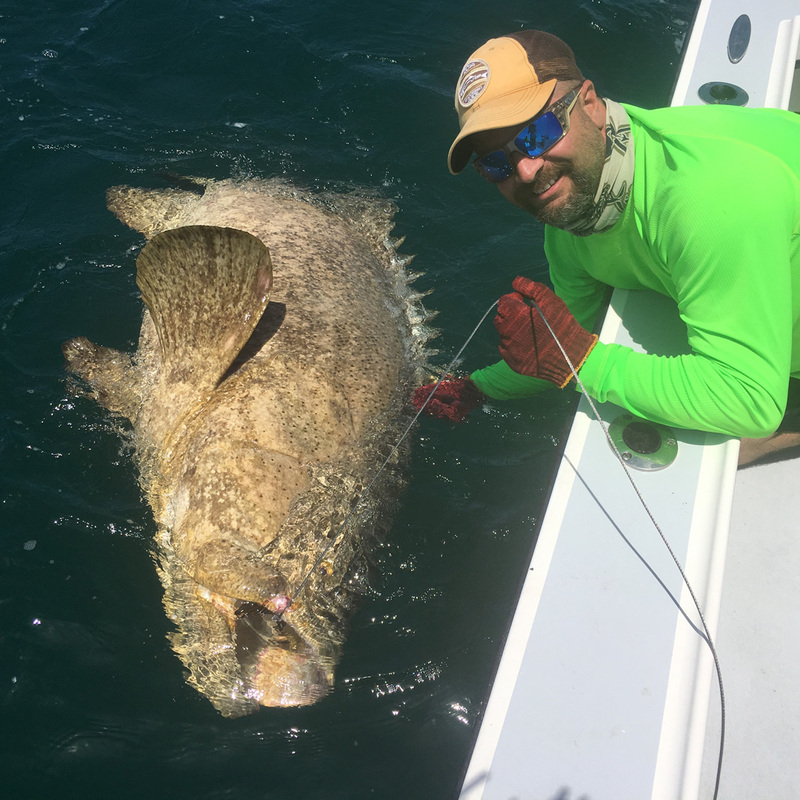 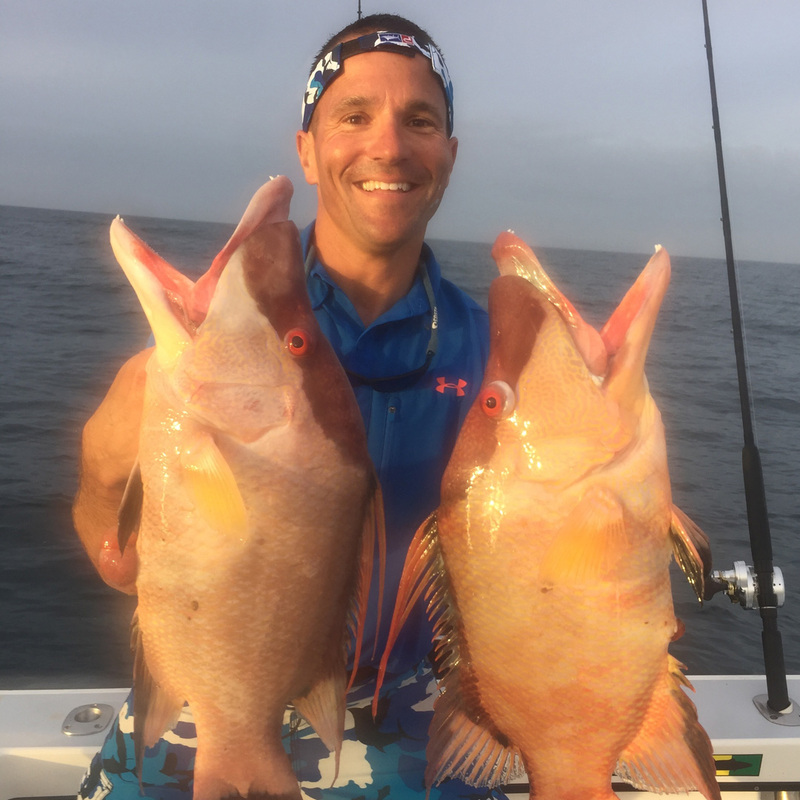 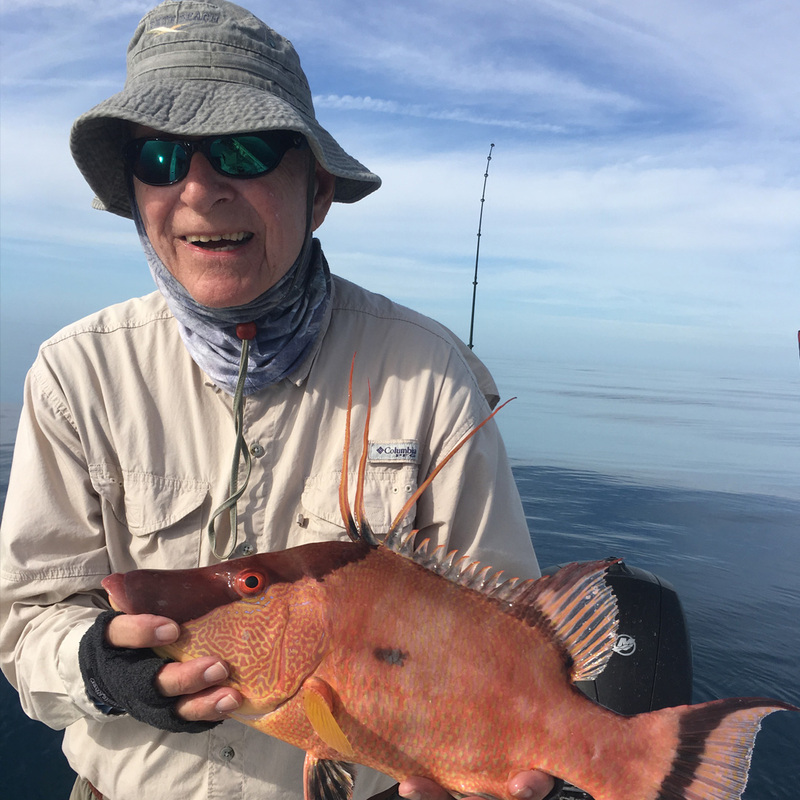 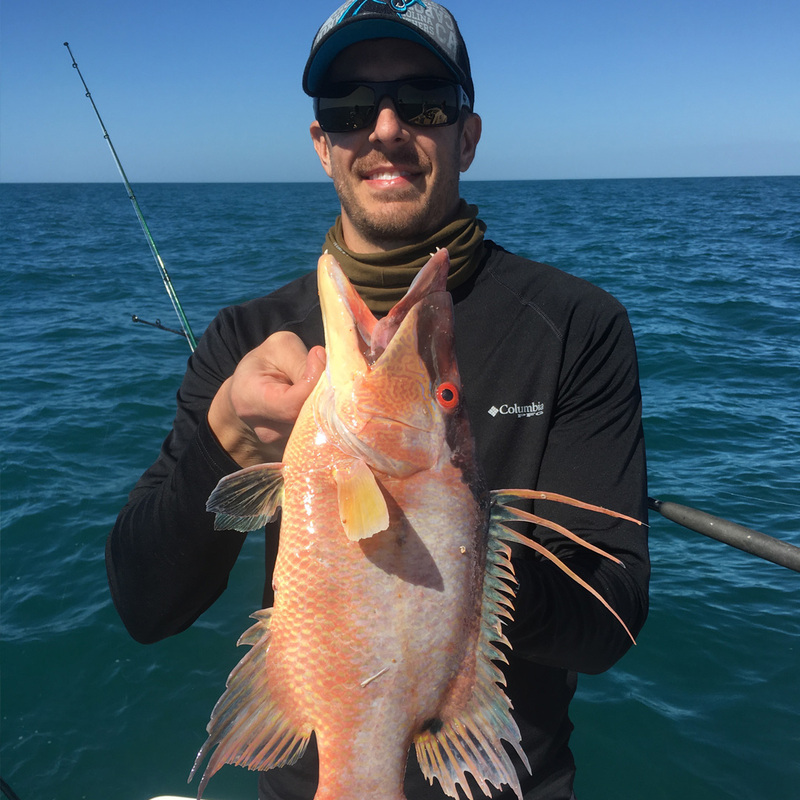 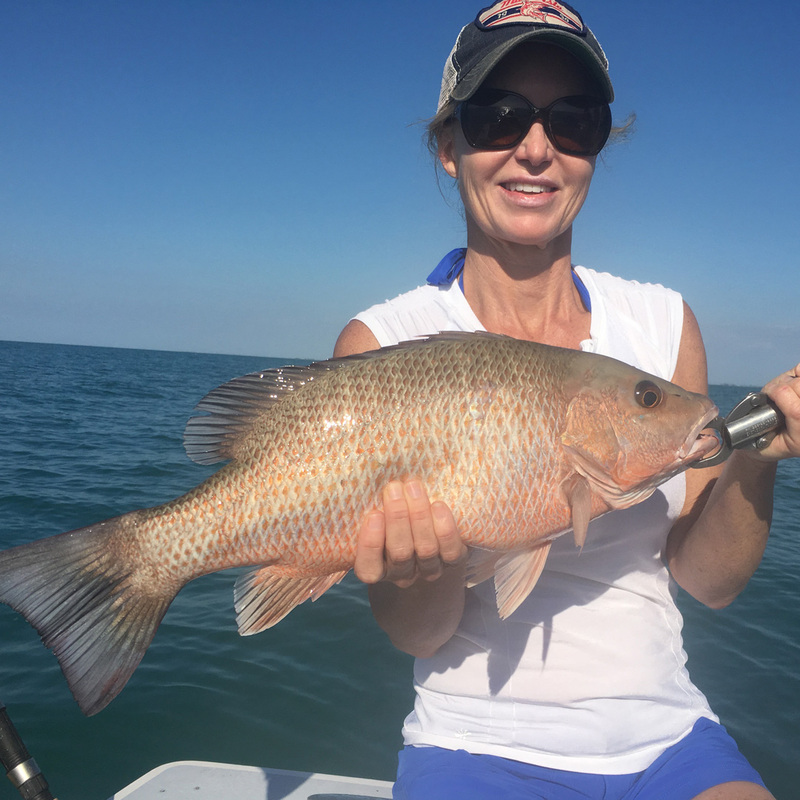 Capt Jason Stock specializes in Rod/Reel Hogfish fishing as well, a species that until recently was only caught by spearfisherman. 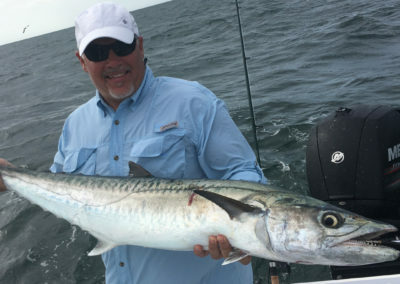 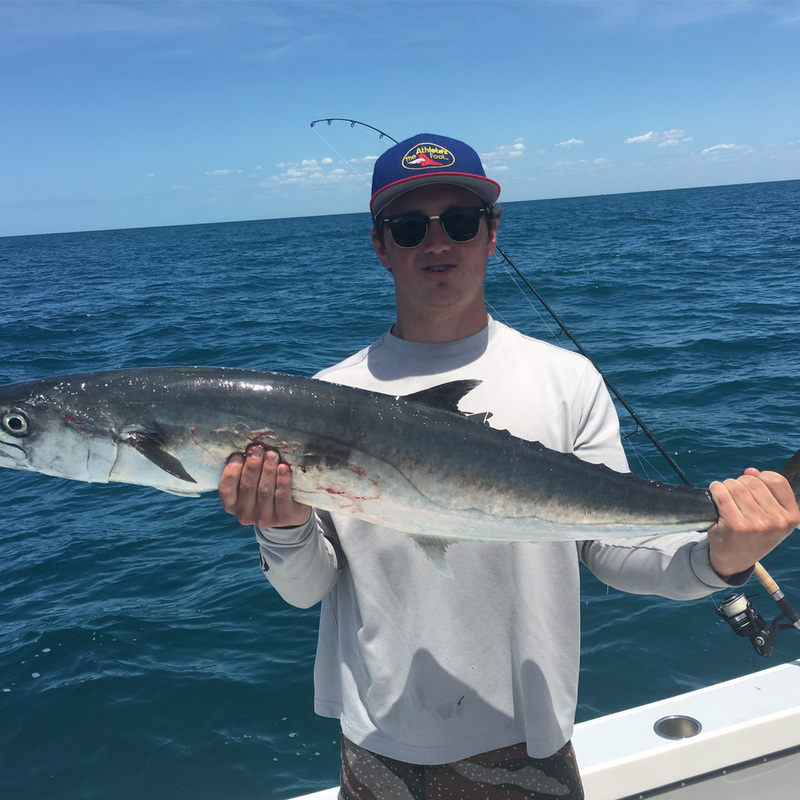 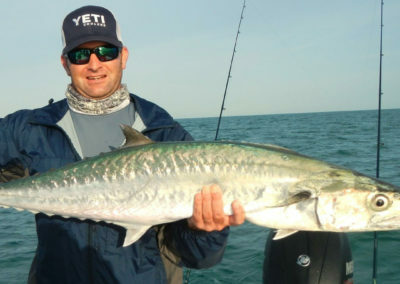 As every fall, the Kingfish bite will be going strong this time of year. 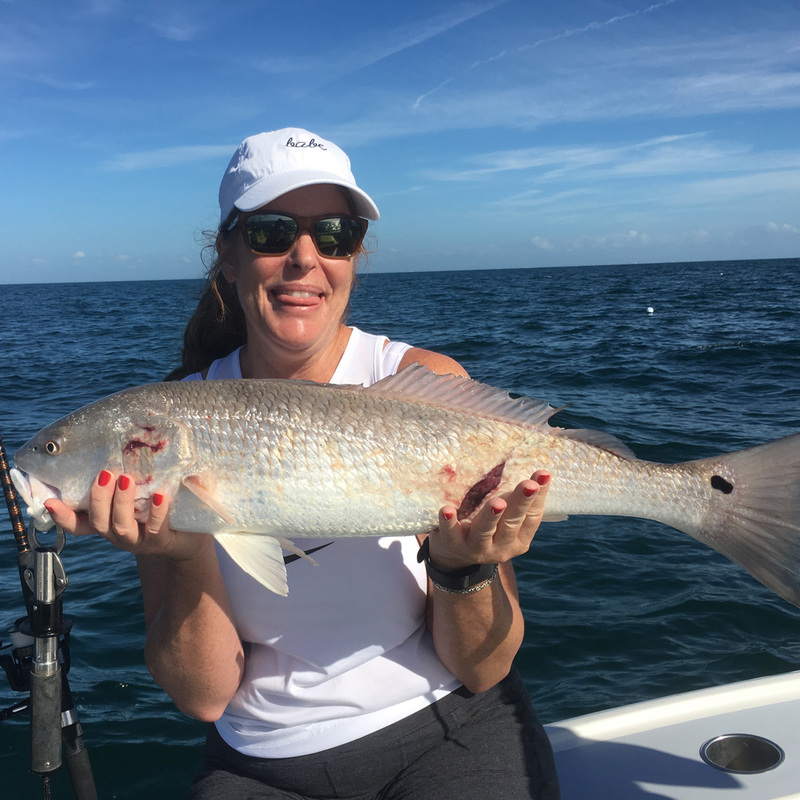 For a variety of different options, give my wife Heather a call or text at 1 (941) 253-6512 or email me at jmsnooky@gmail.com. 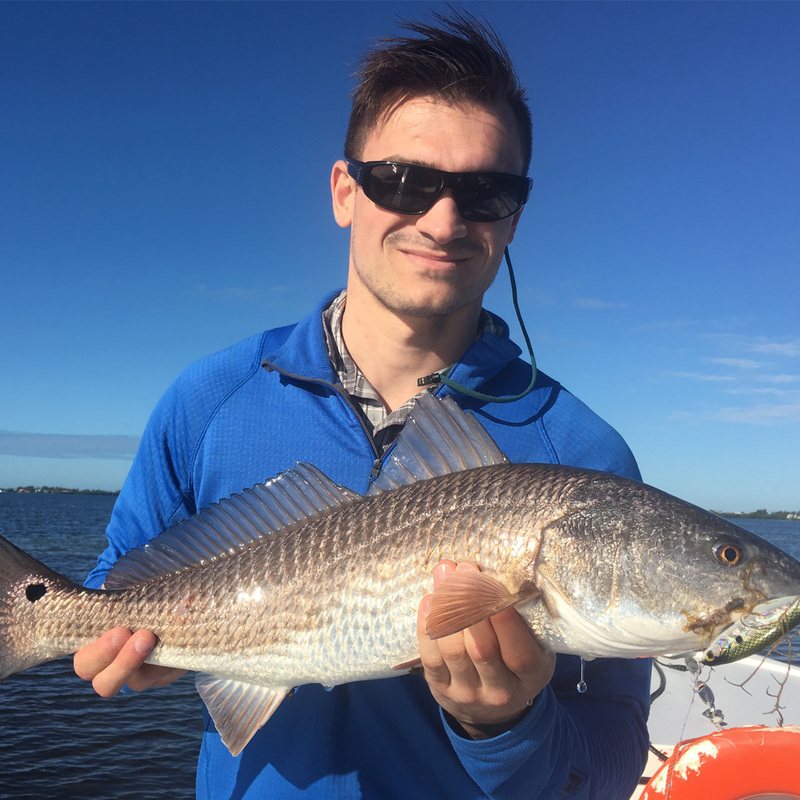 Look forward to hearing from you! 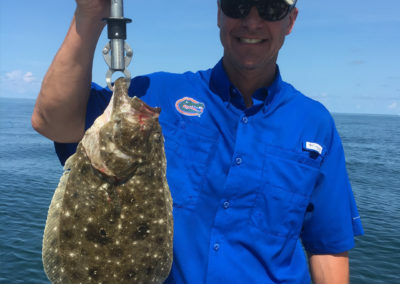 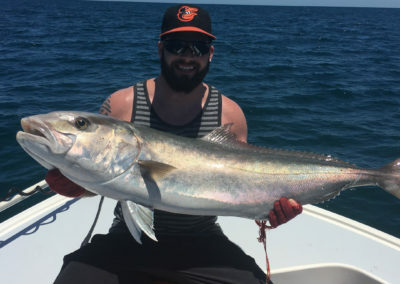 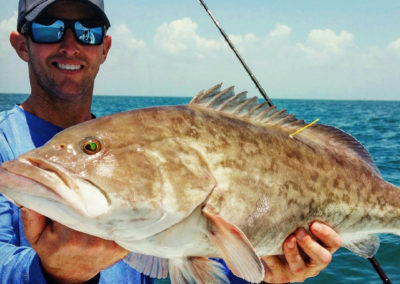 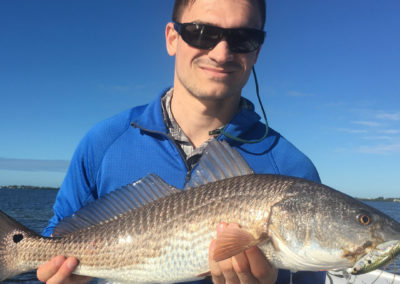 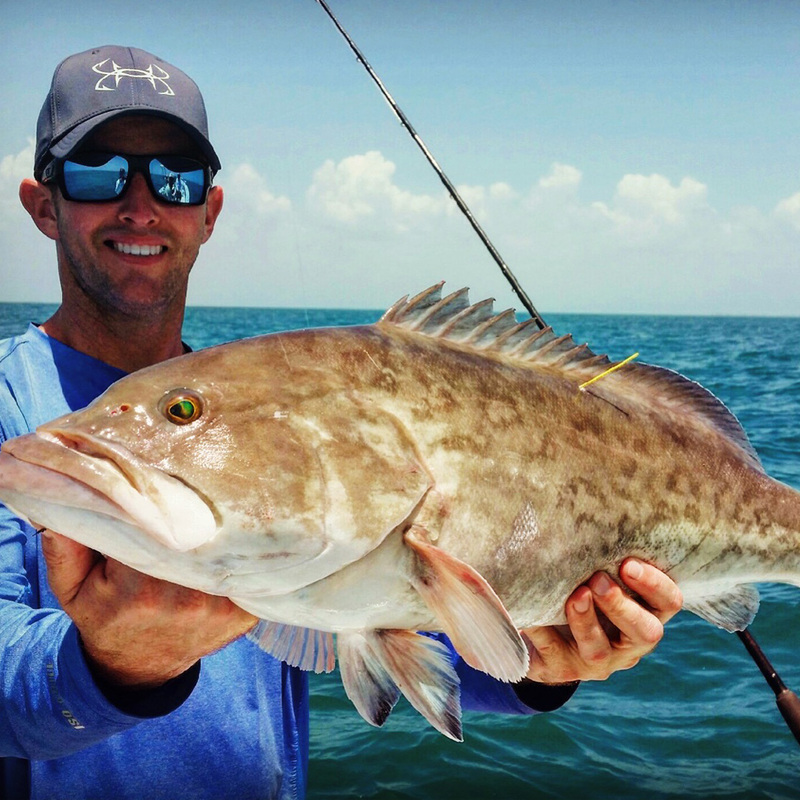 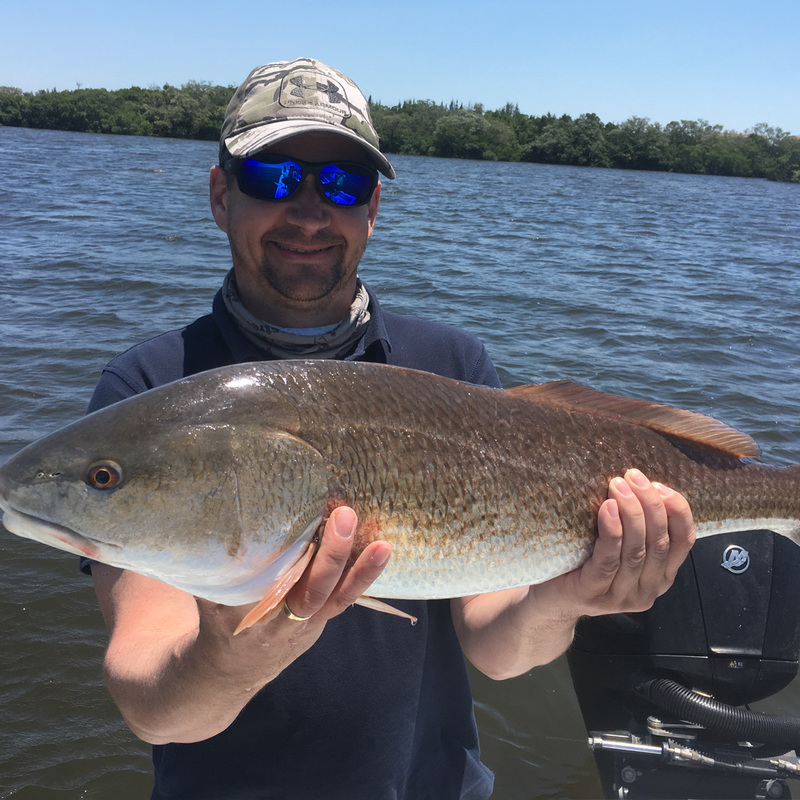 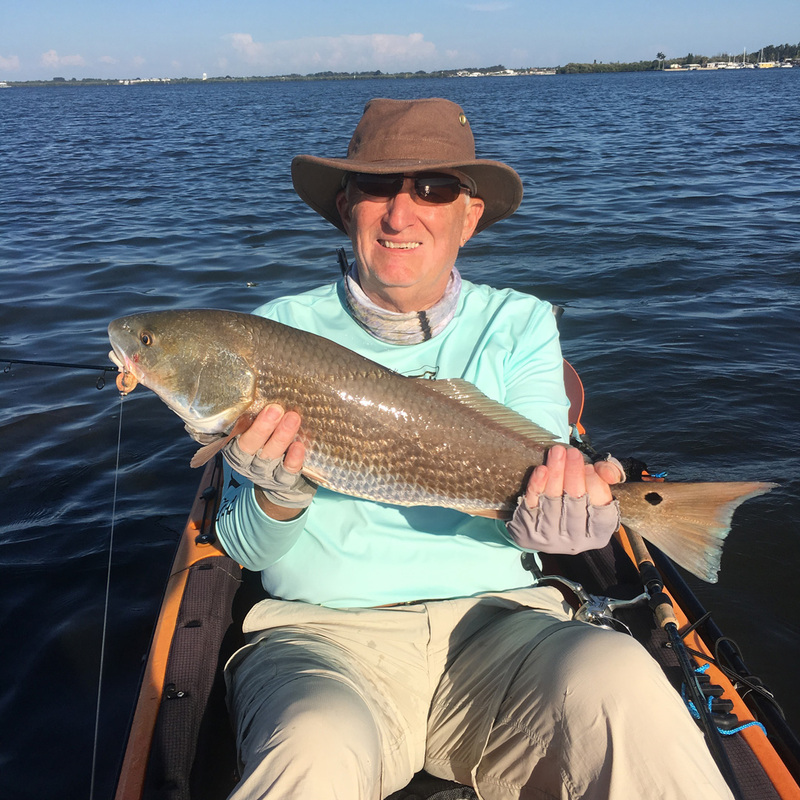 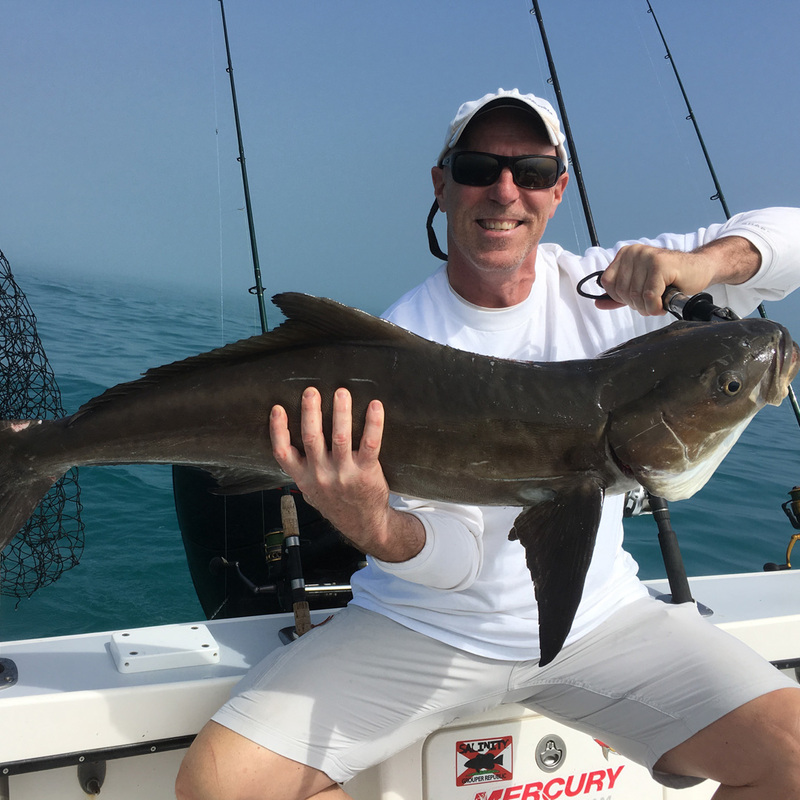 With the versatility of the 26′ Yellowfin, Winter is a great time of year to pursue the Flounder, Redfish, Snook, and Trout bite inshore. 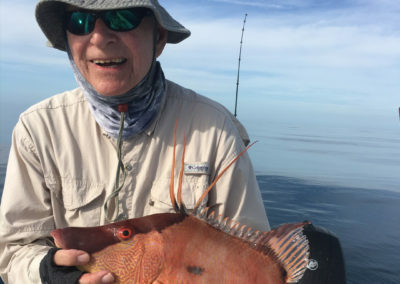 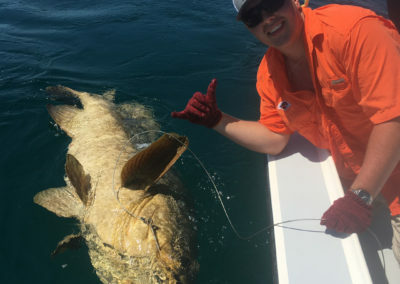 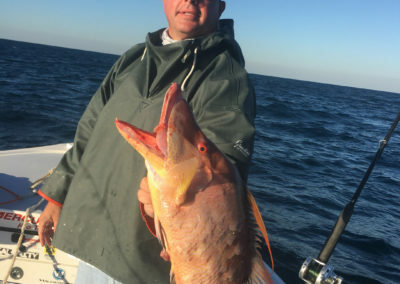 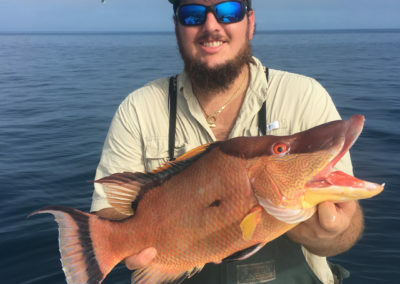 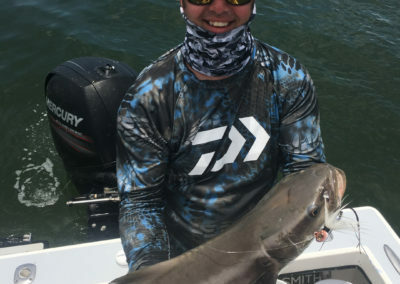 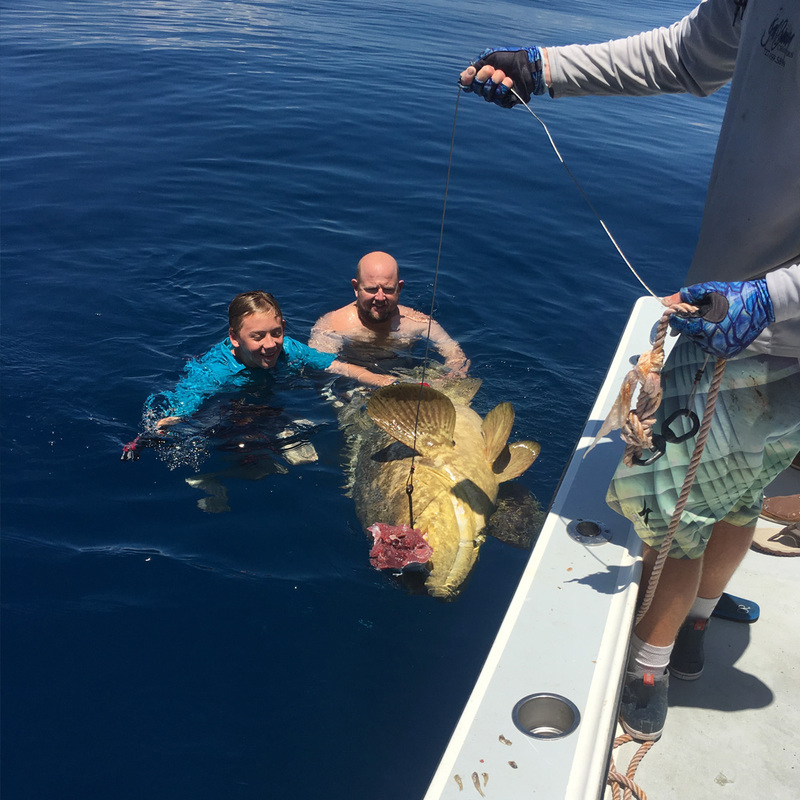 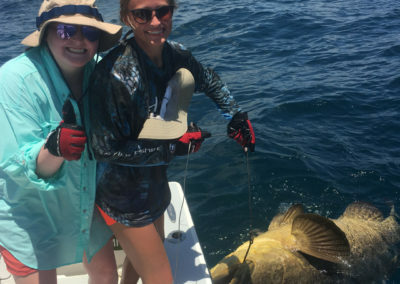 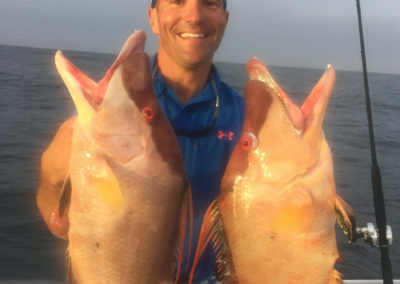 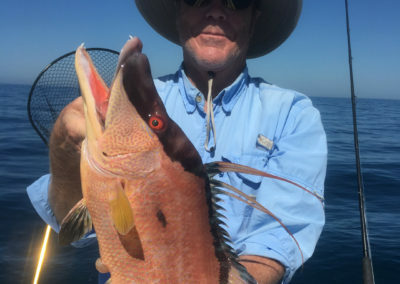 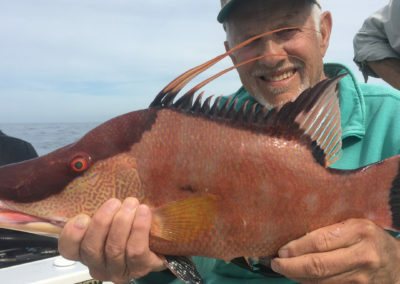 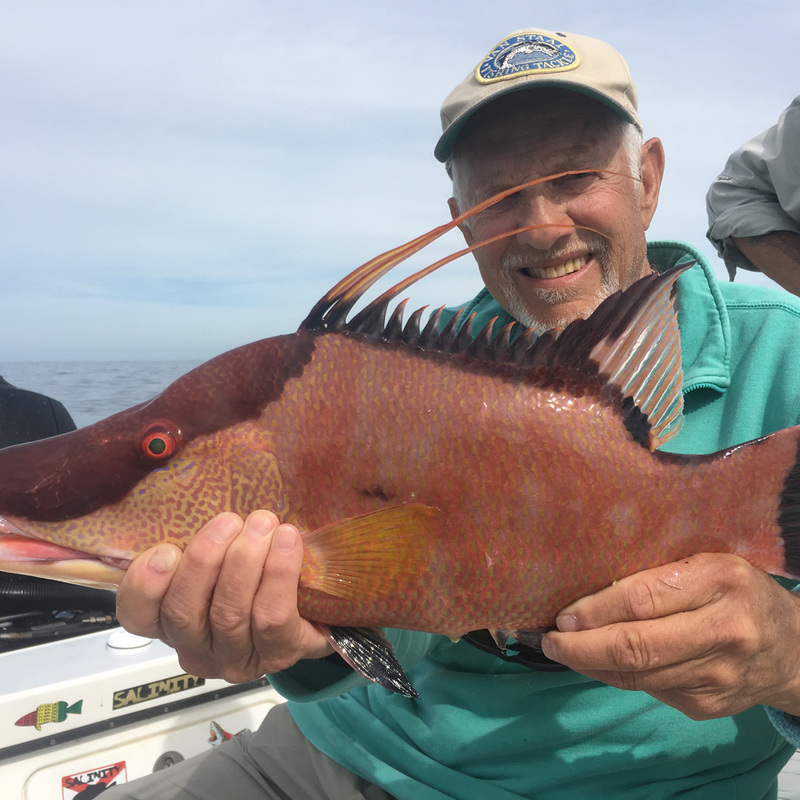 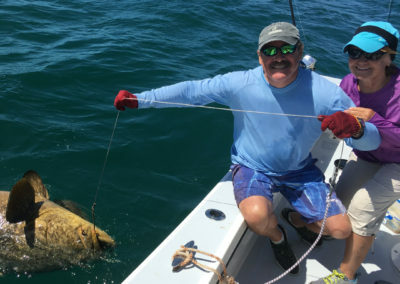 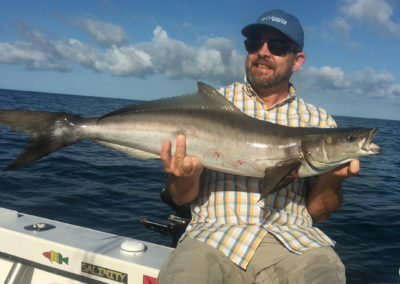 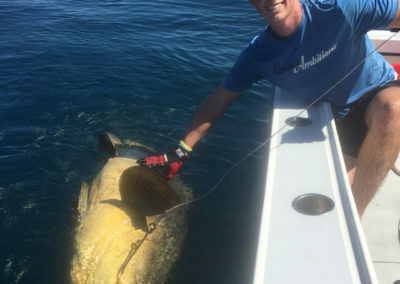 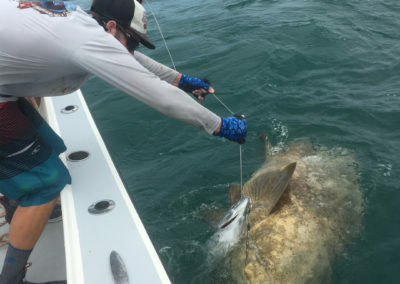 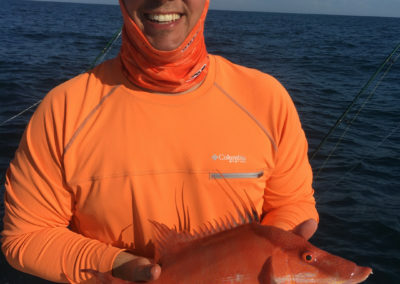 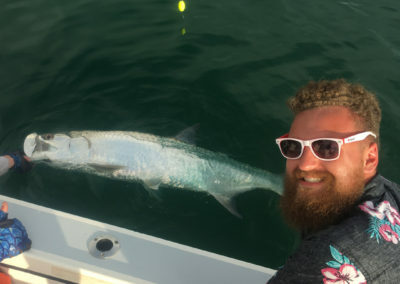 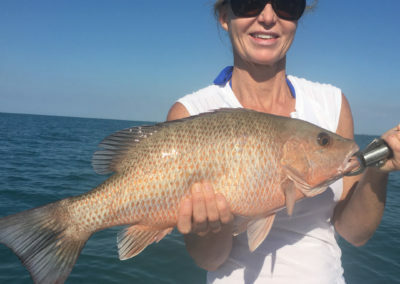 Going a little further out, the bite should still be strong for Hogfish, Tuna, Mangroves, and Goliaths. 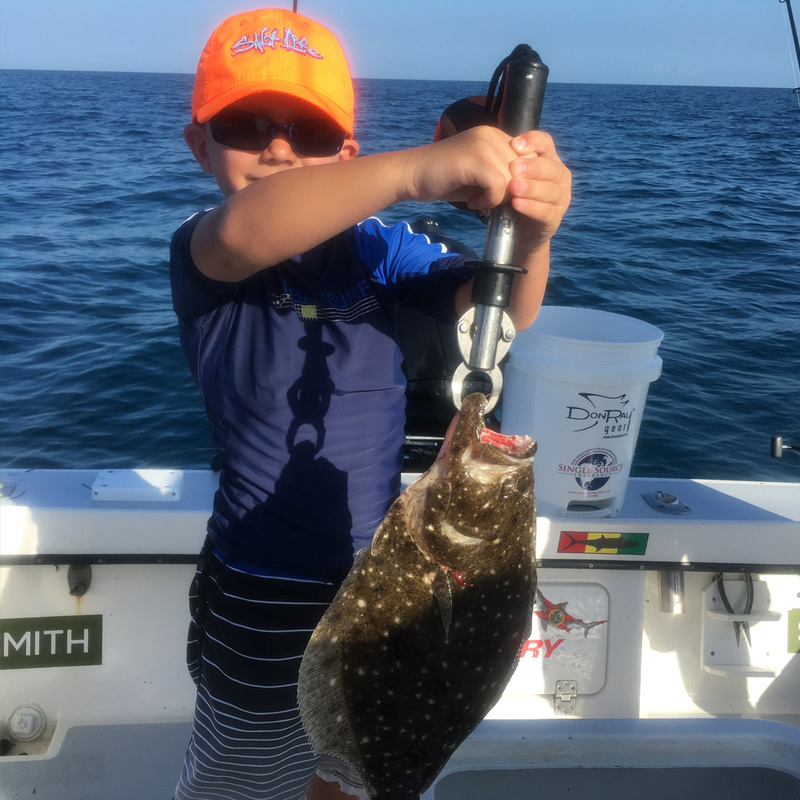 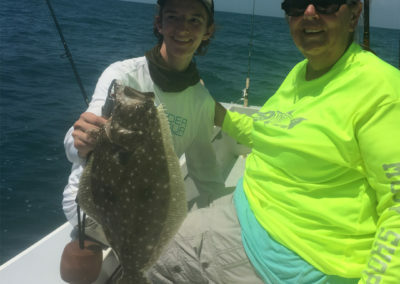 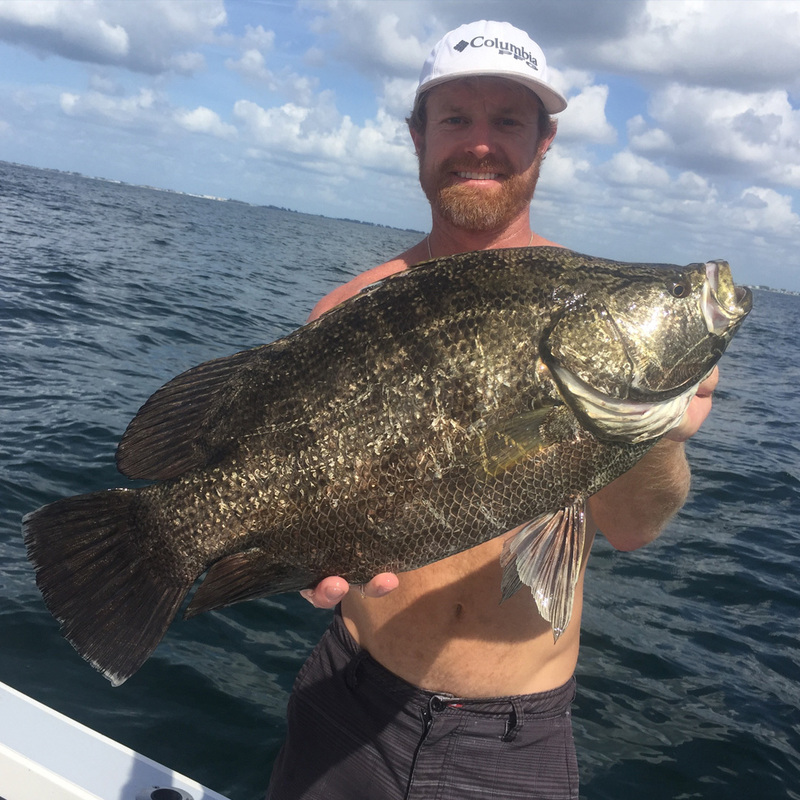 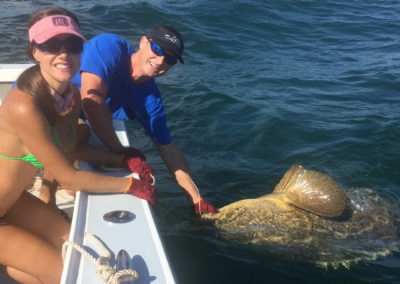 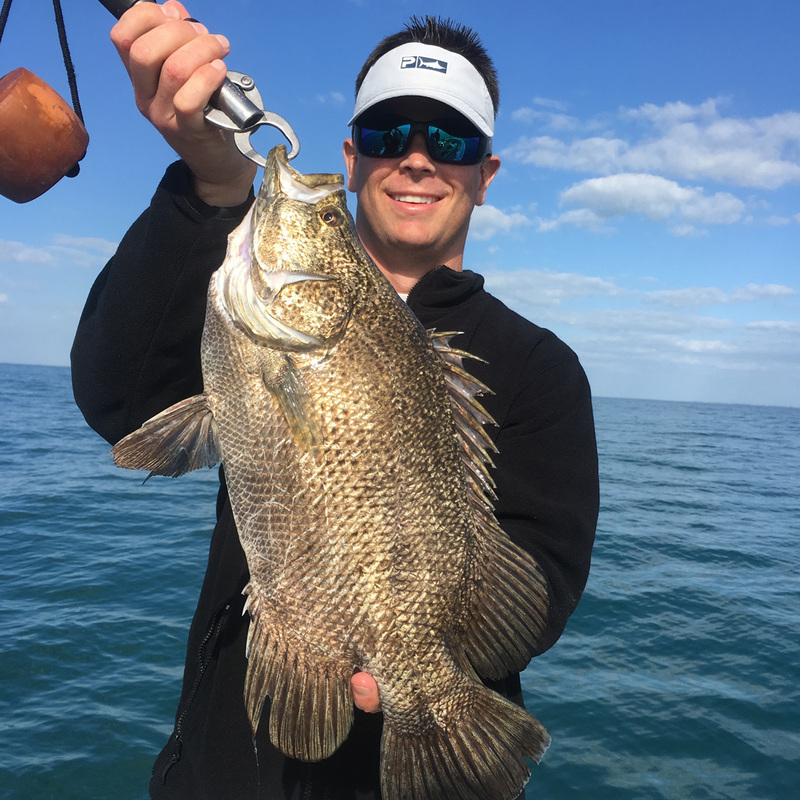 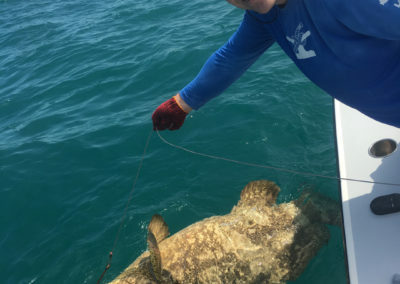 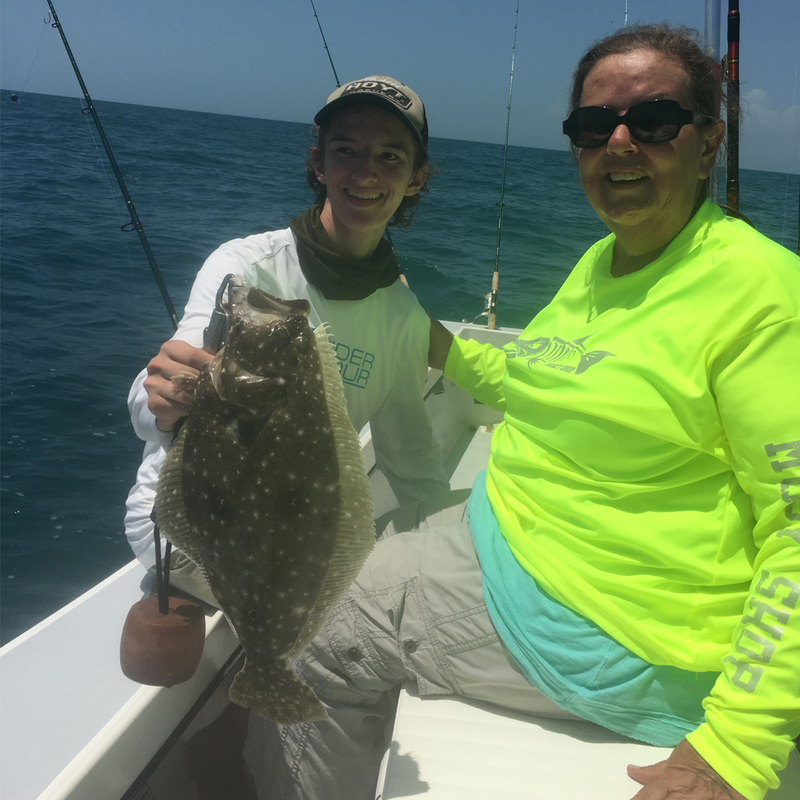 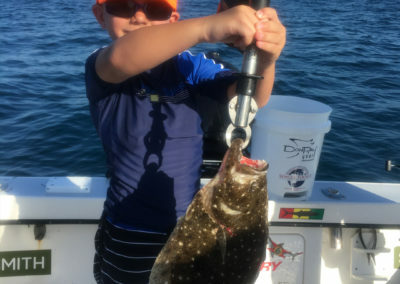 This time of year, there even is a chance of catching the occassional Tripletail. 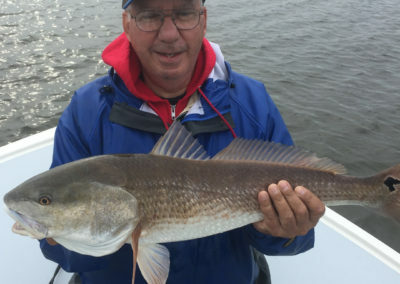 For inshore, what I focus on in the winter is fishing the low and negative low tides. 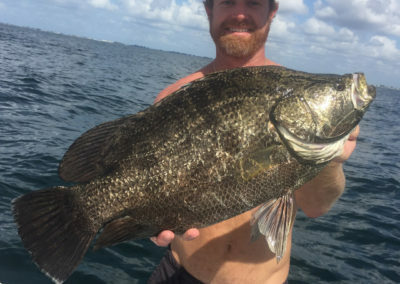 This can make for phenomenal fishing. 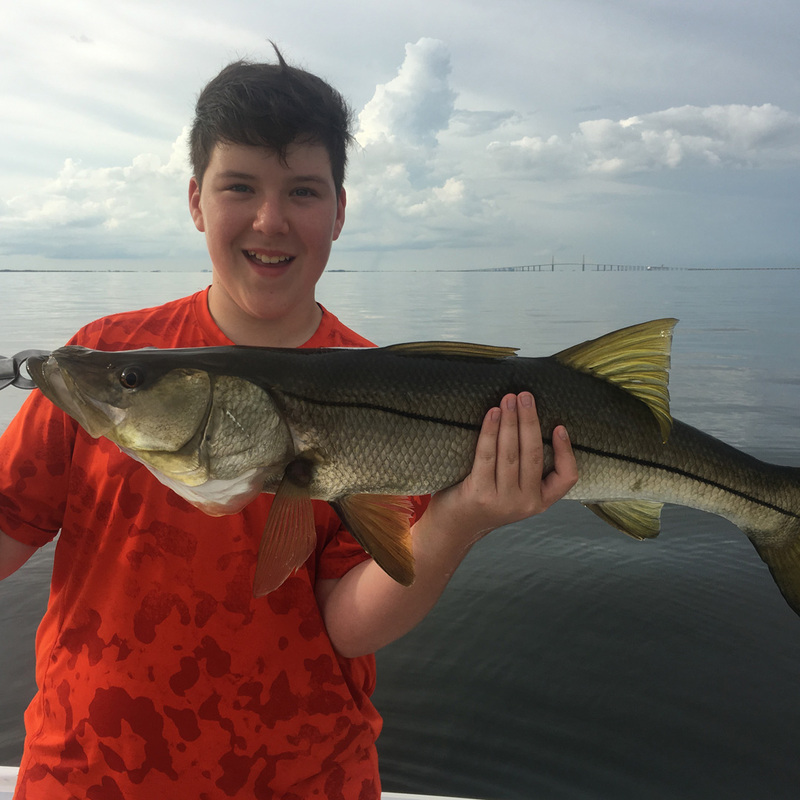 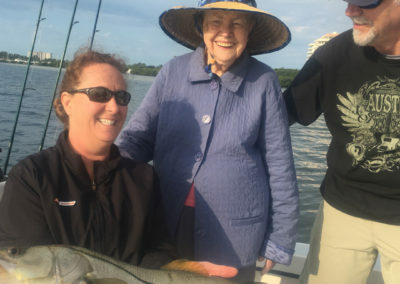 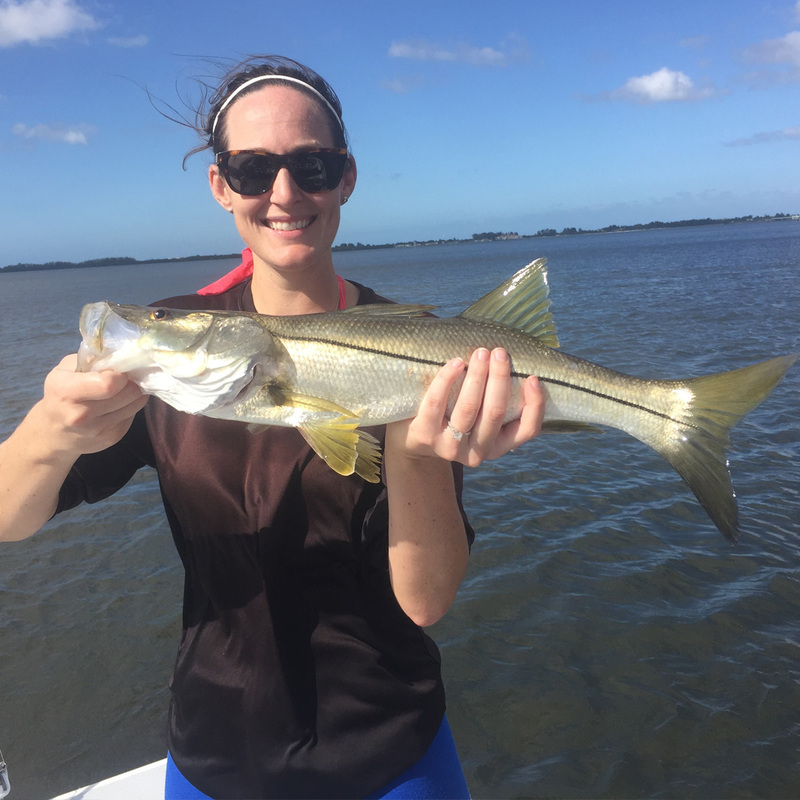 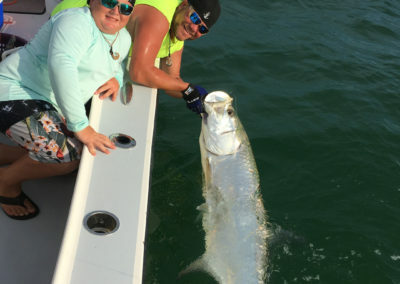 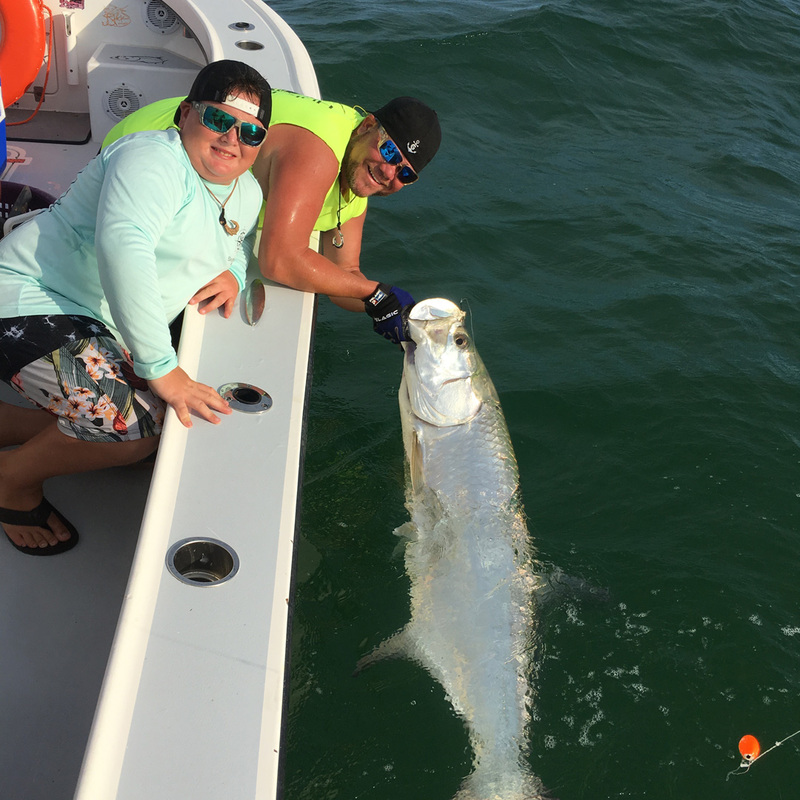 You can catch a slam of a snook, red fish and trout within 3 cast on certain days! 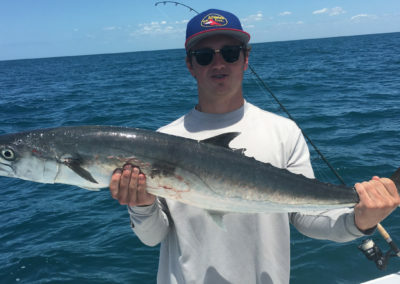 Depending on the conditions, hungry fish can be trapped in a hole waiting for you. 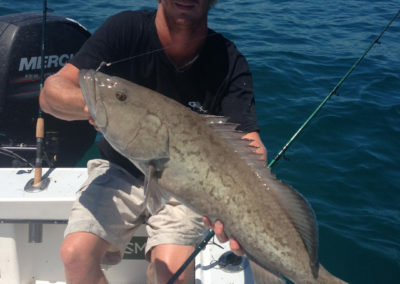 As the tide begins to cover up the exposed flat, the fish will push into super shallow water. 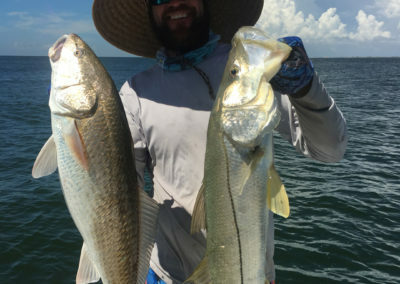 This makes for world class sight fishing of tailing Redfish, camouflaged gator trout and snook on the prowl! 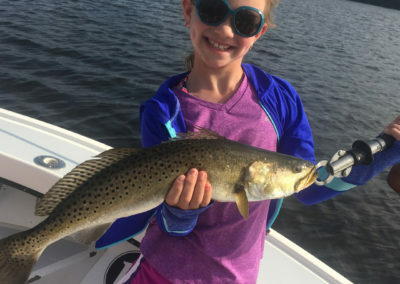 The whole winter is a good time to catch big trophy Trout. 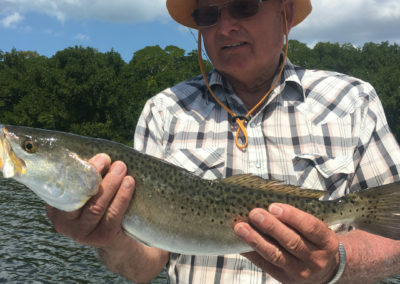 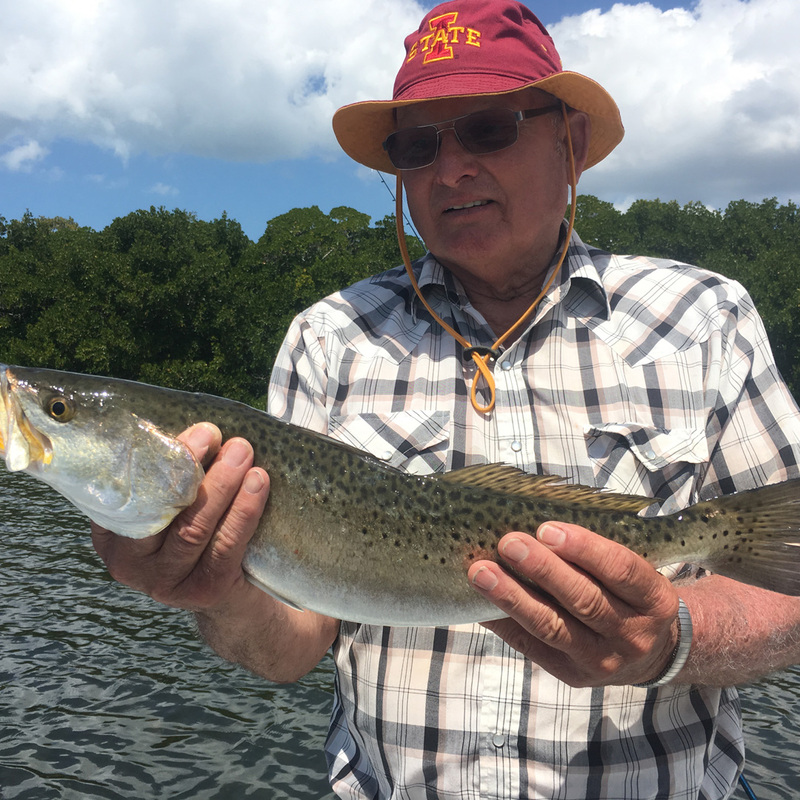 Trout come back into season January 1st and are fun to catch and release as well. 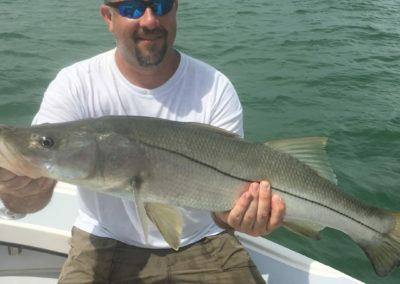 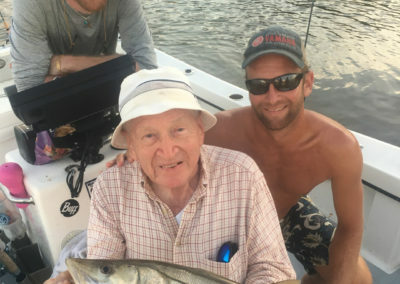 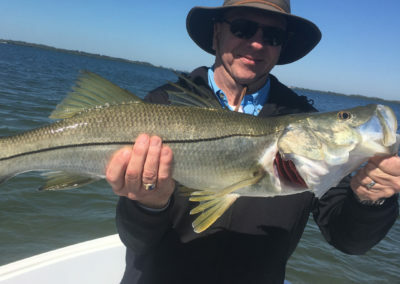 The big Snook slide back into their winter time haunts such as rivers, bayous and back bays. 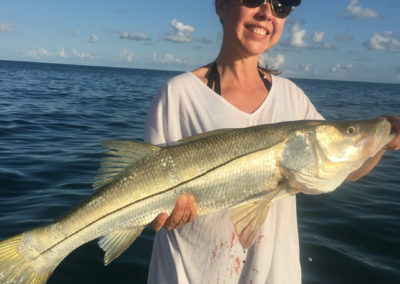 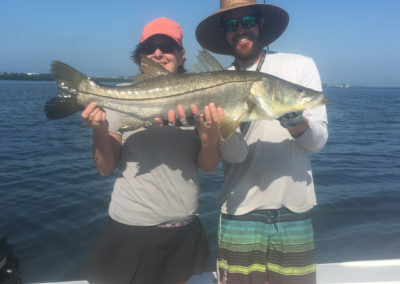 I get Snook during the day but I also fish at night and do extremely well on the bigger 30-40 inch snook all winter long. 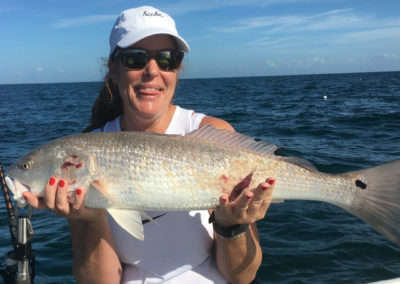 I do custom trips depending on the amount of people, availability,weather, tide, moon phase and what’s best! 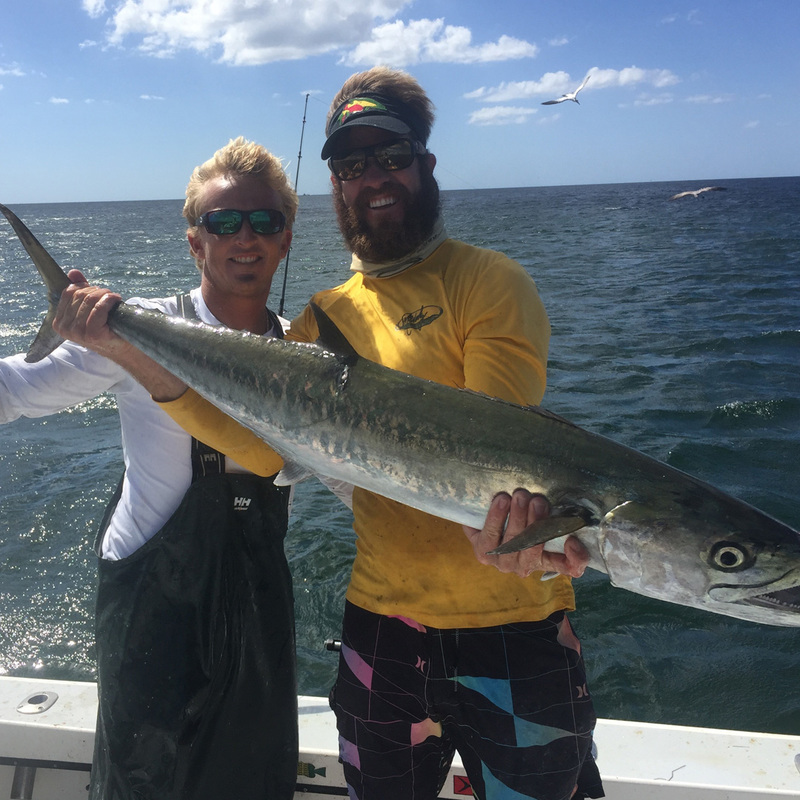 Reach out at 1 (941) 253-6512 or email me at jmsnooky@gmail.com and we will make plans!